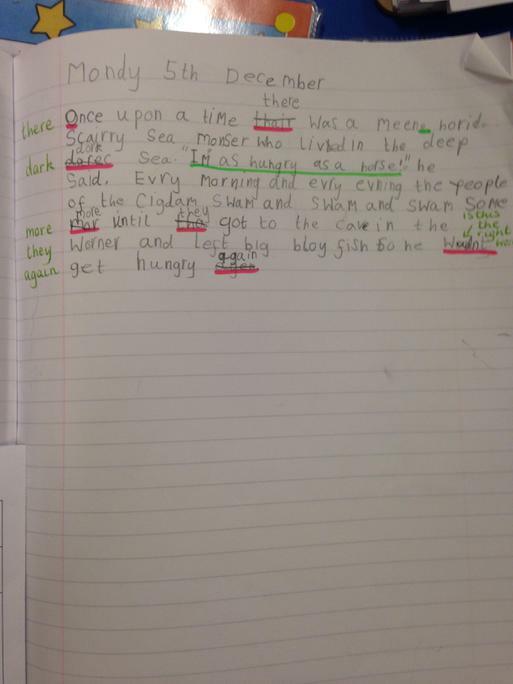 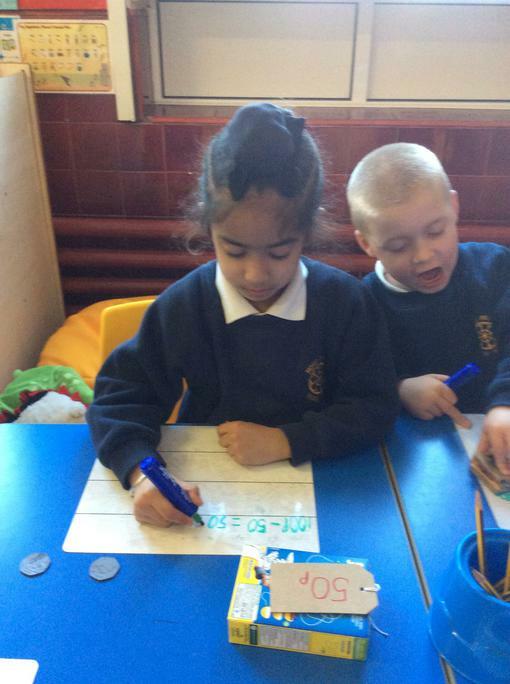 We wrote out very own story! 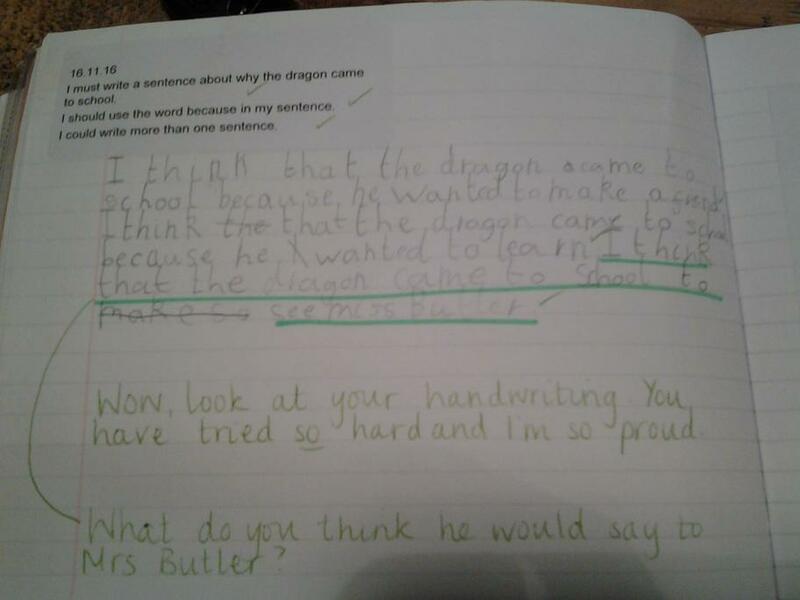 I am impressed with these, well done. 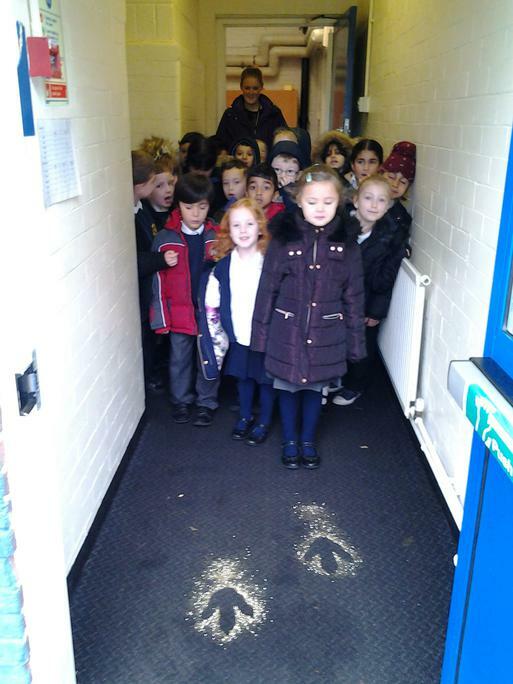 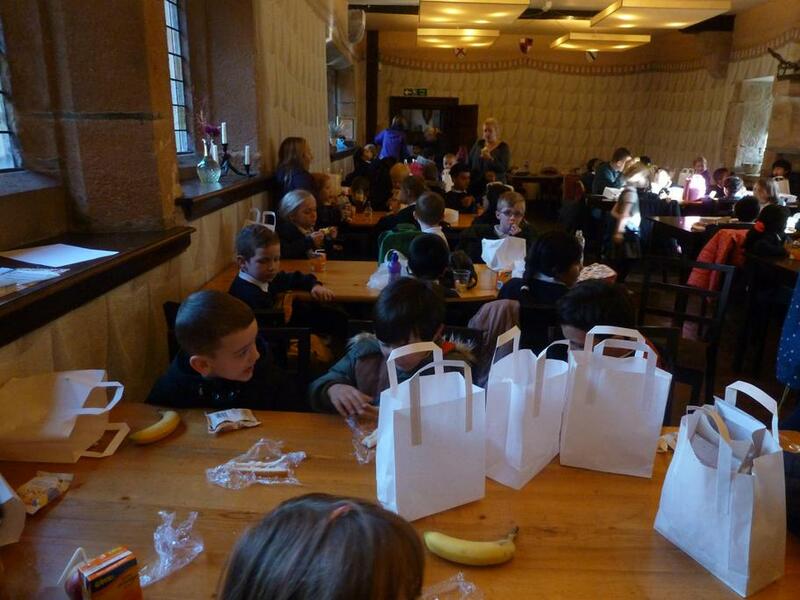 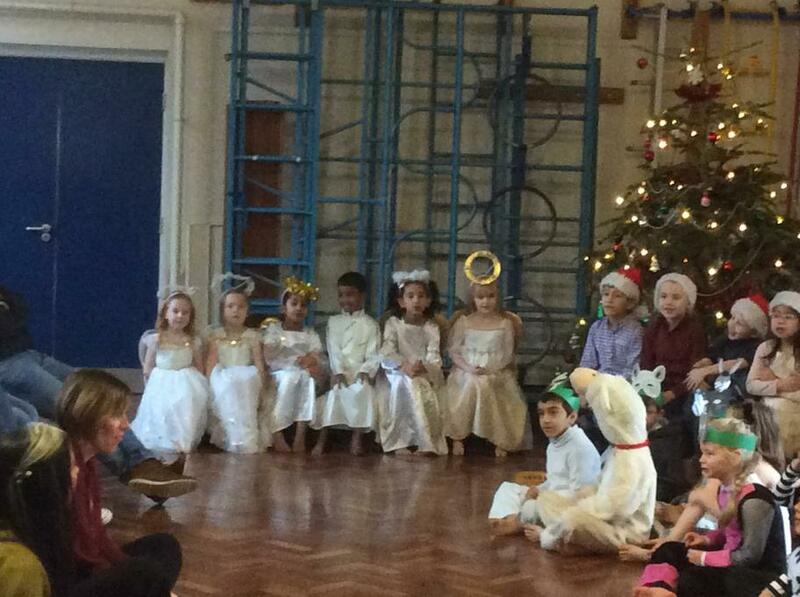 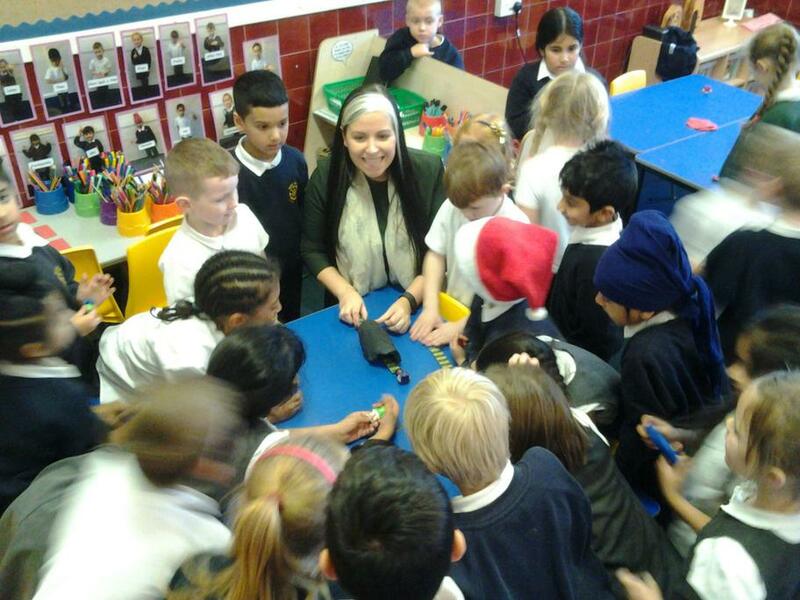 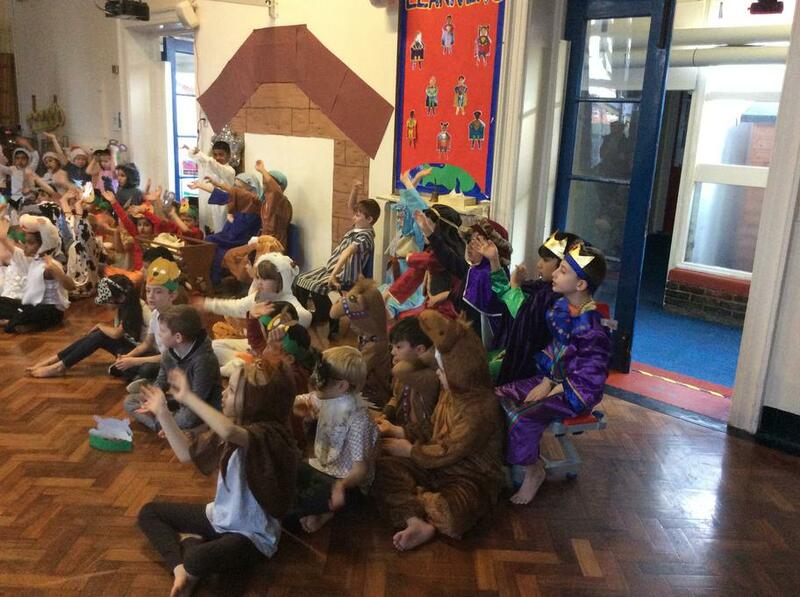 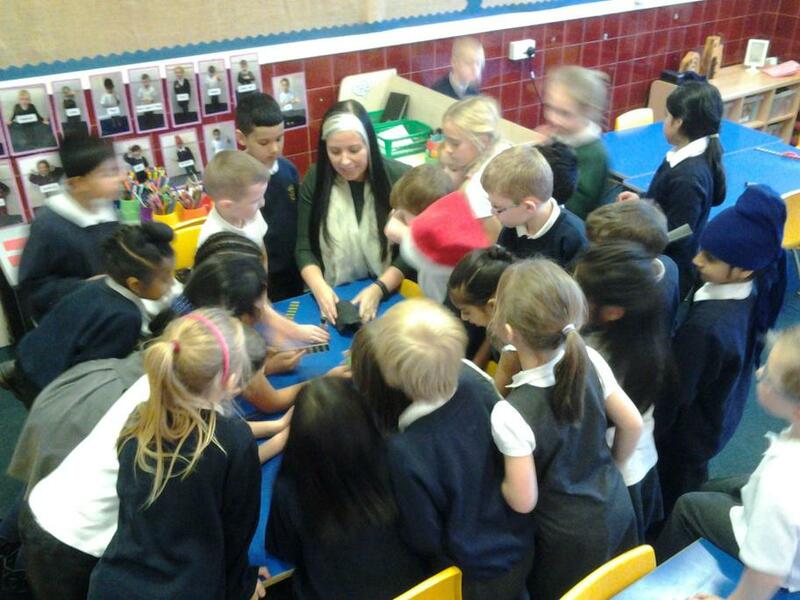 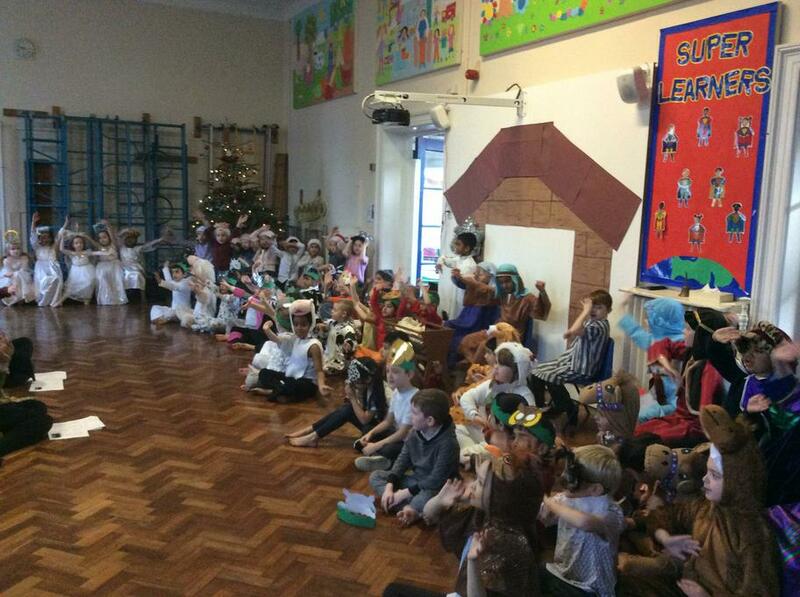 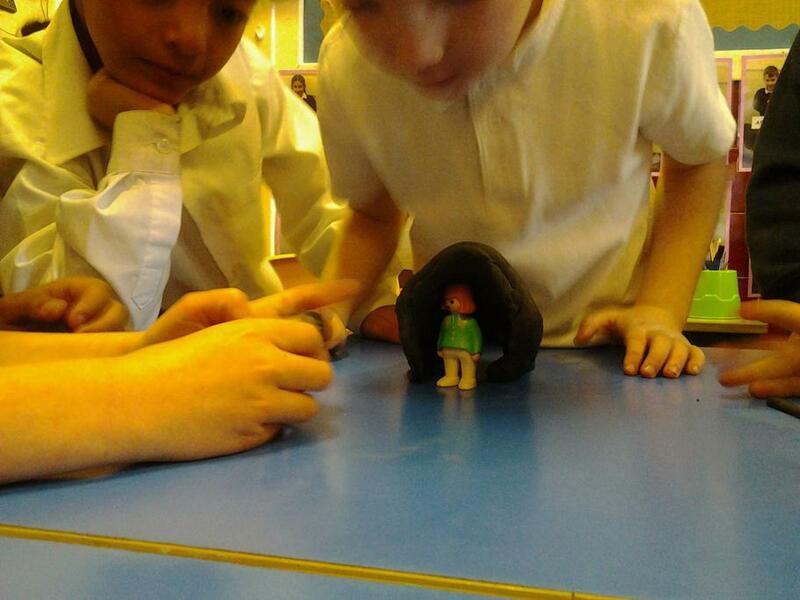 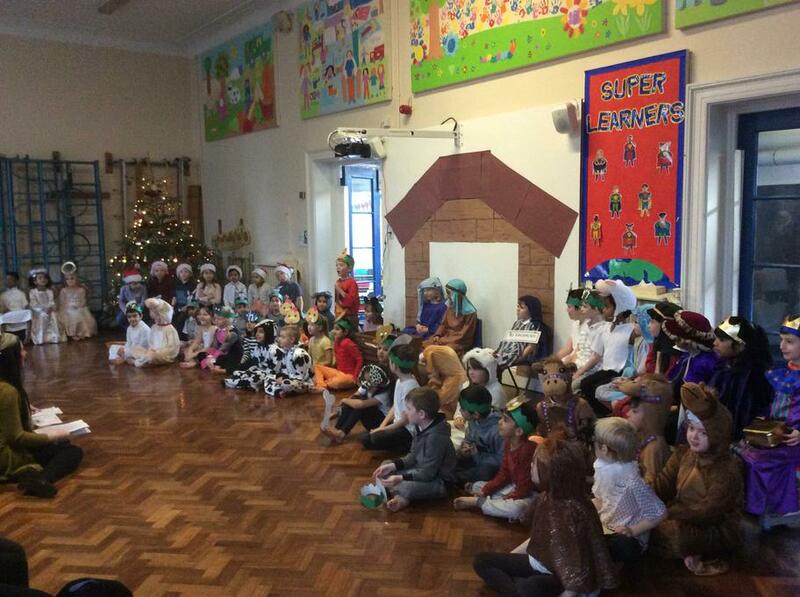 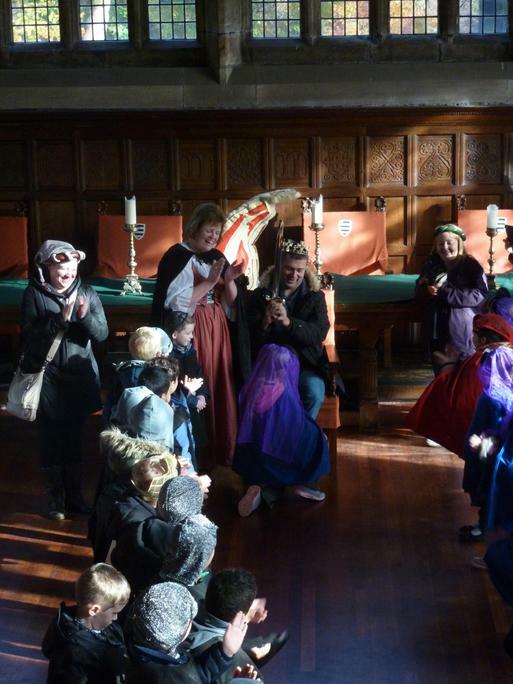 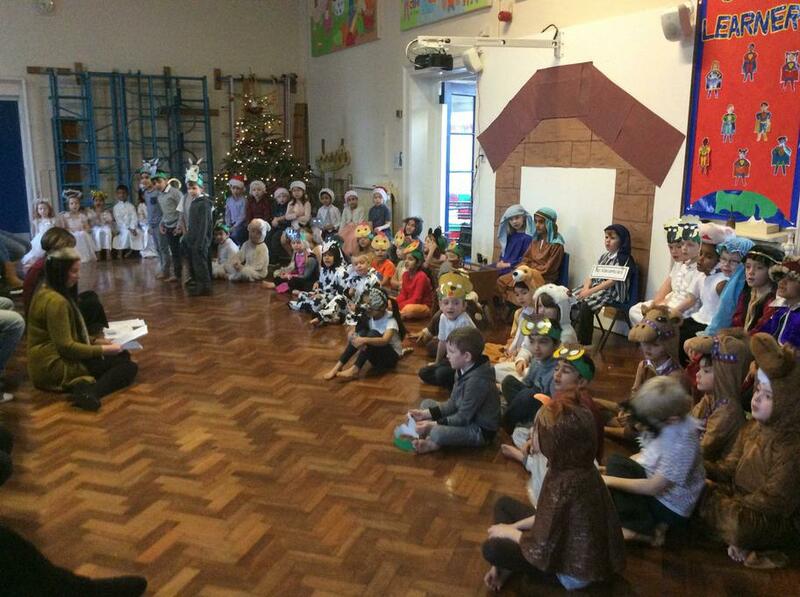 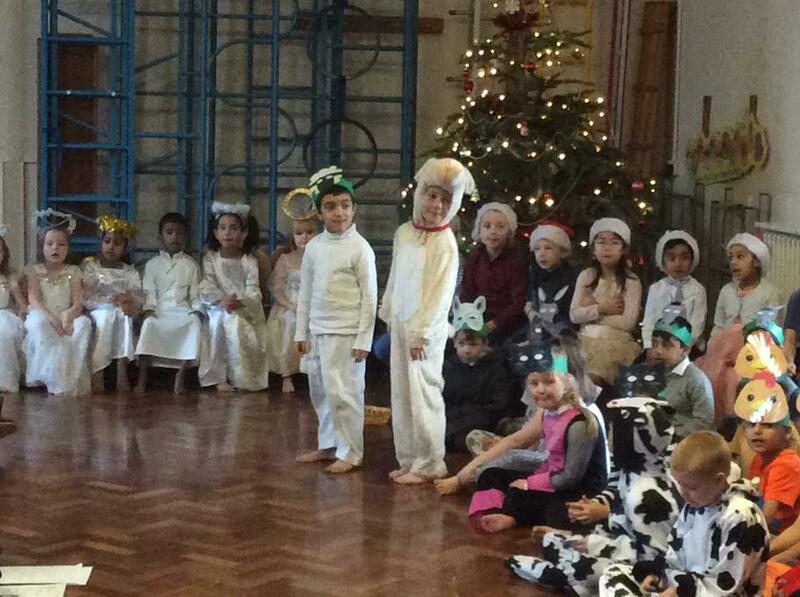 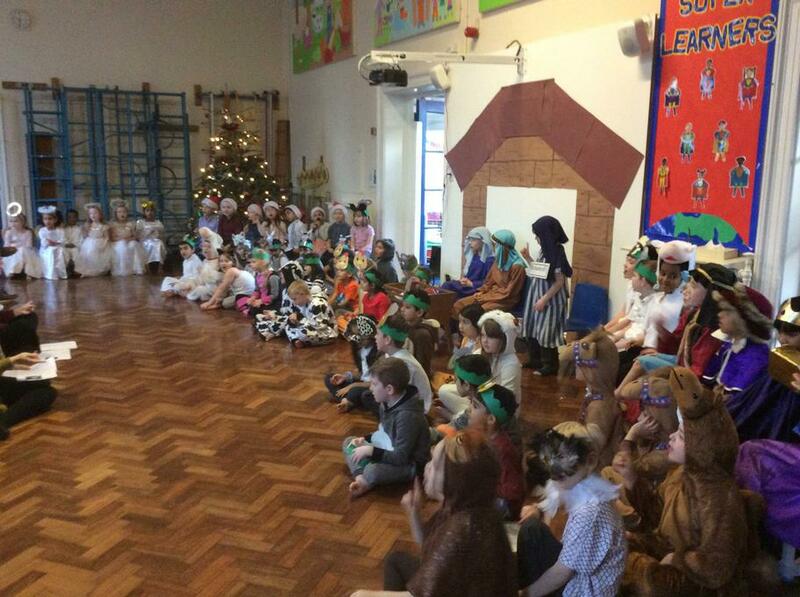 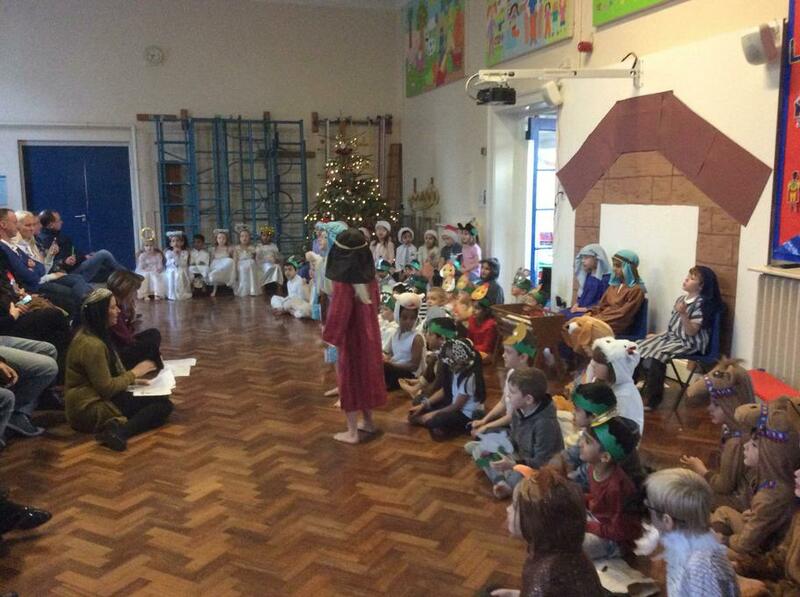 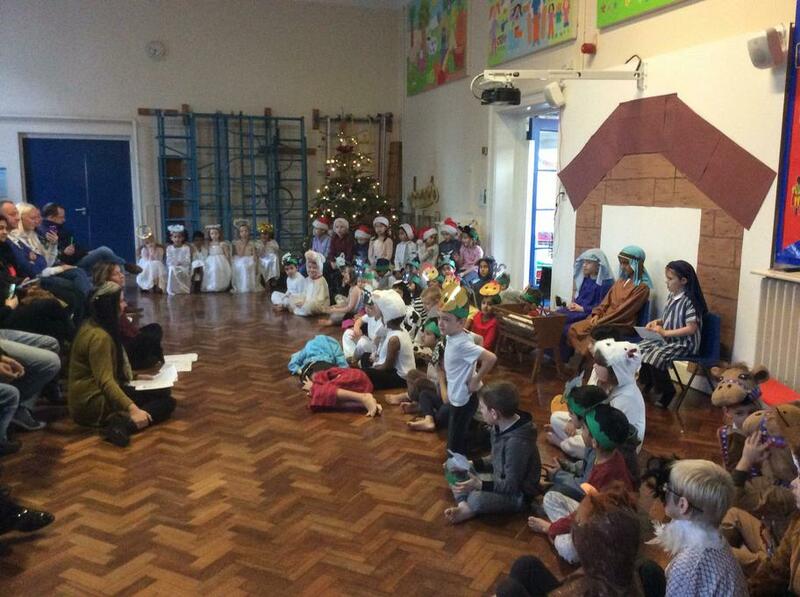 We all took part in our Christmas Nativity, have a look at the videos on the video page too! 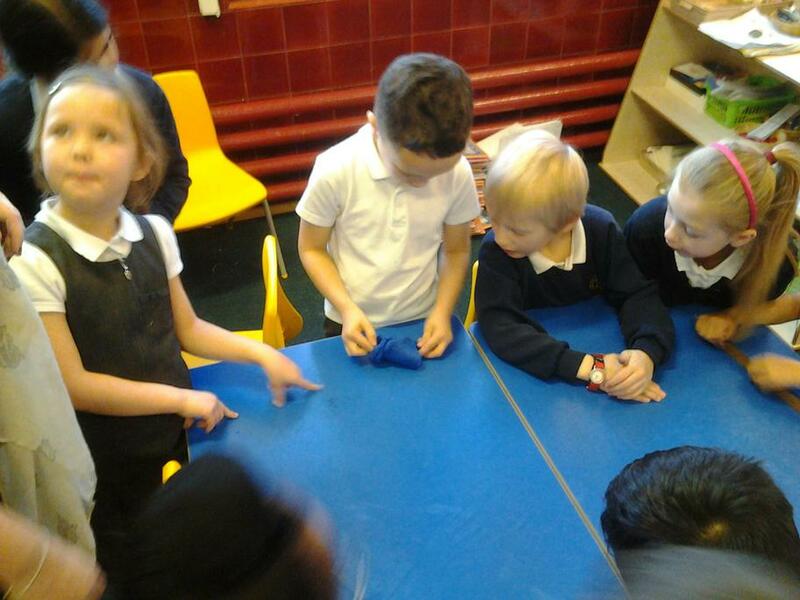 We now have a WOW, WOW, WOW wall, will your work make it? 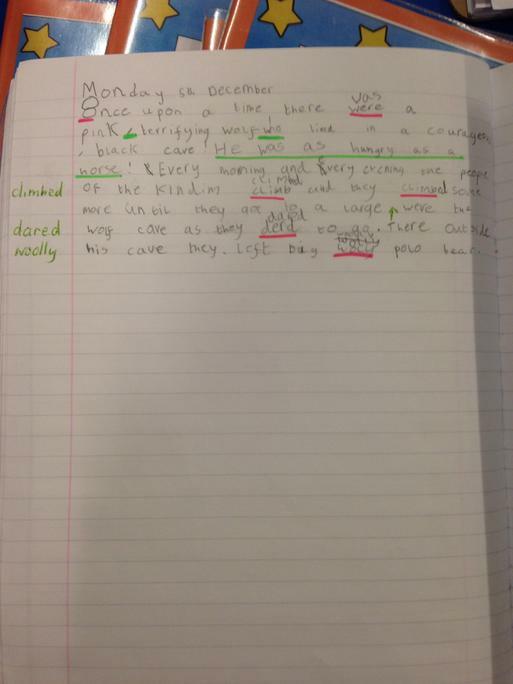 Look how I have improved since September! 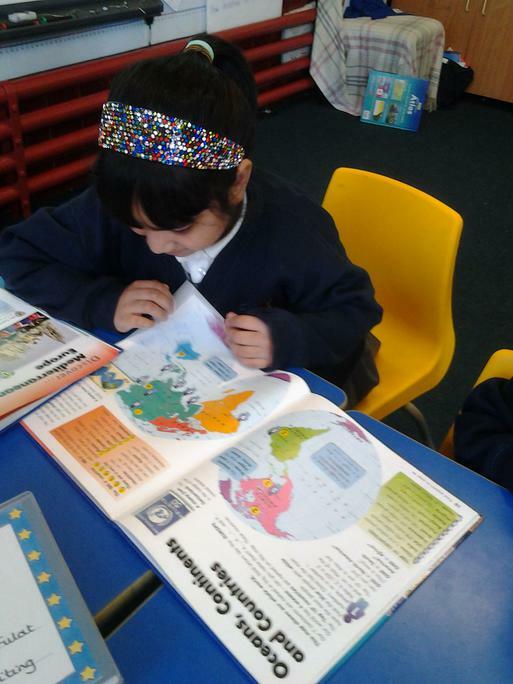 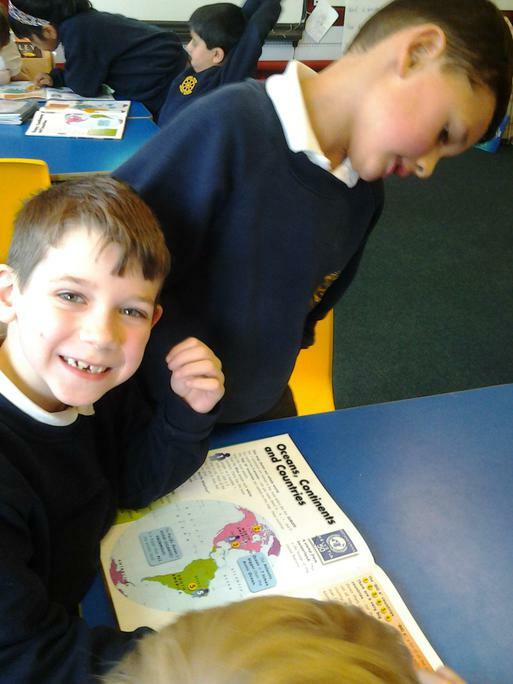 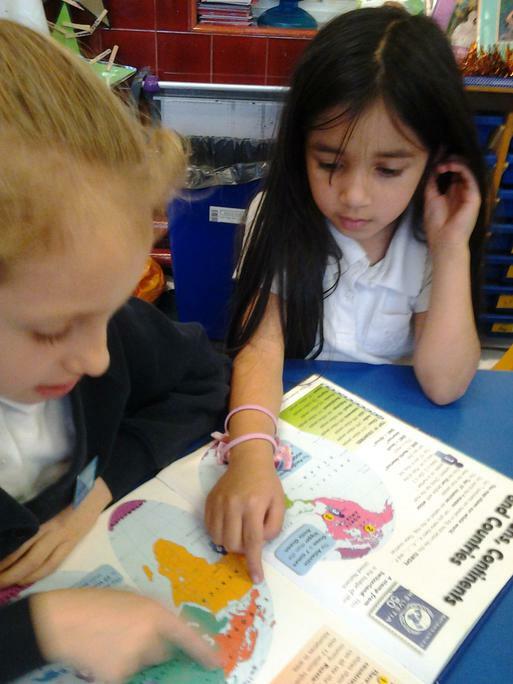 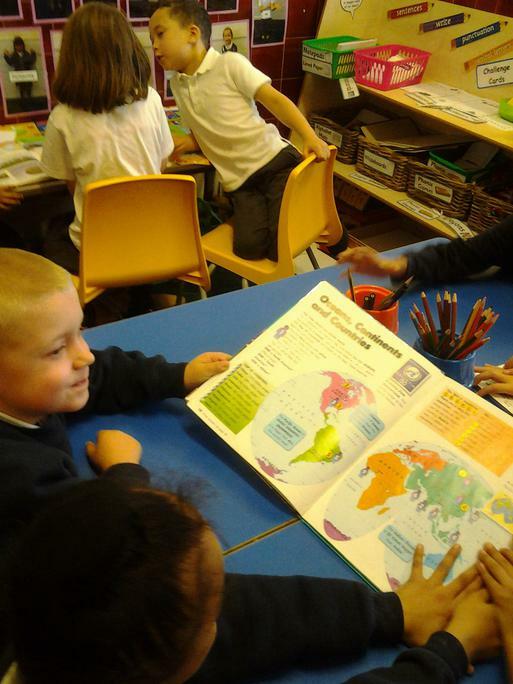 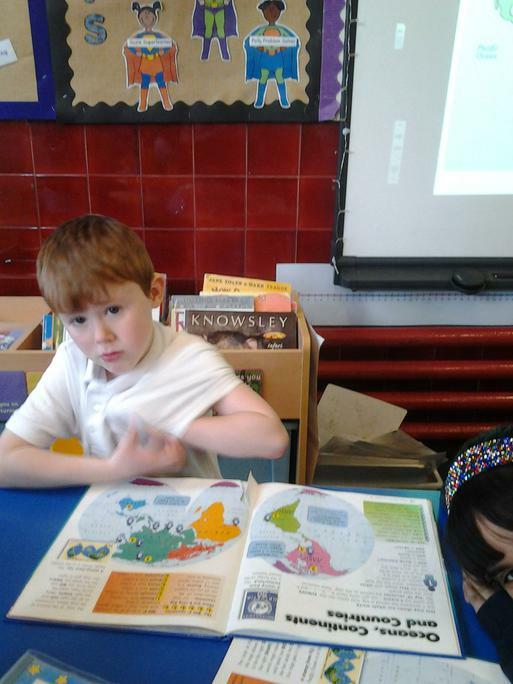 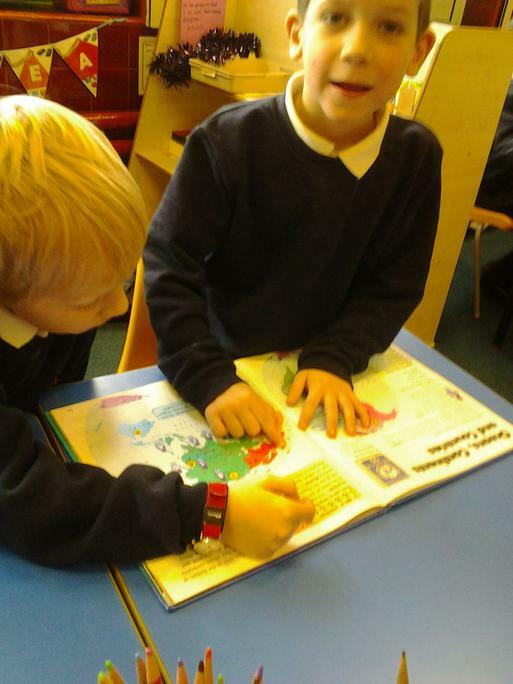 We researched famous tunnels across the world.We know some continents and oceans too. 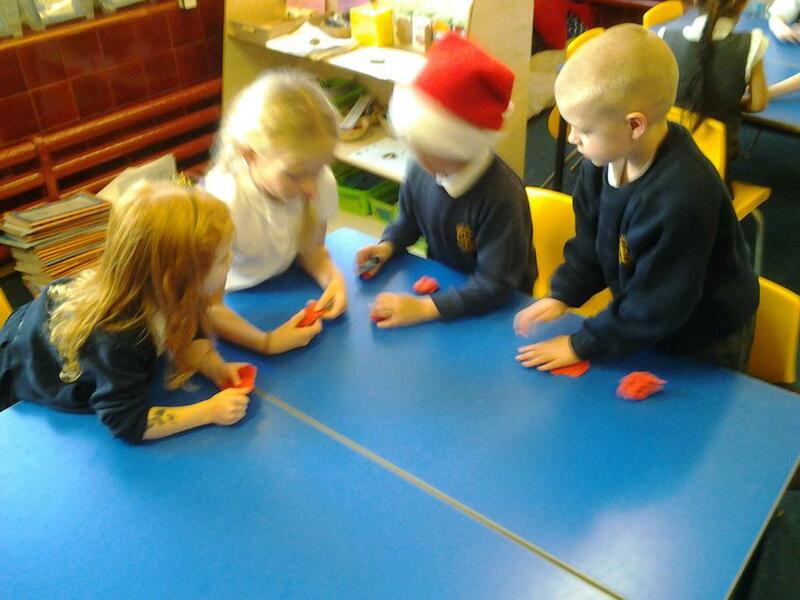 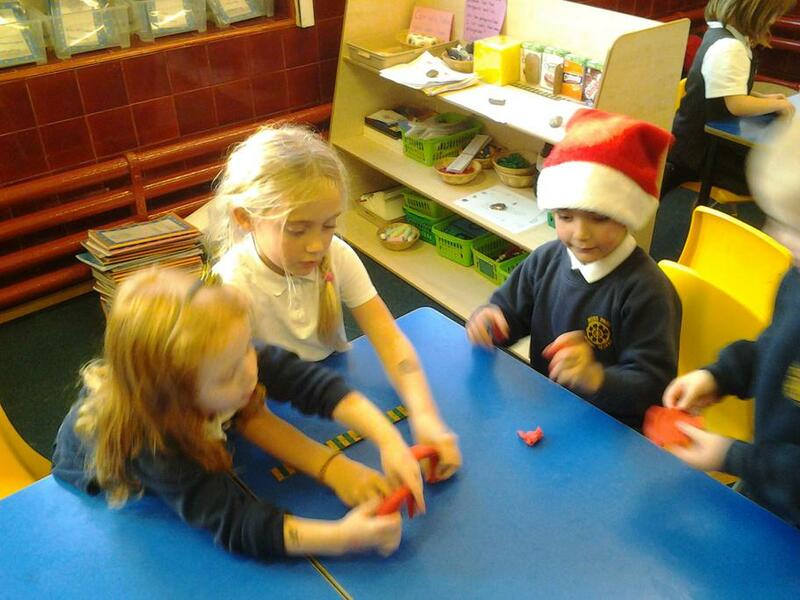 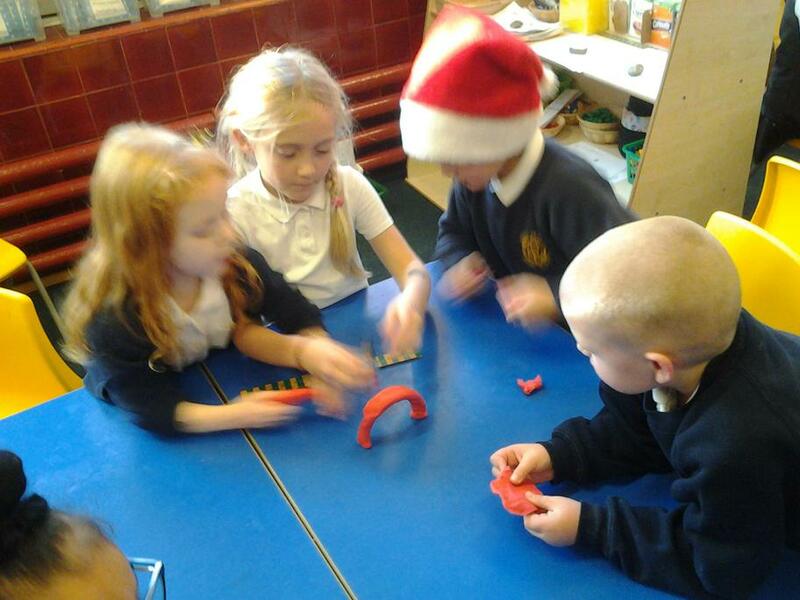 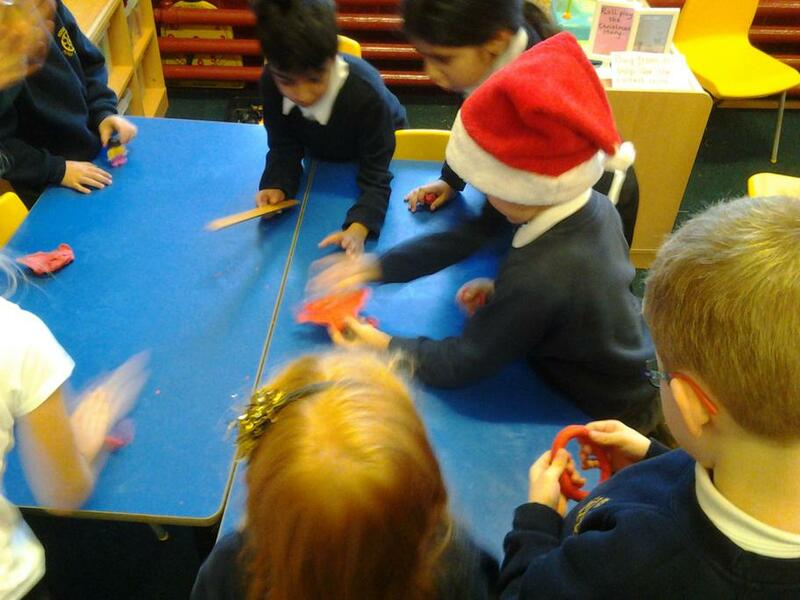 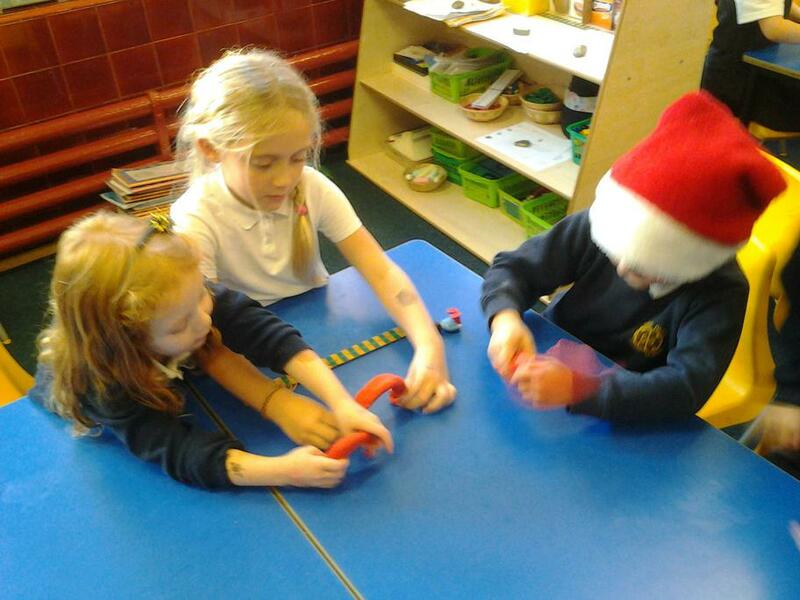 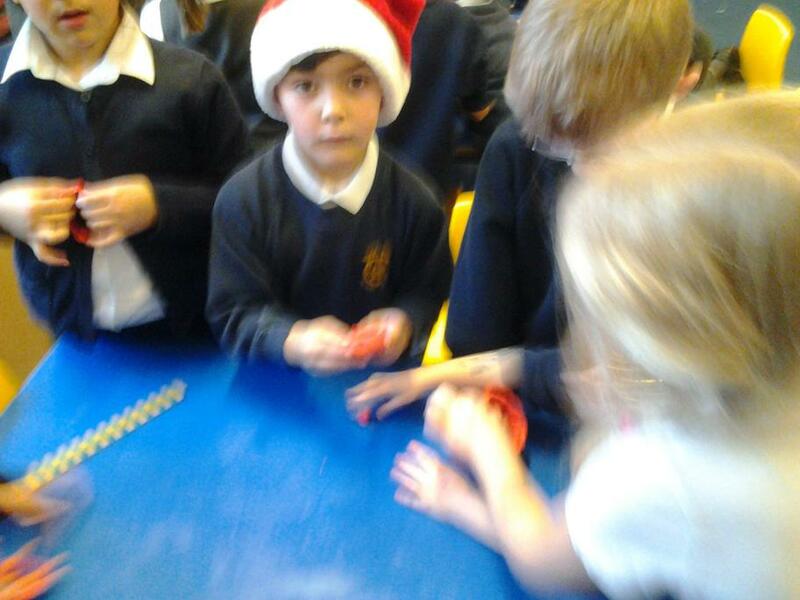 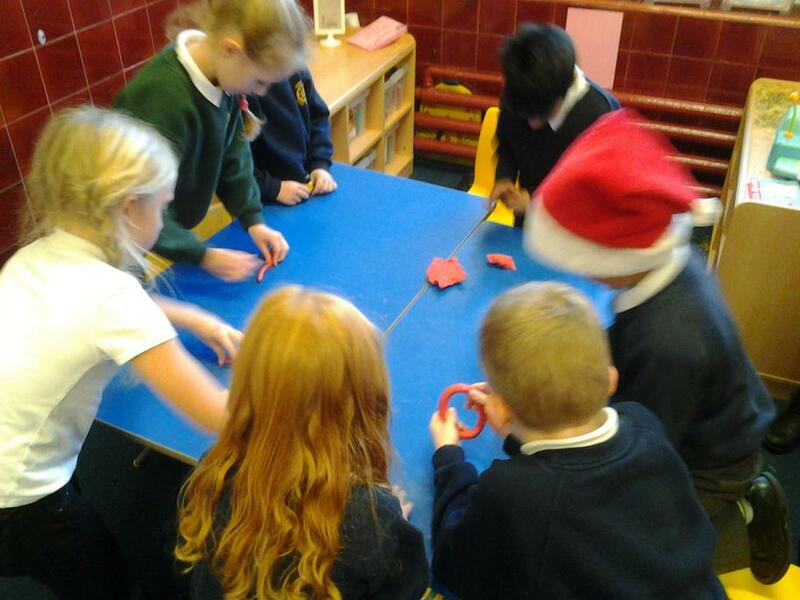 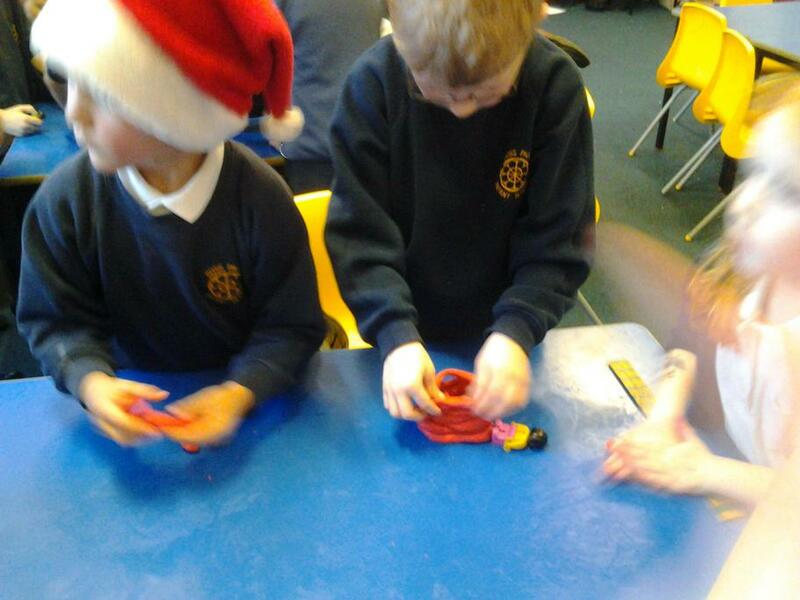 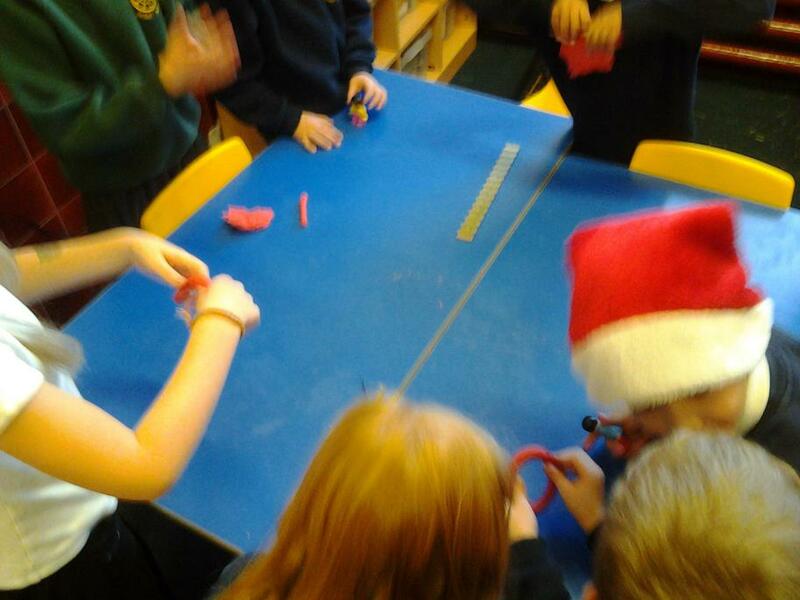 We enjoyed our Christmas lunch especially the crackers! 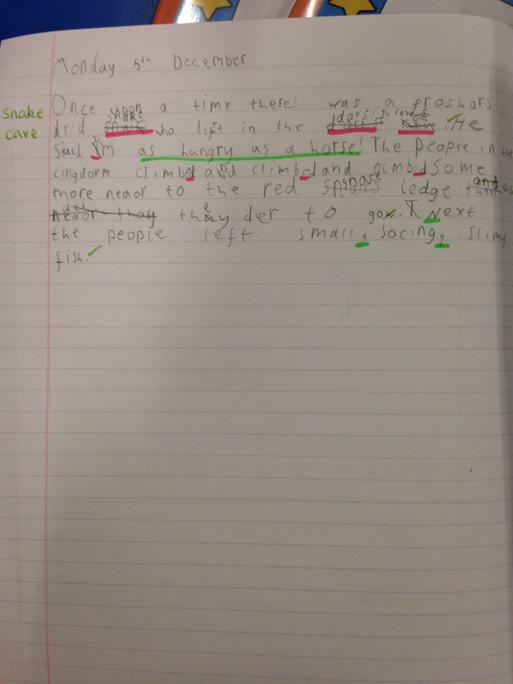 We have started.... we have all done our opening paragraph. 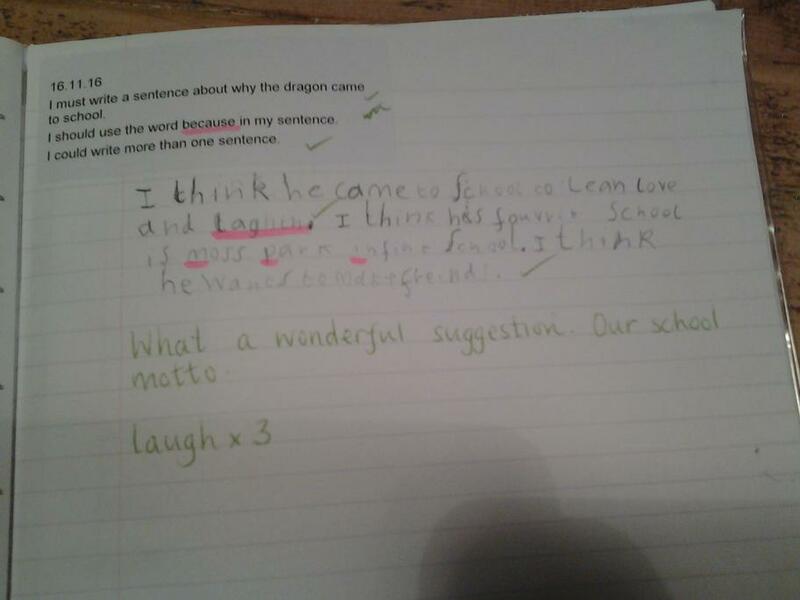 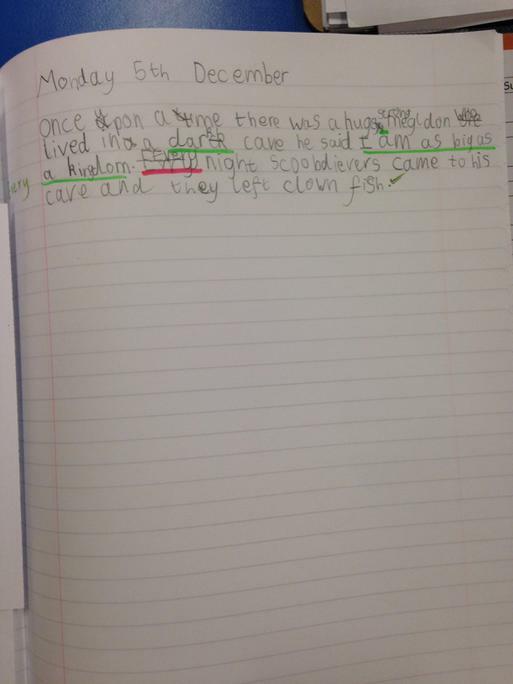 Tomorrow we will start writing our alternative George and the Dragon story. 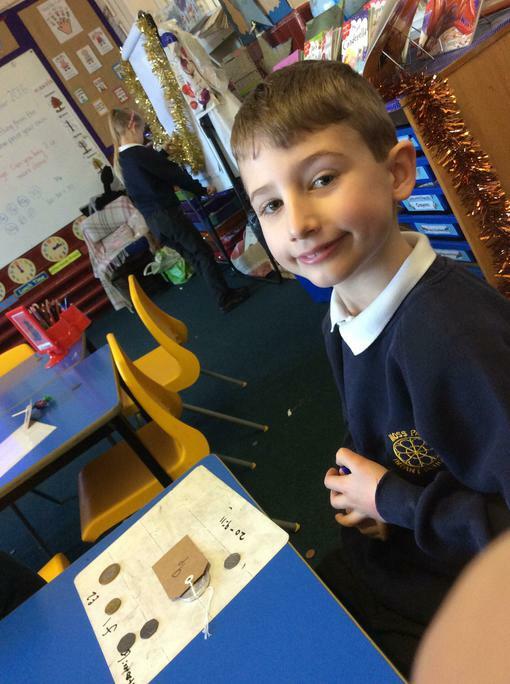 I can't wait to see what you write. 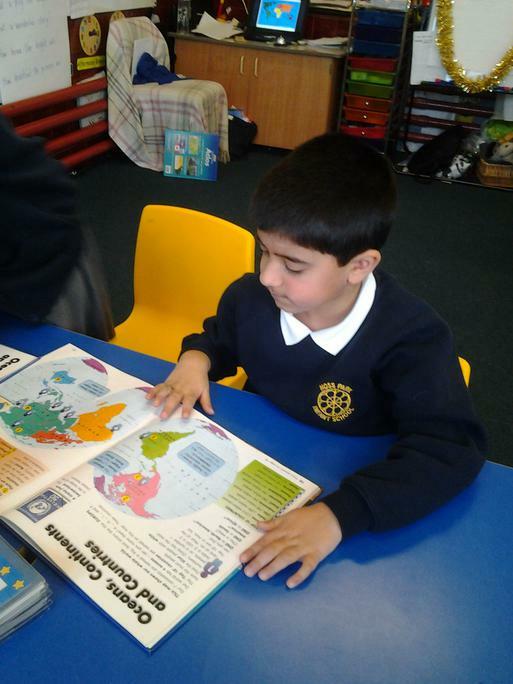 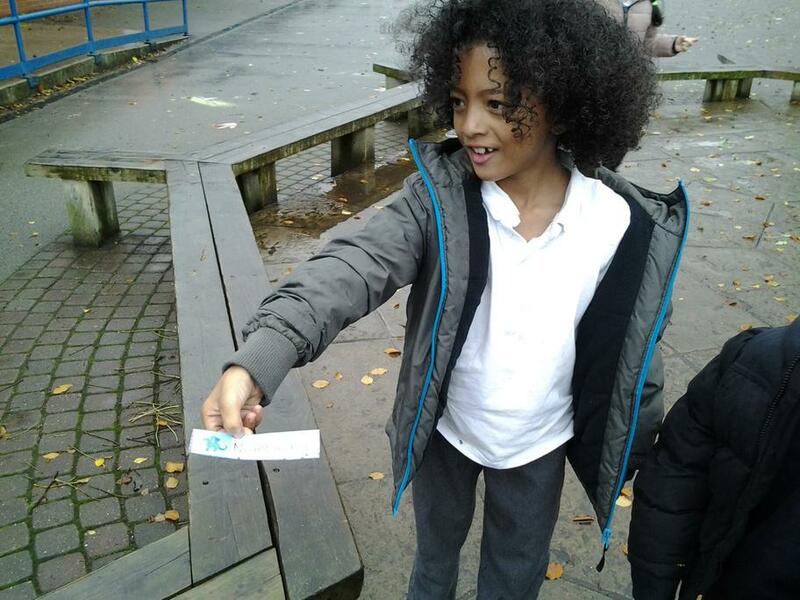 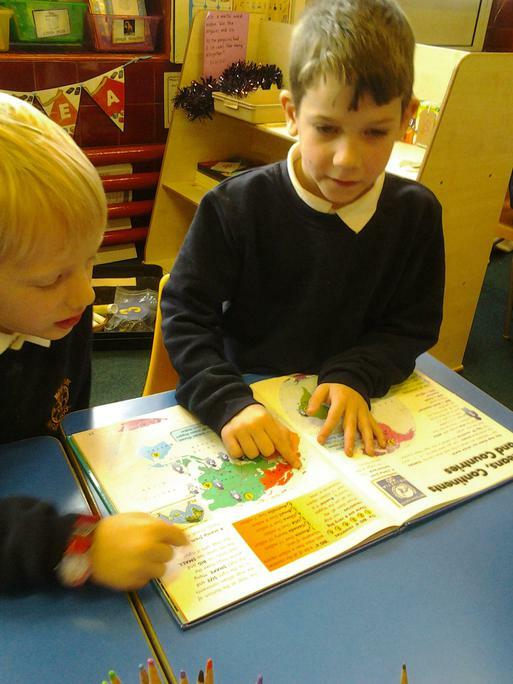 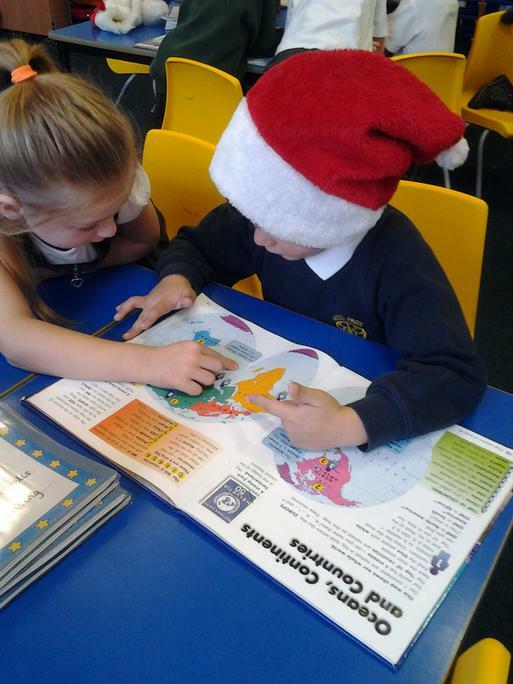 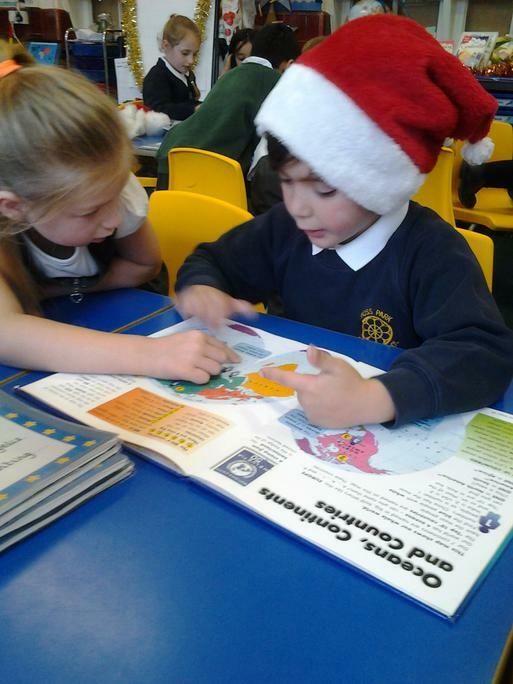 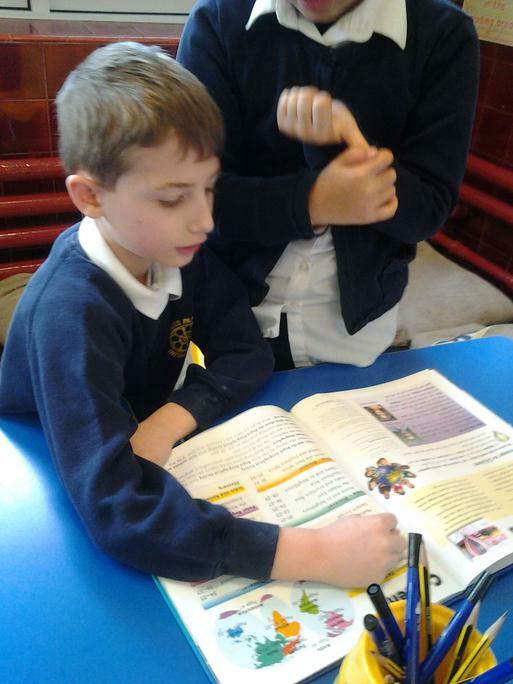 Everyone took their story plan home to practise reading it to their grown ups. 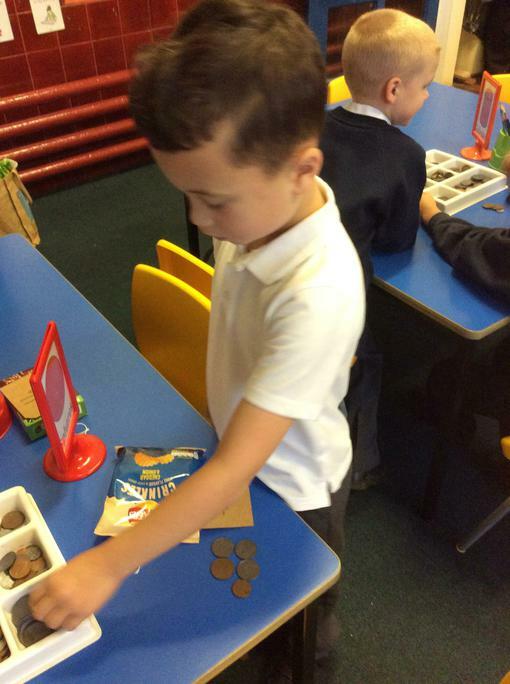 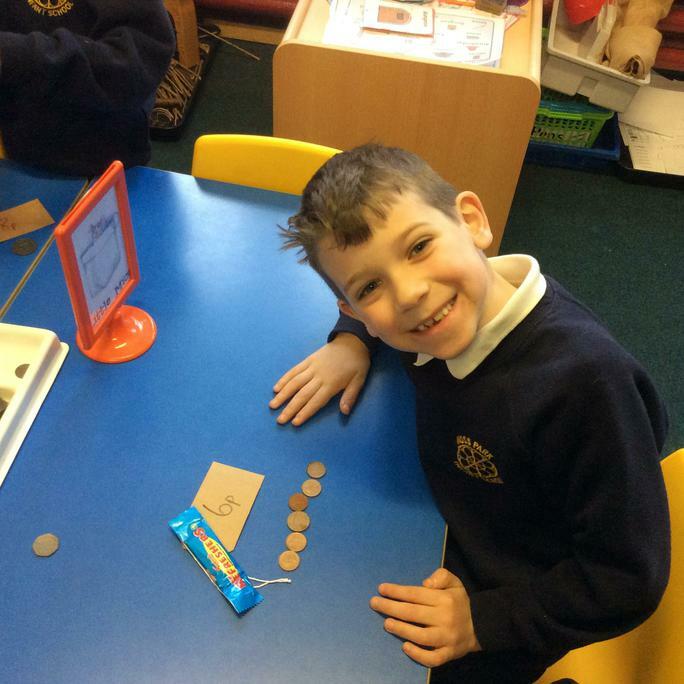 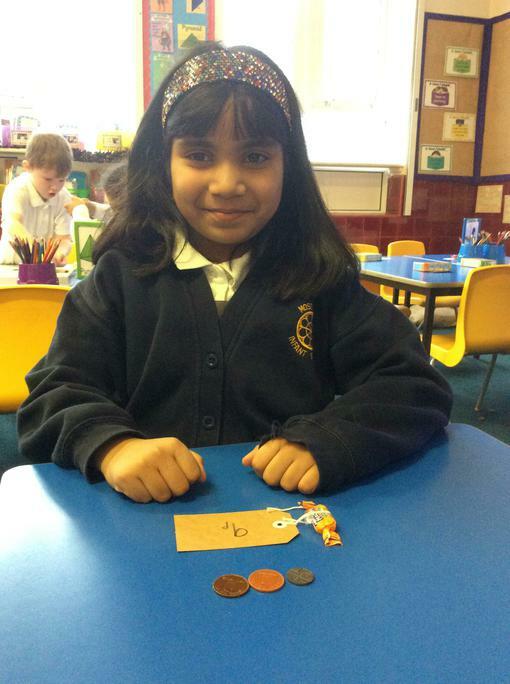 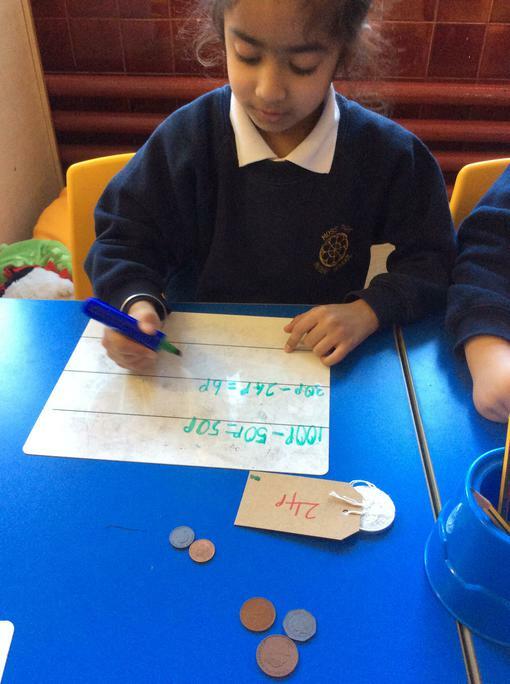 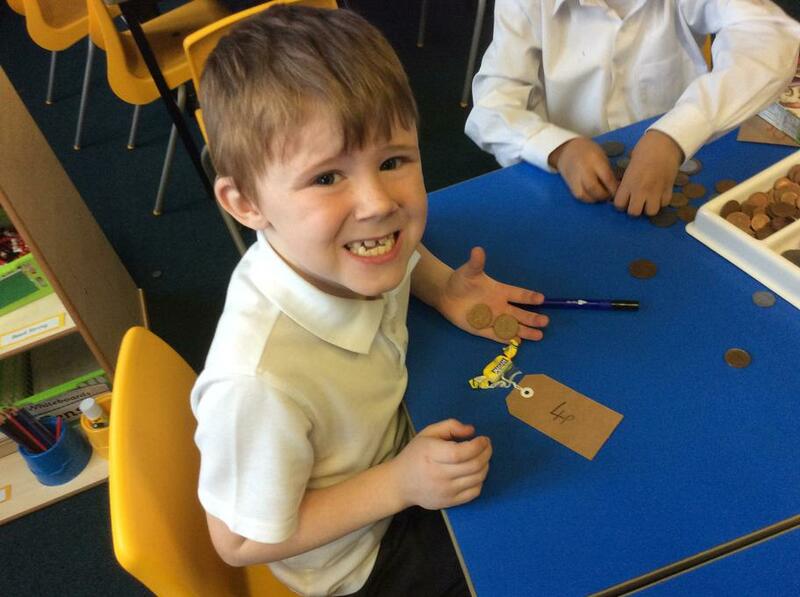 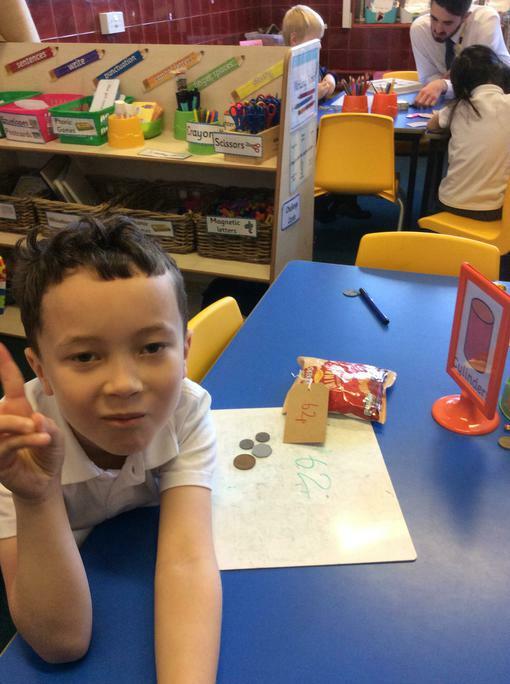 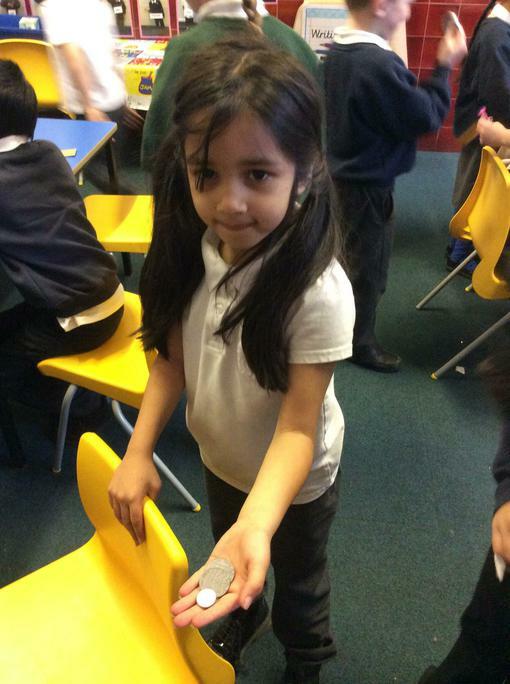 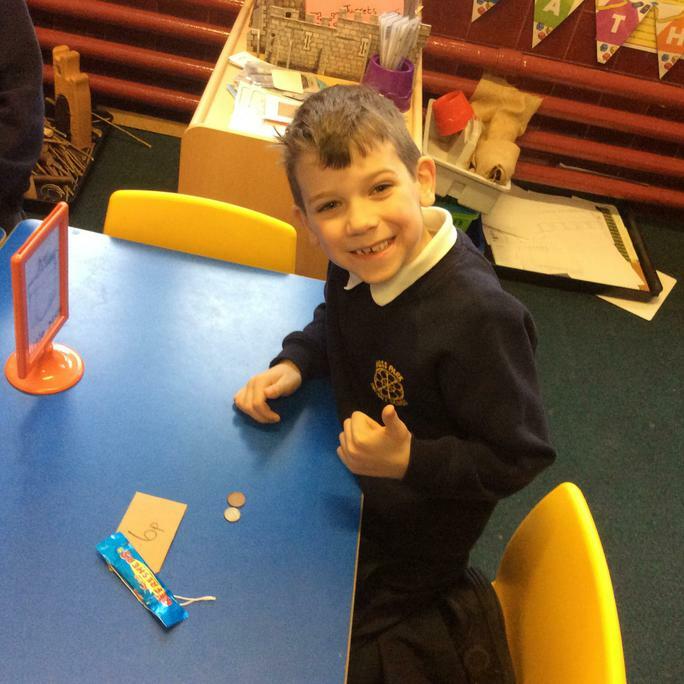 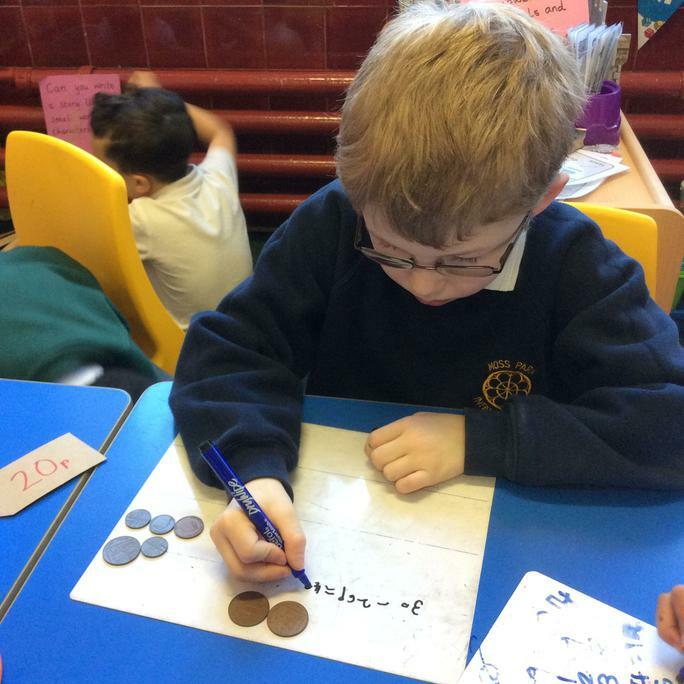 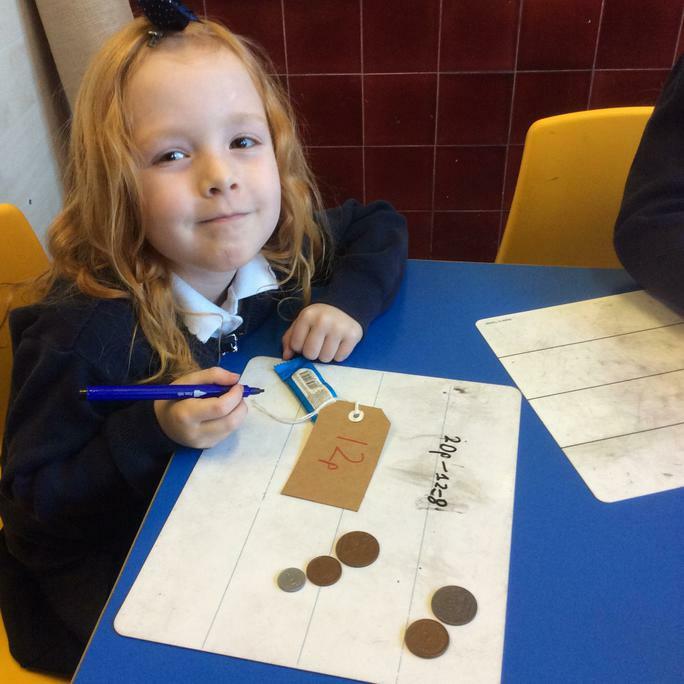 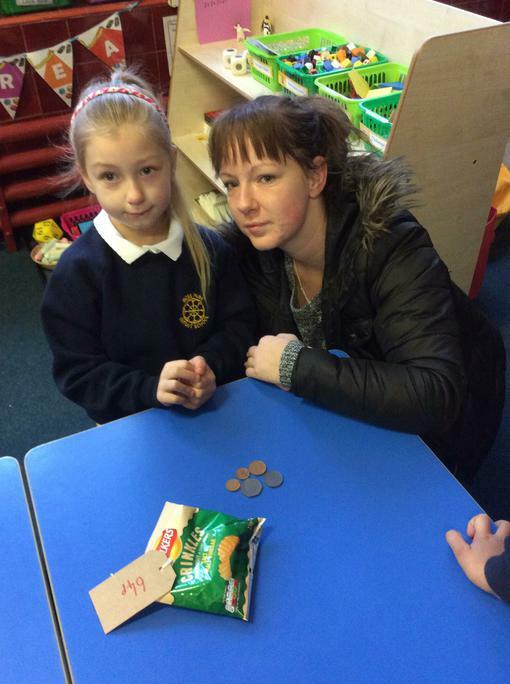 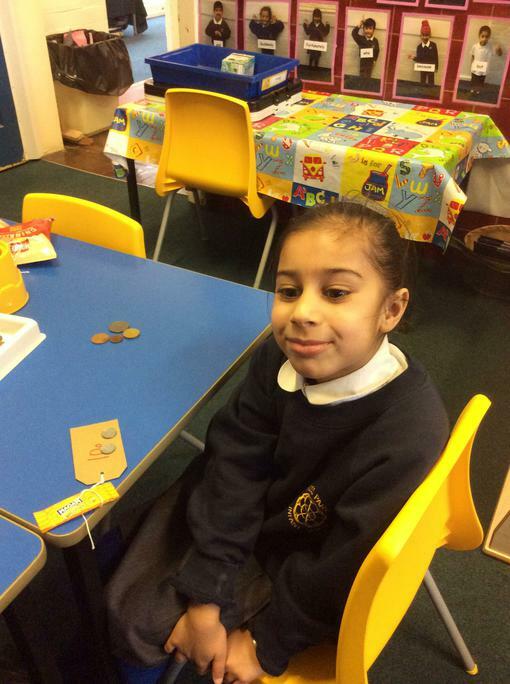 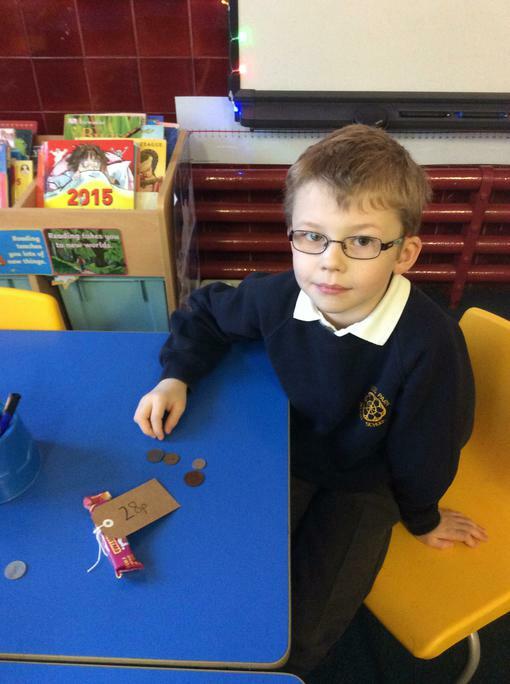 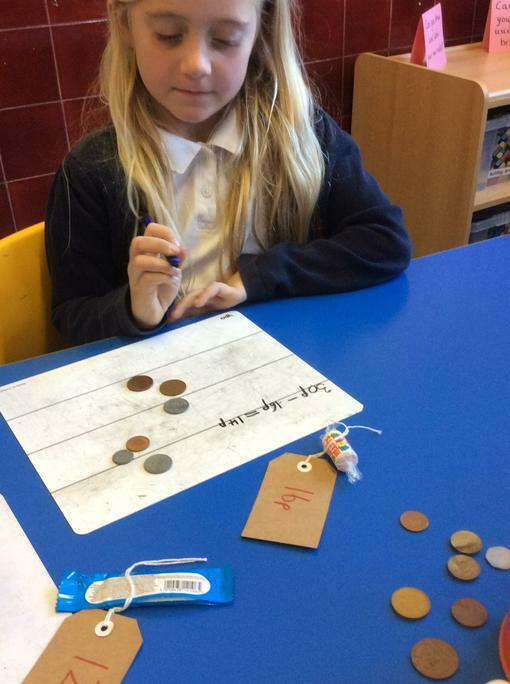 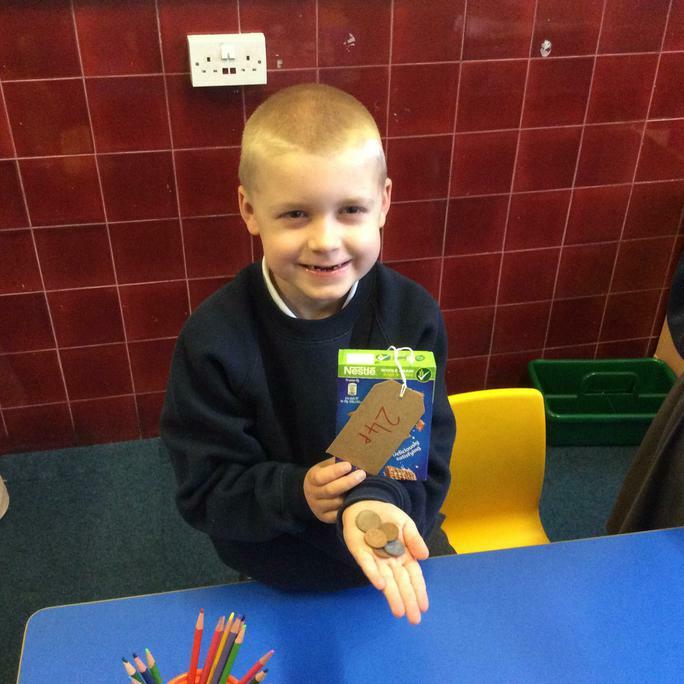 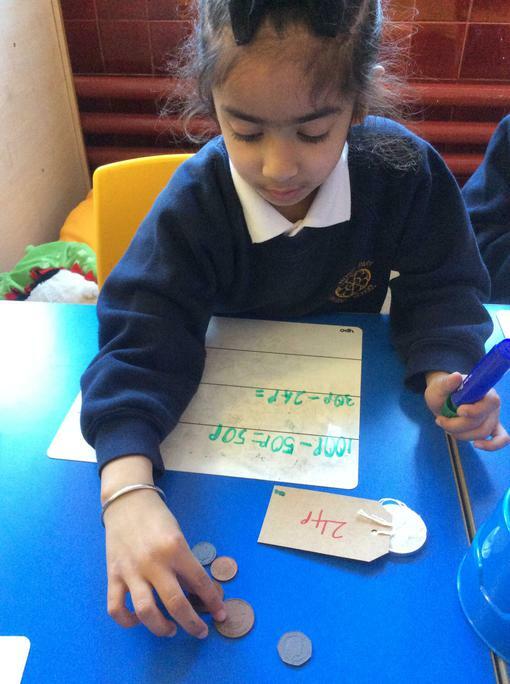 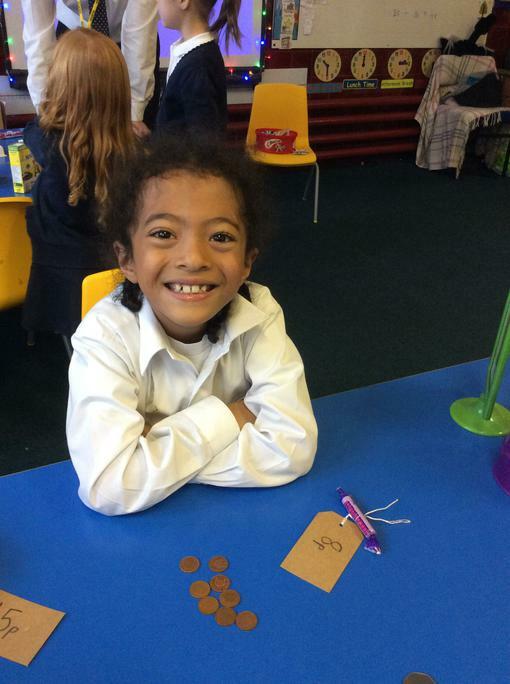 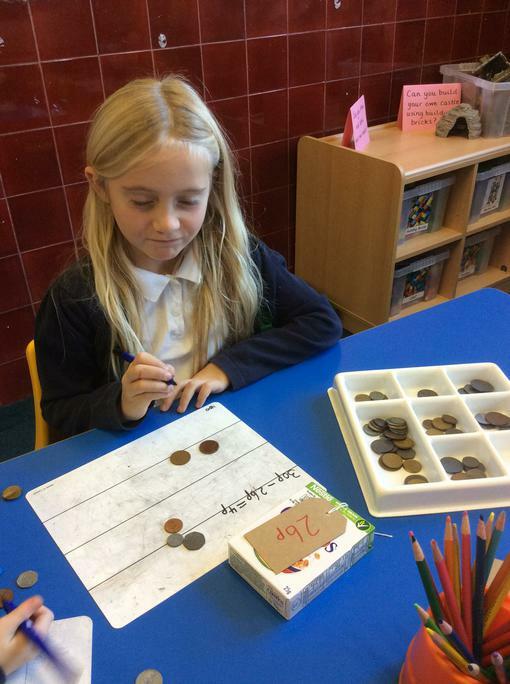 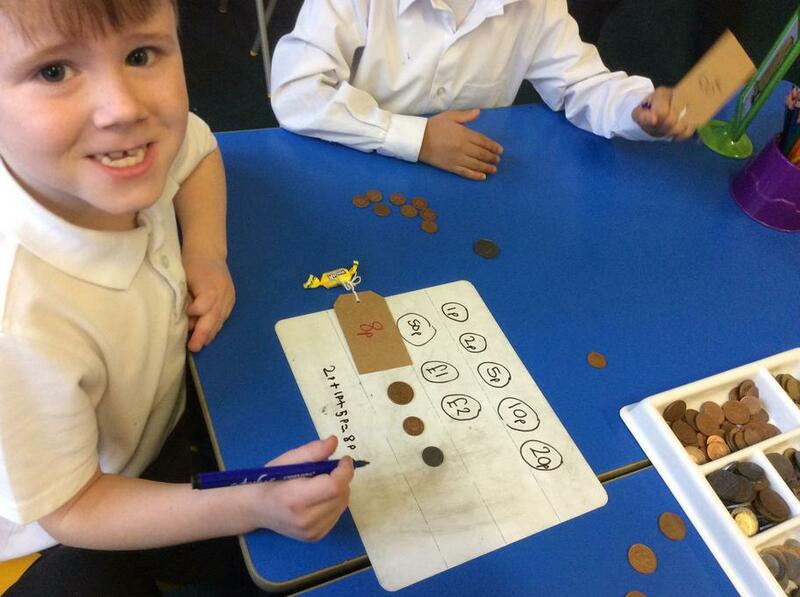 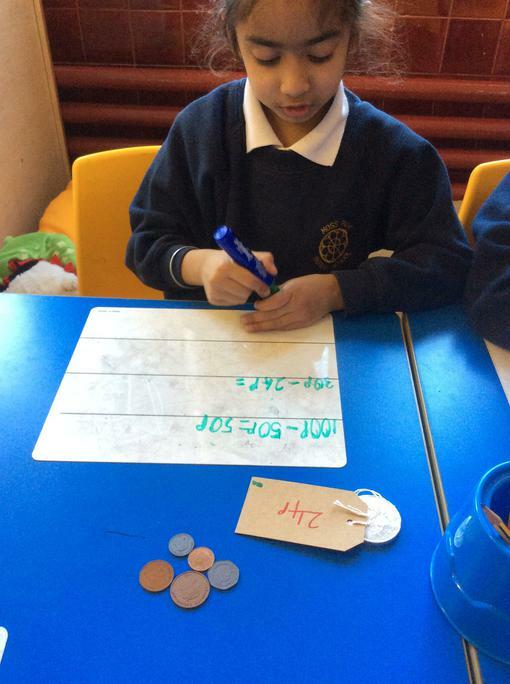 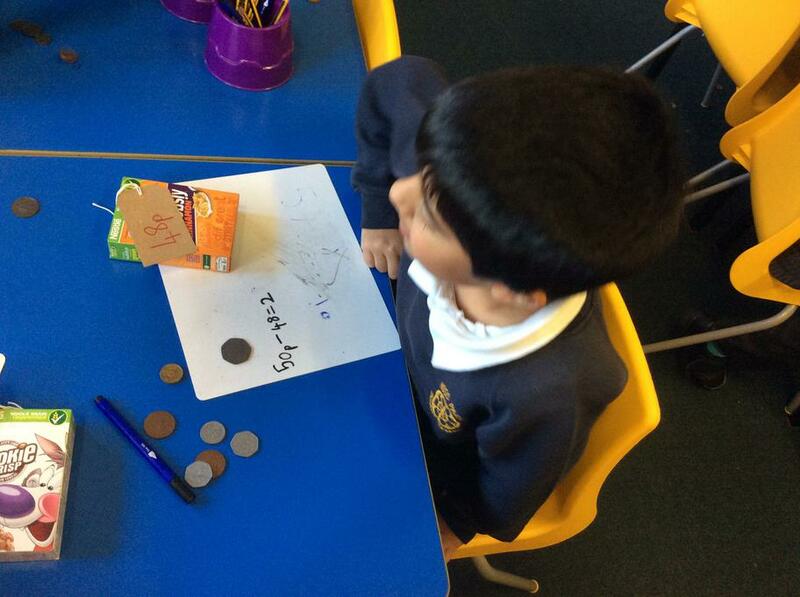 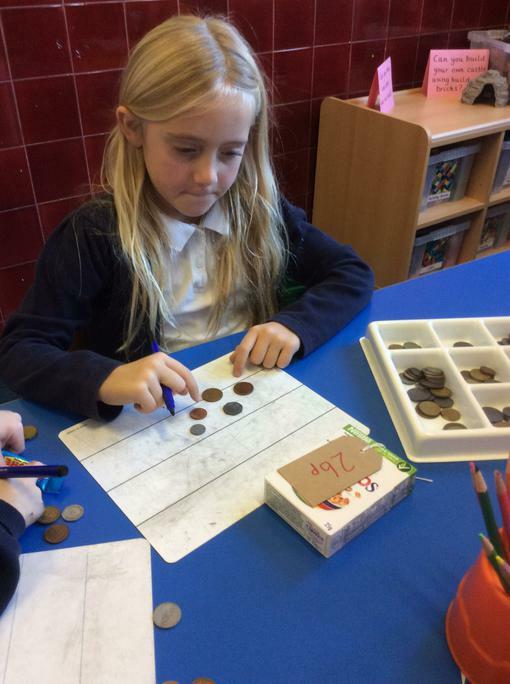 We have been working hard this week making the same amount of money using different coins! 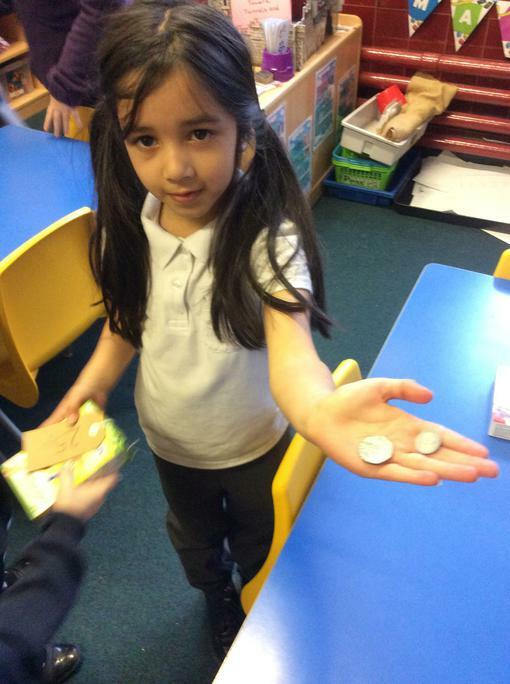 Are you ready to buy something from the shop? Are you ready to make your own shop? 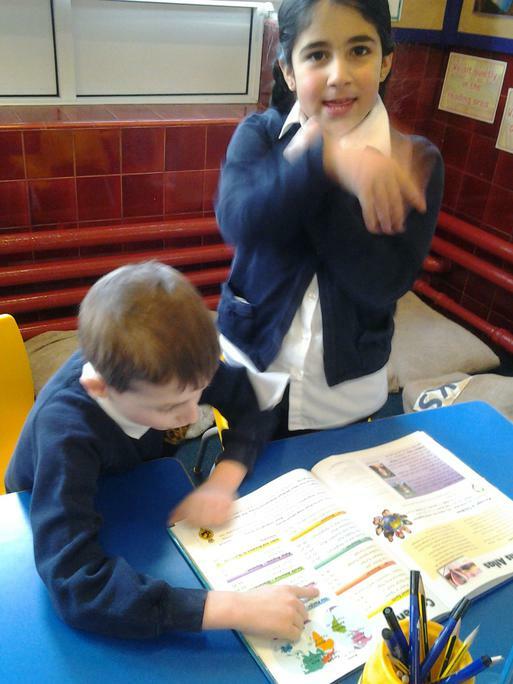 George and the dragon, can you use the actions to tell the story? 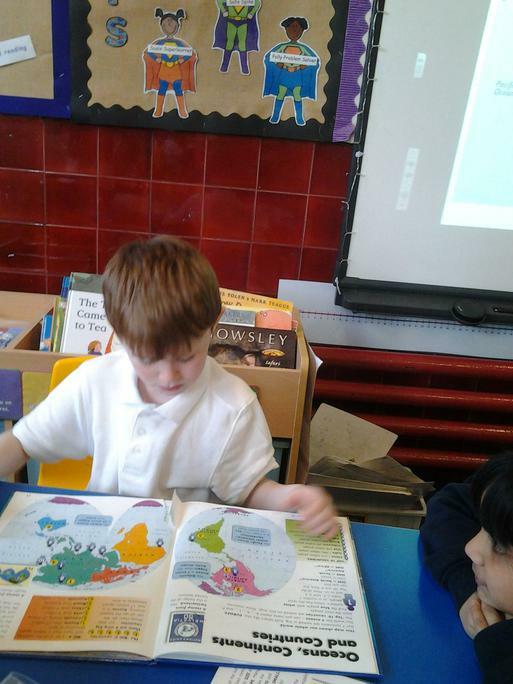 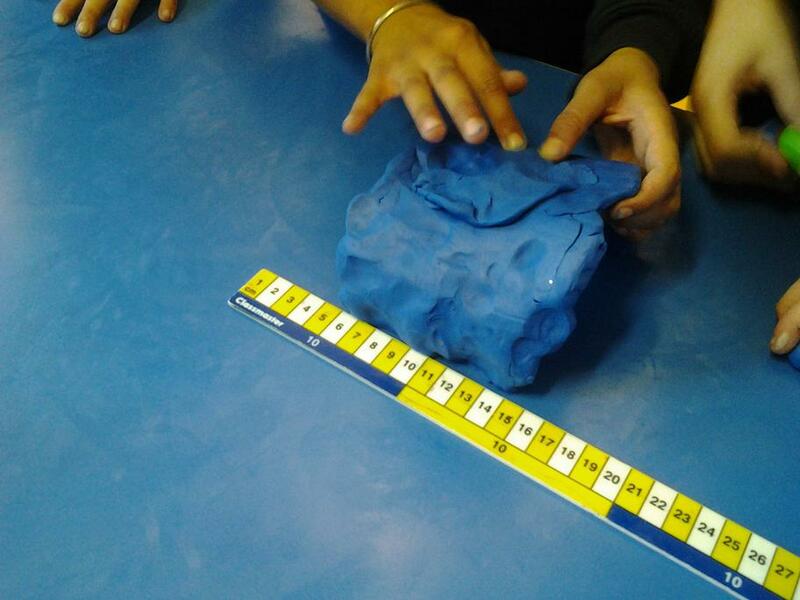 Story mountain, now we are in year 2 it is much more detailed. 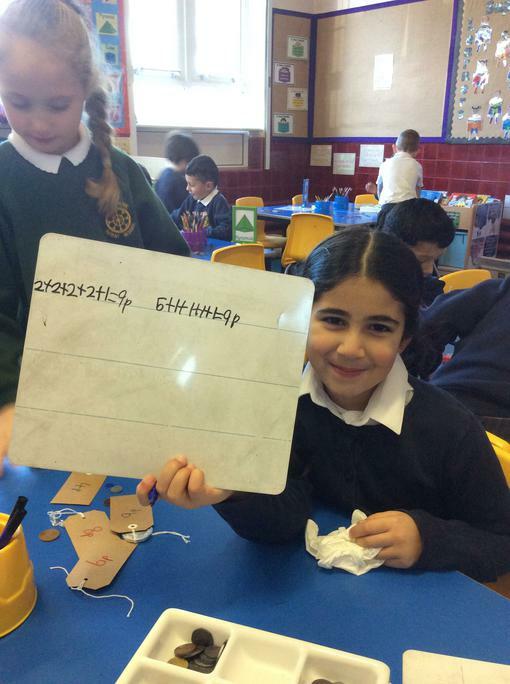 Watch our talk for writing video below. 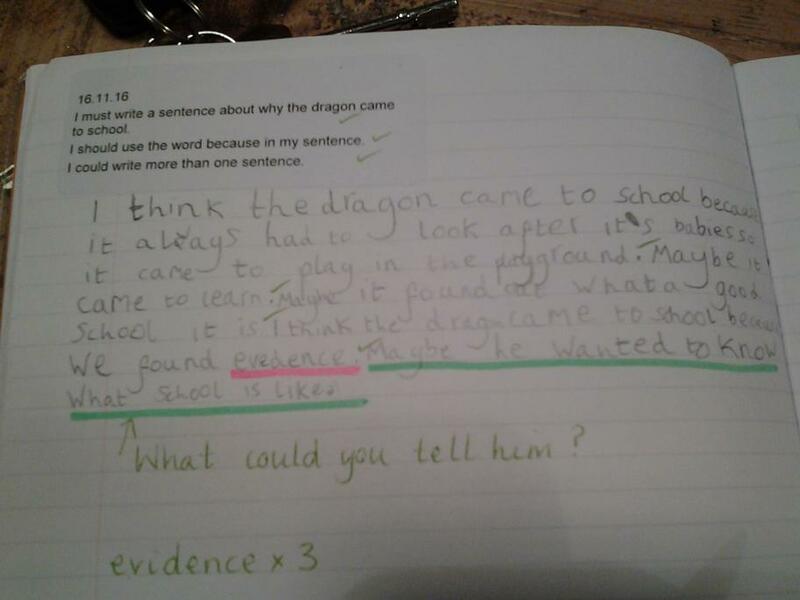 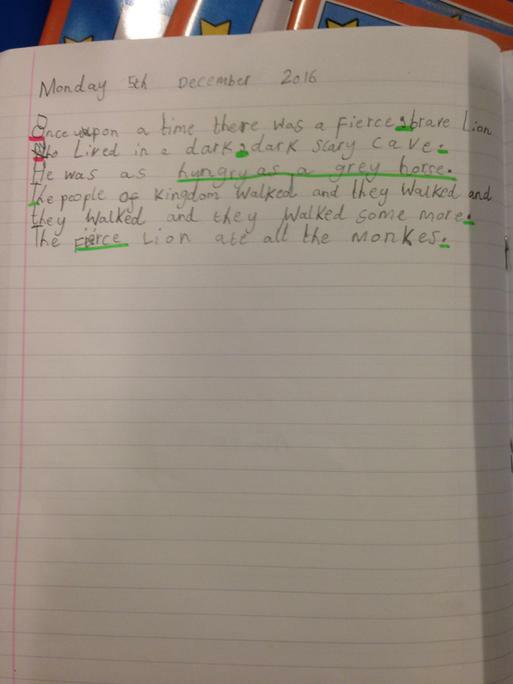 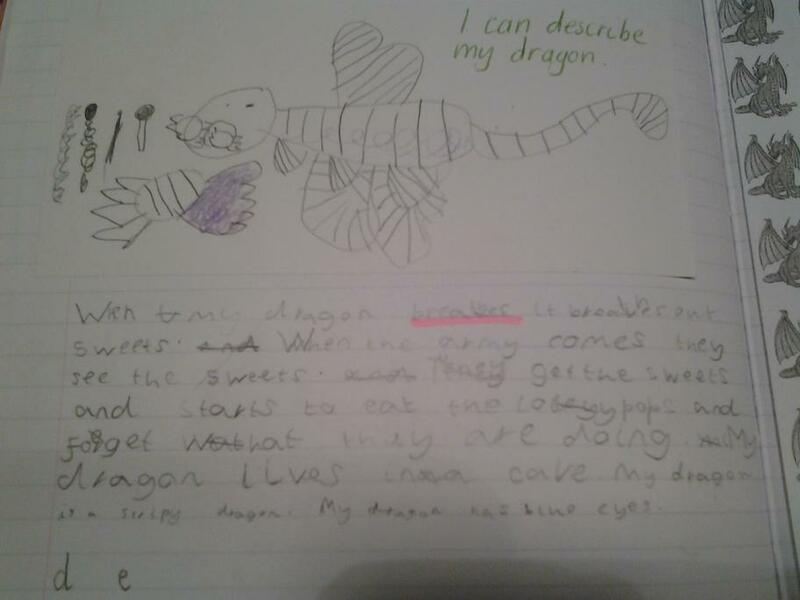 Can you use the story plan to tell the story of George and the Dragon? 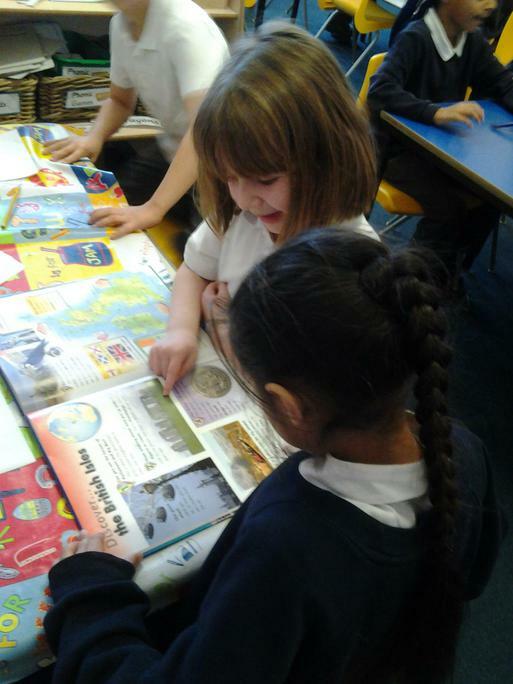 A reading of Tell Me a Dragon. 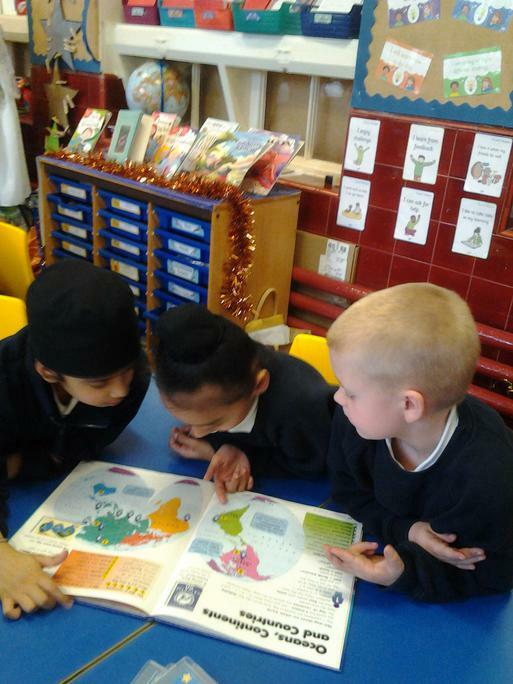 Listen to the author tell the story - she even tells some secrets about the story! 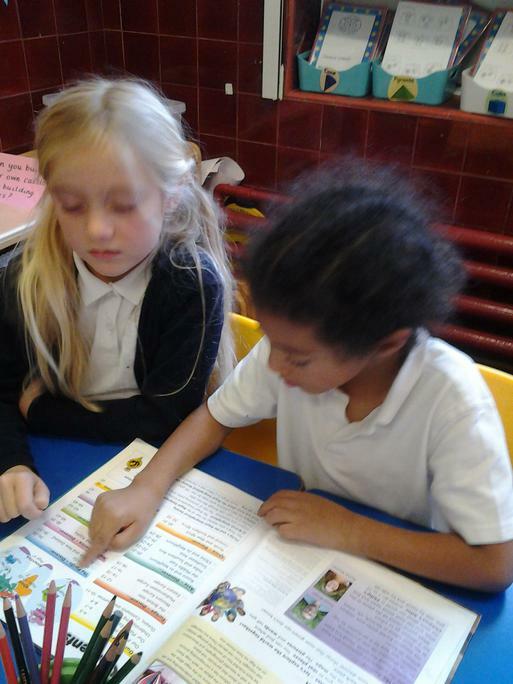 This book is going to help to inspire us to write for the next 3 weeks! 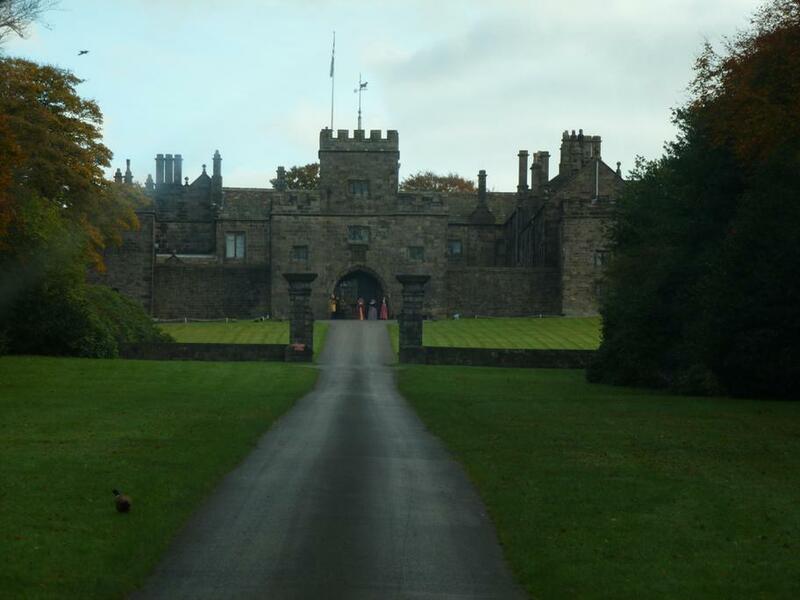 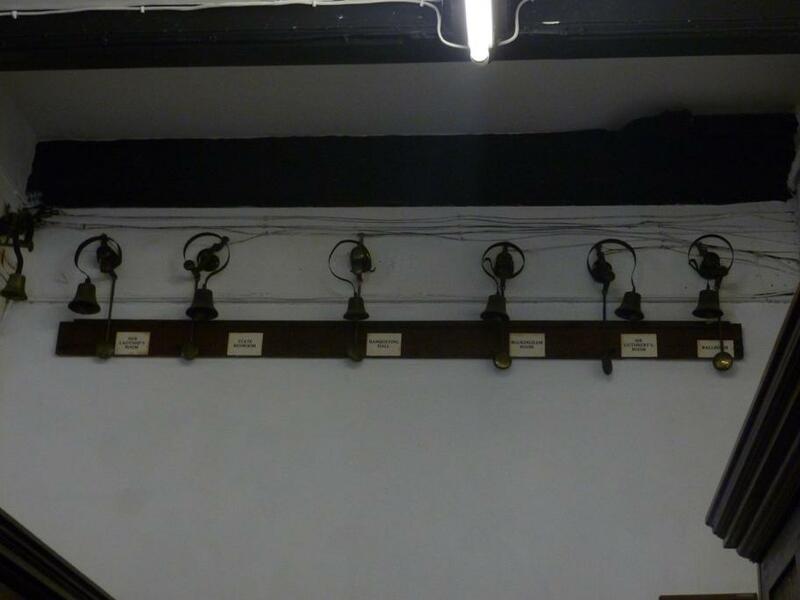 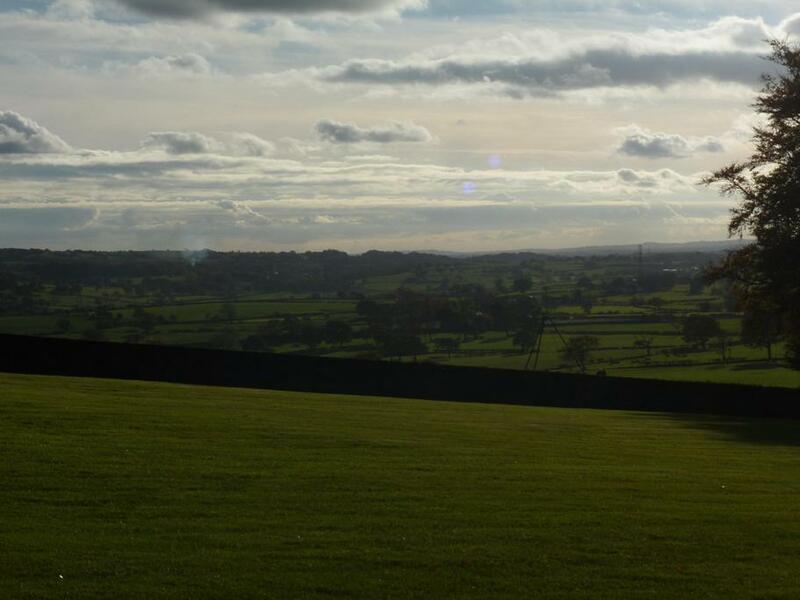 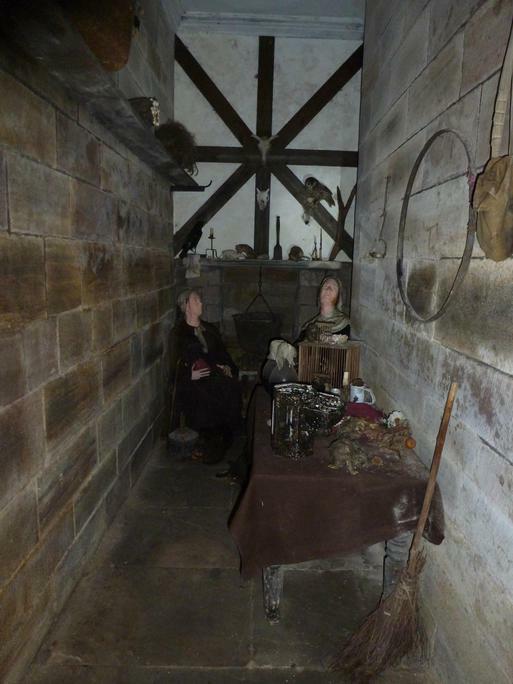 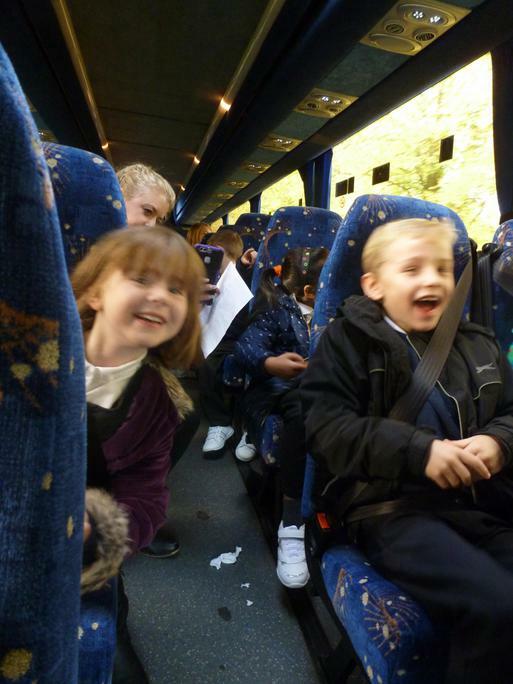 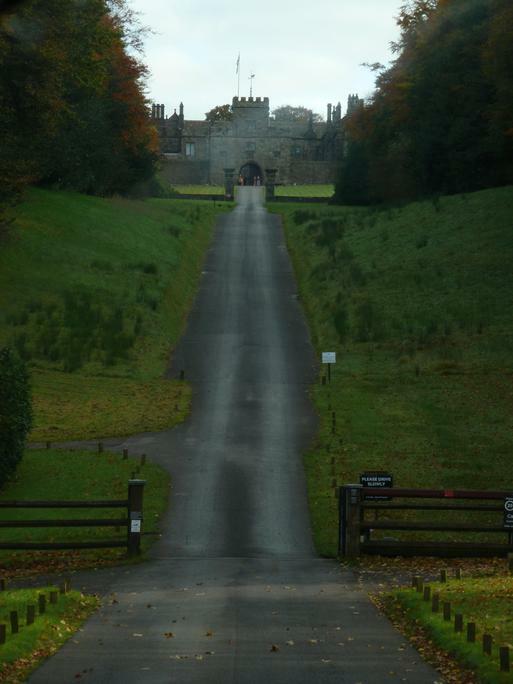 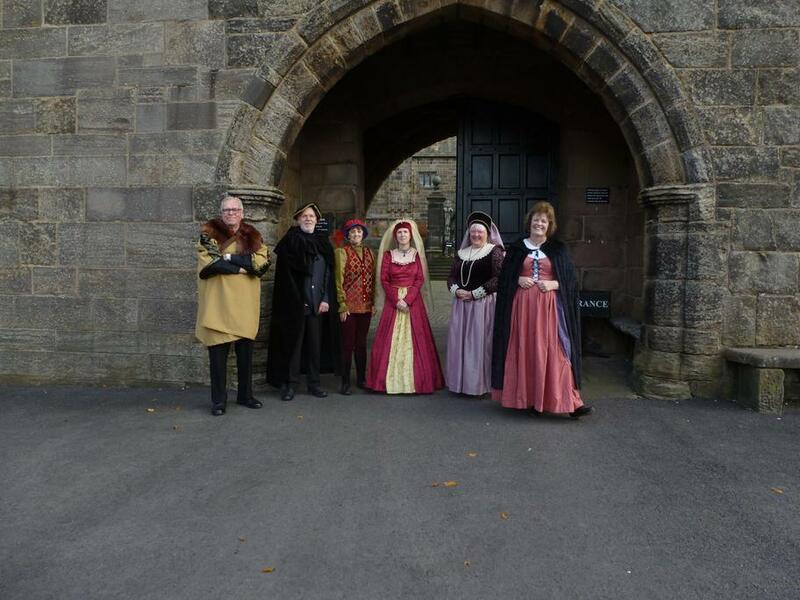 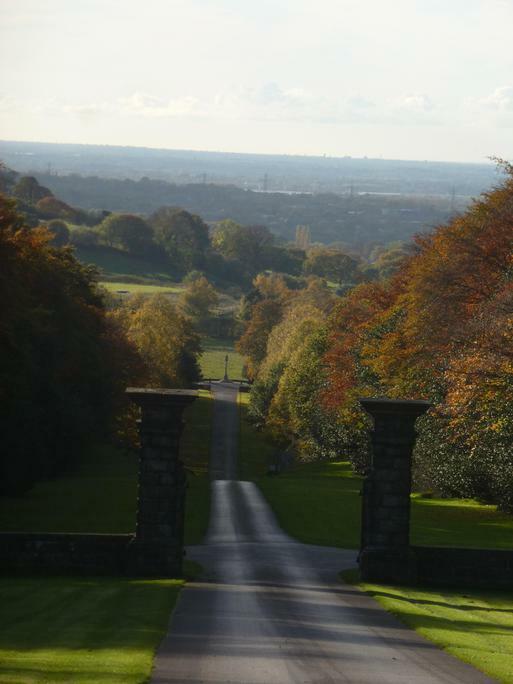 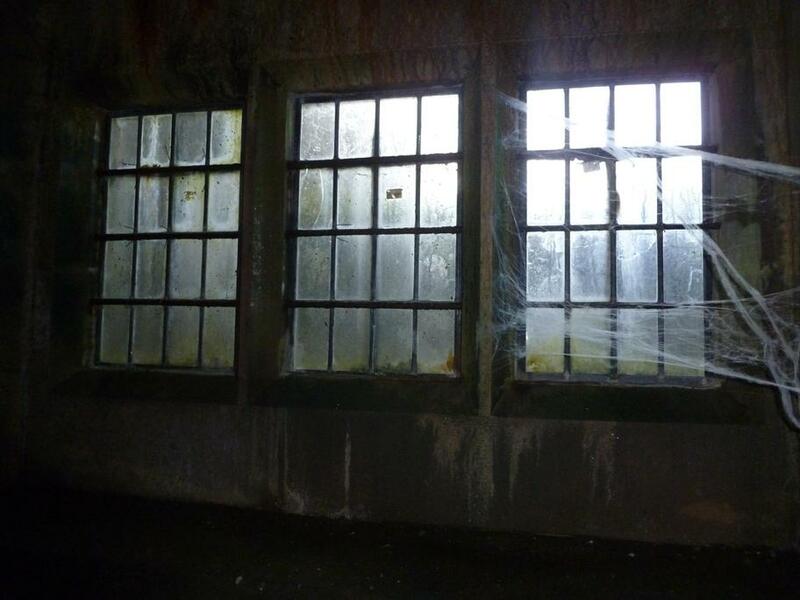 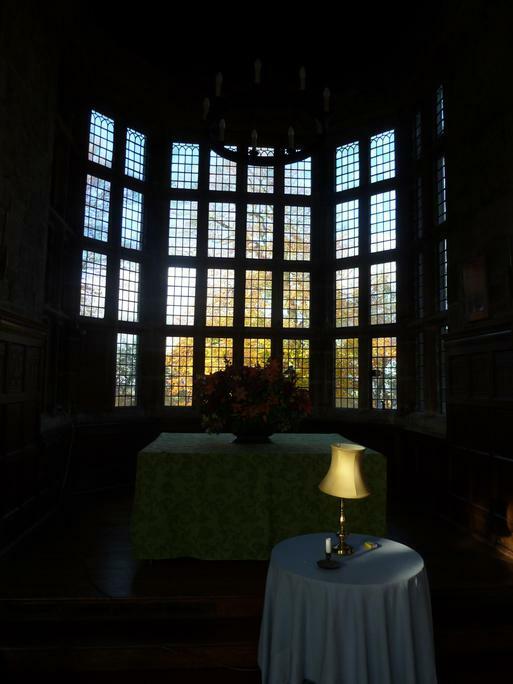 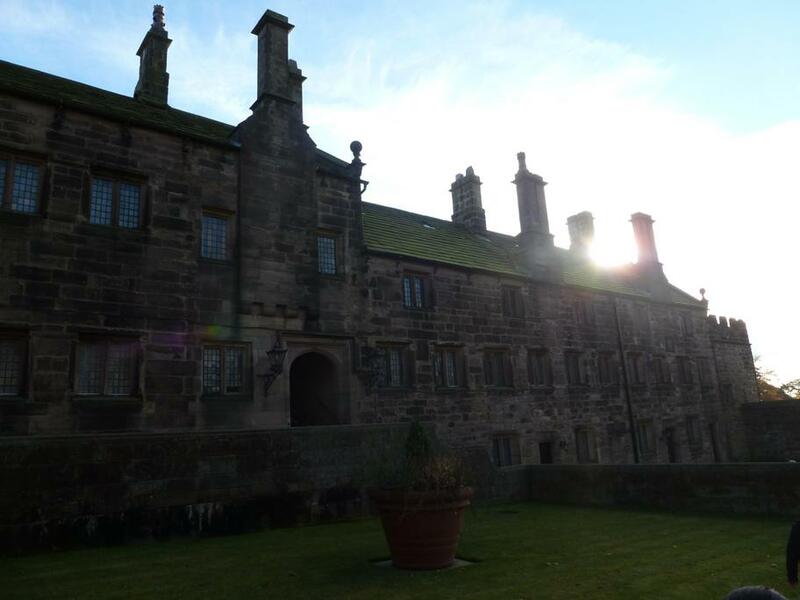 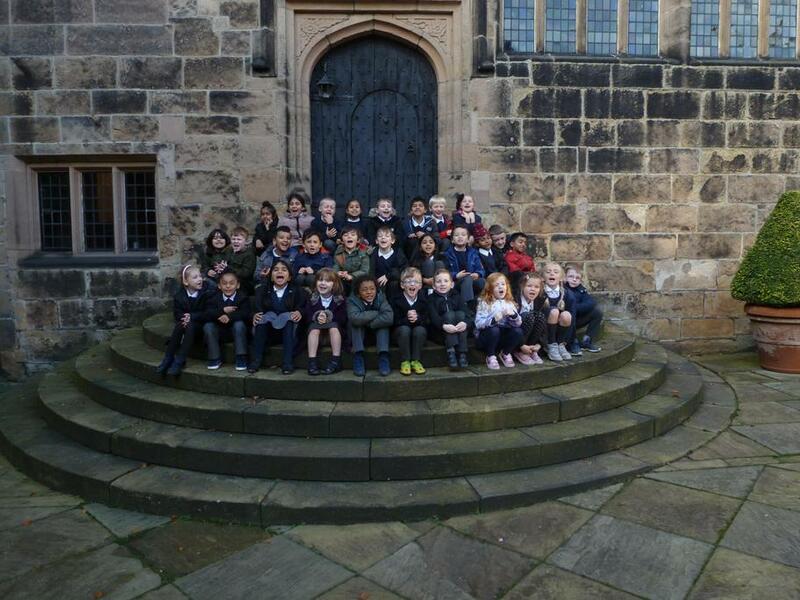 Our Trip to Hoghton Tower! 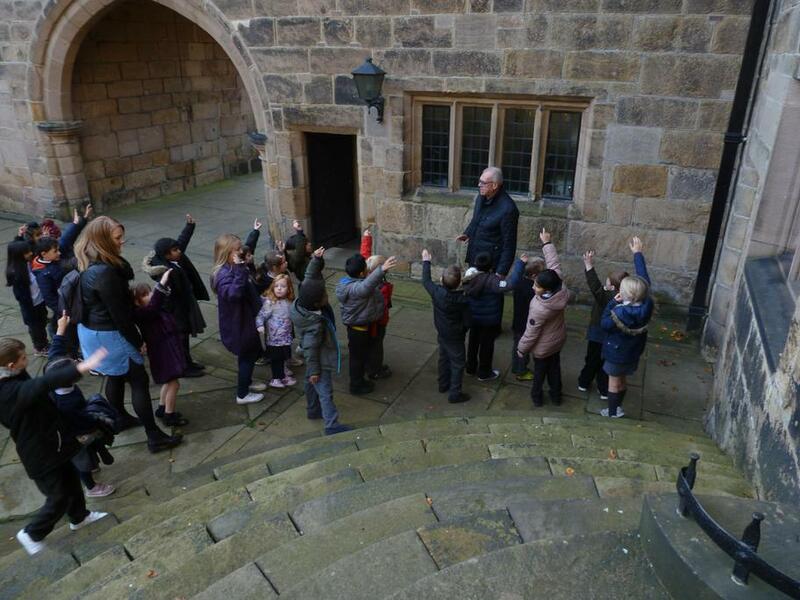 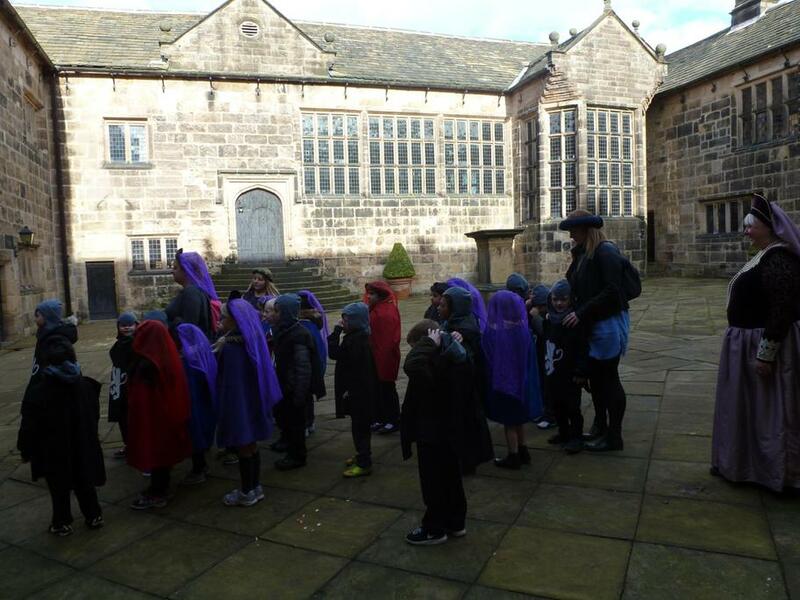 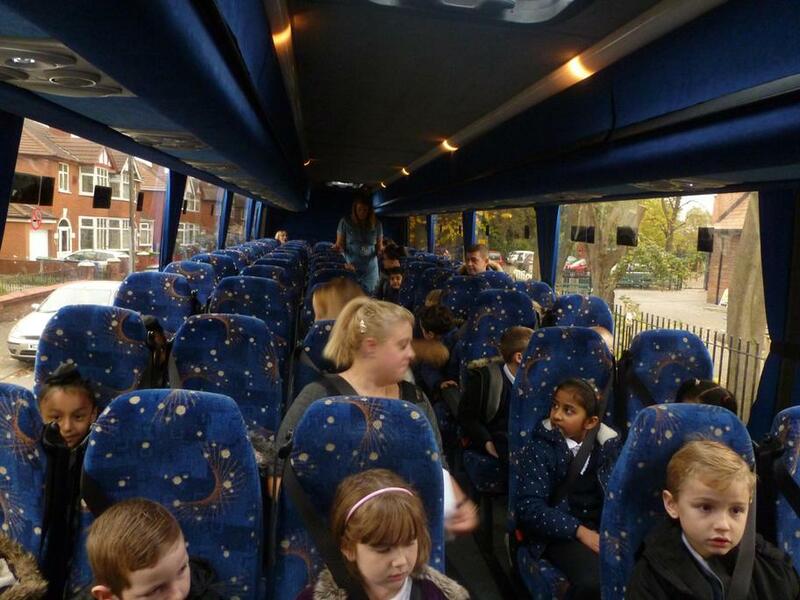 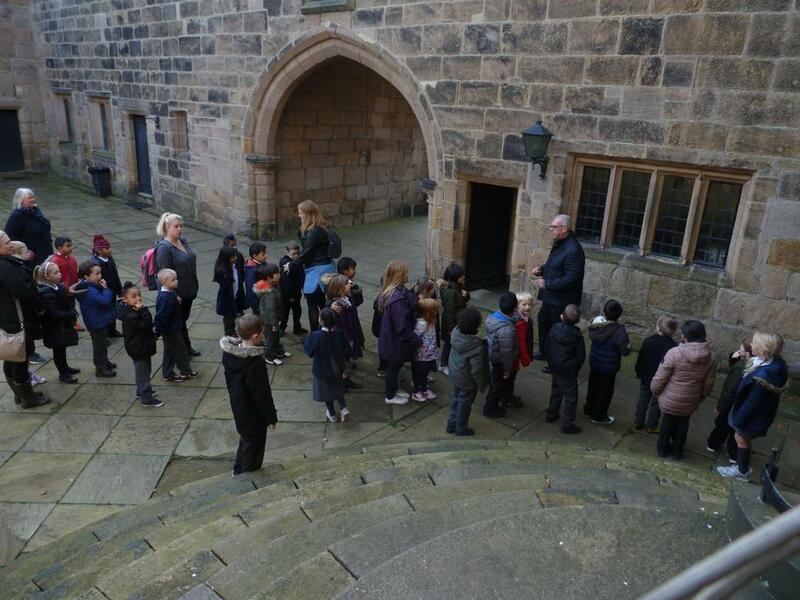 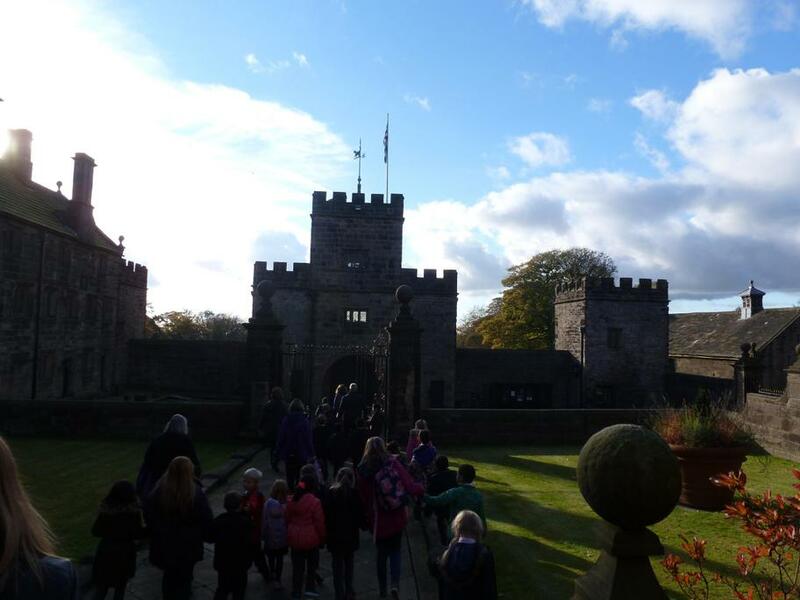 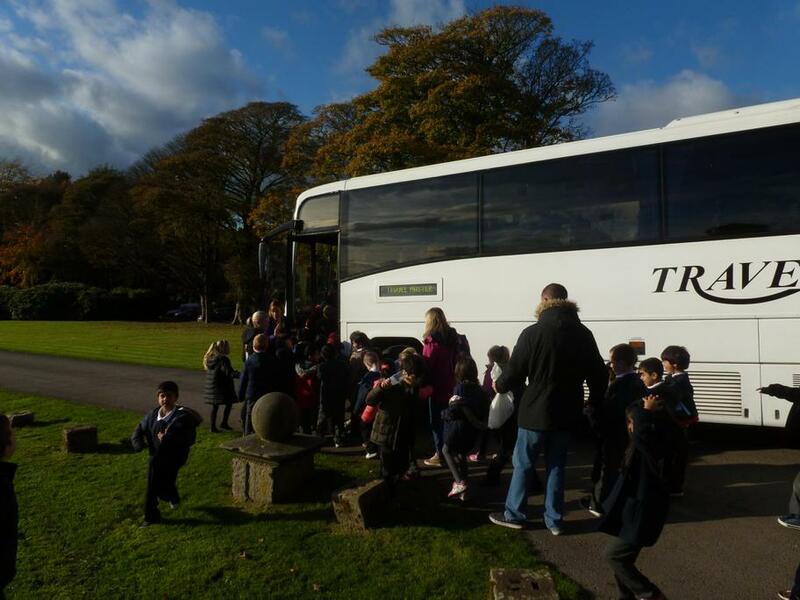 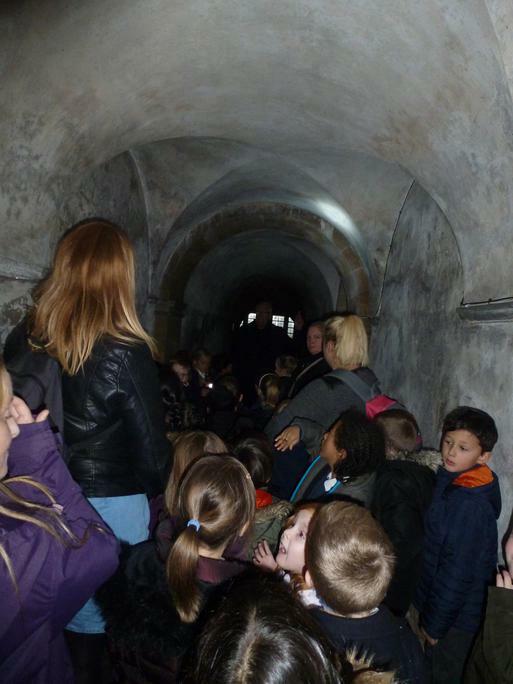 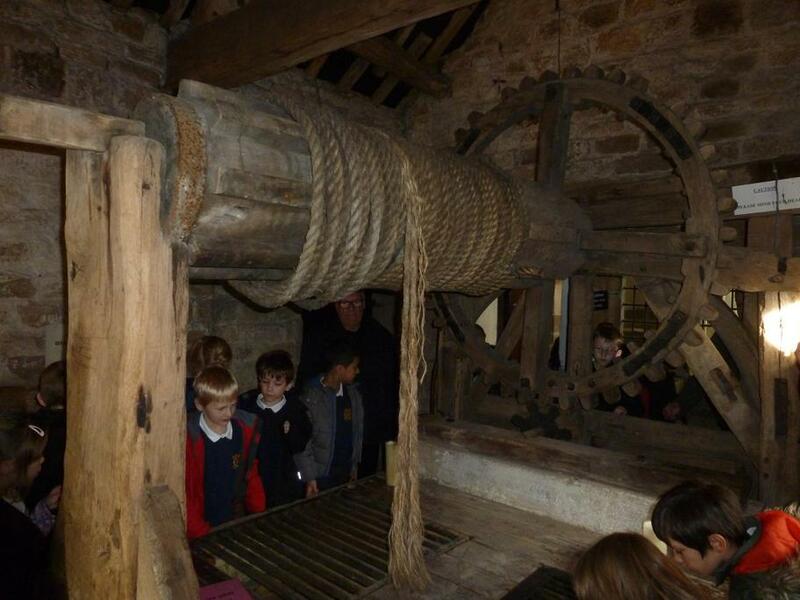 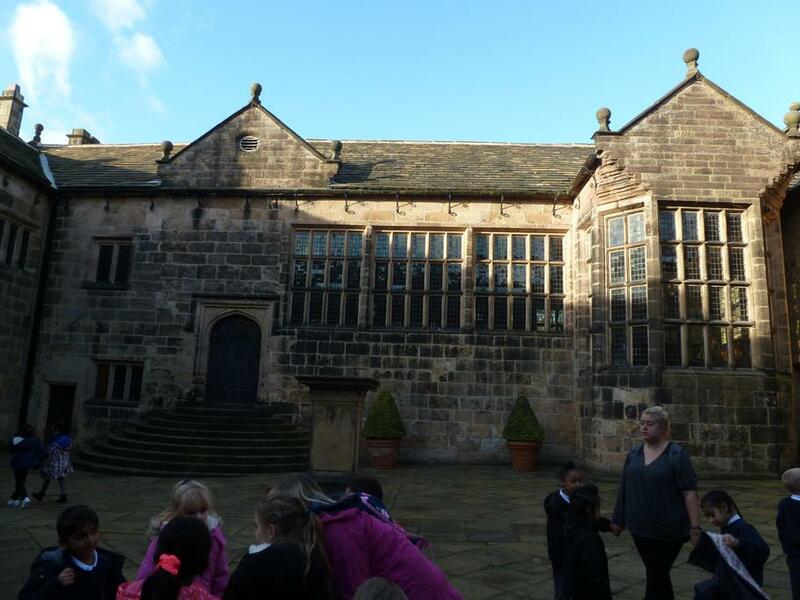 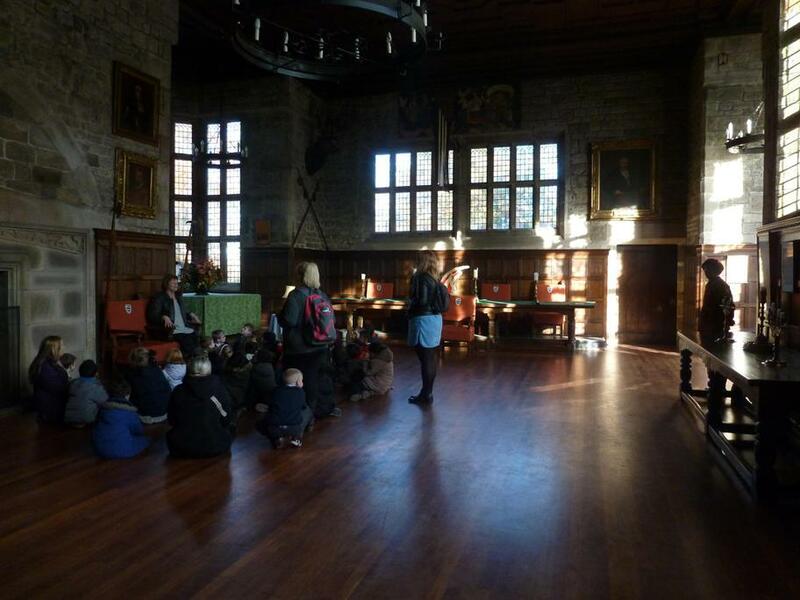 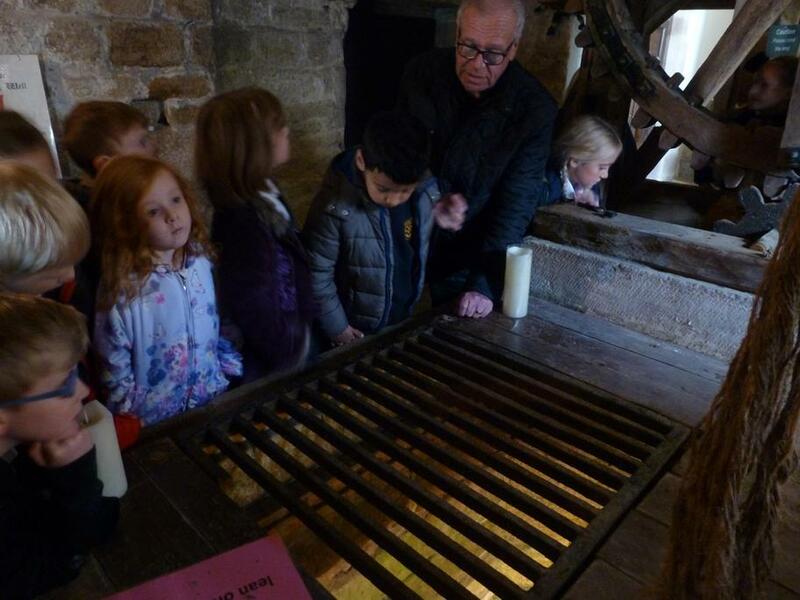 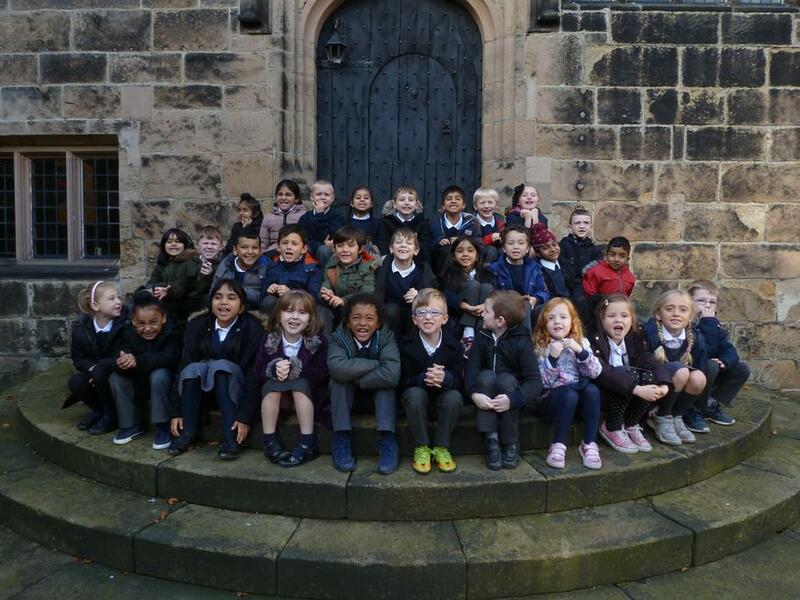 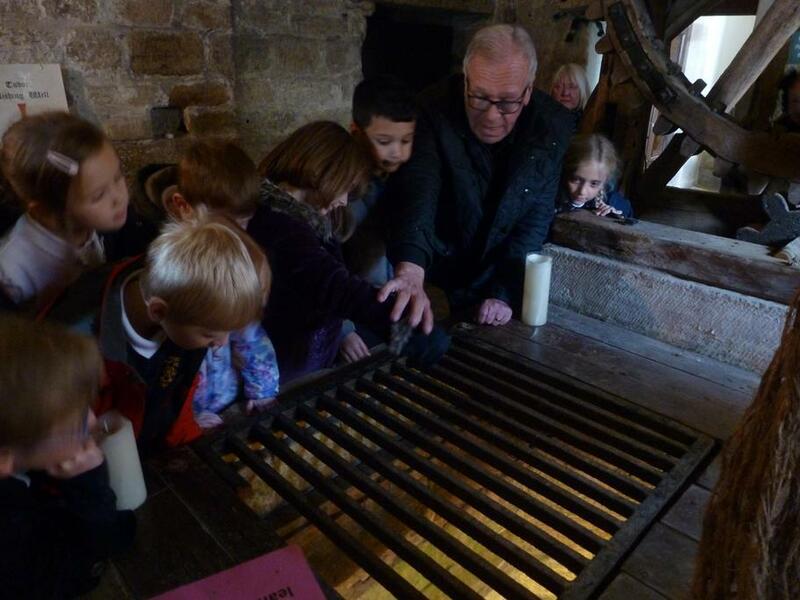 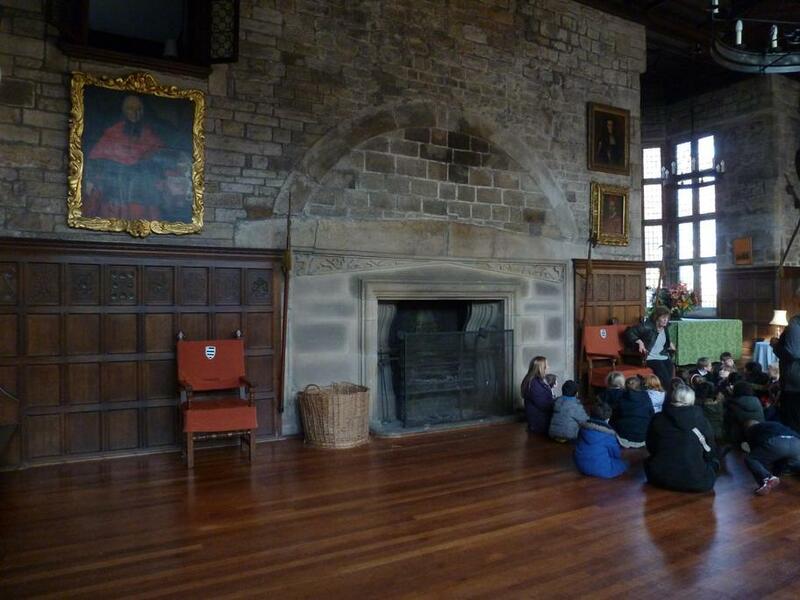 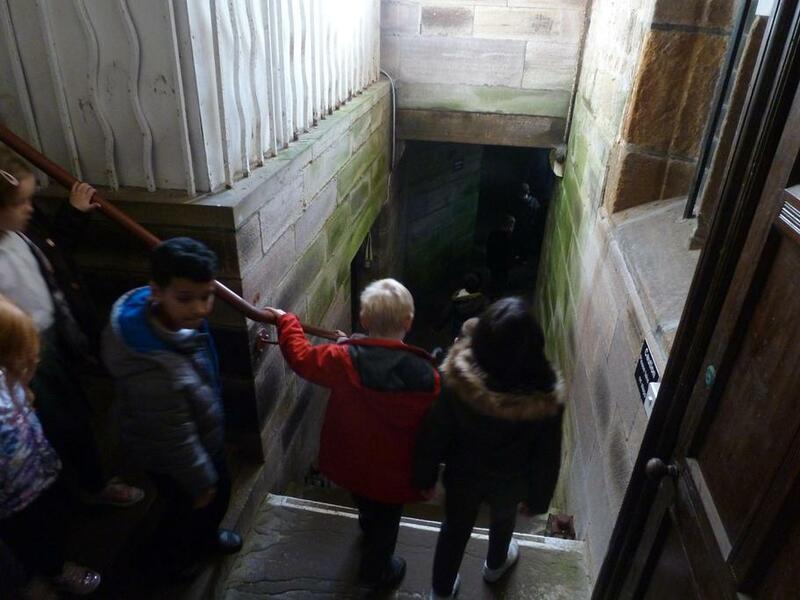 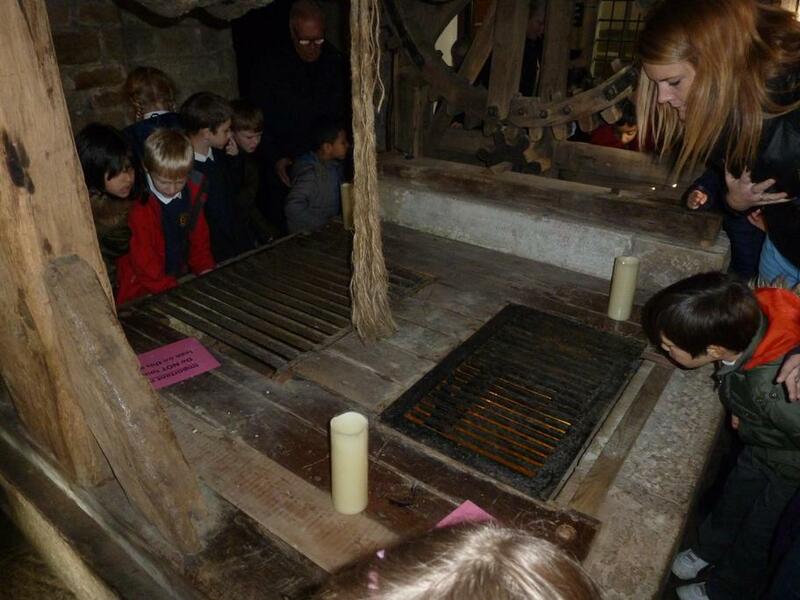 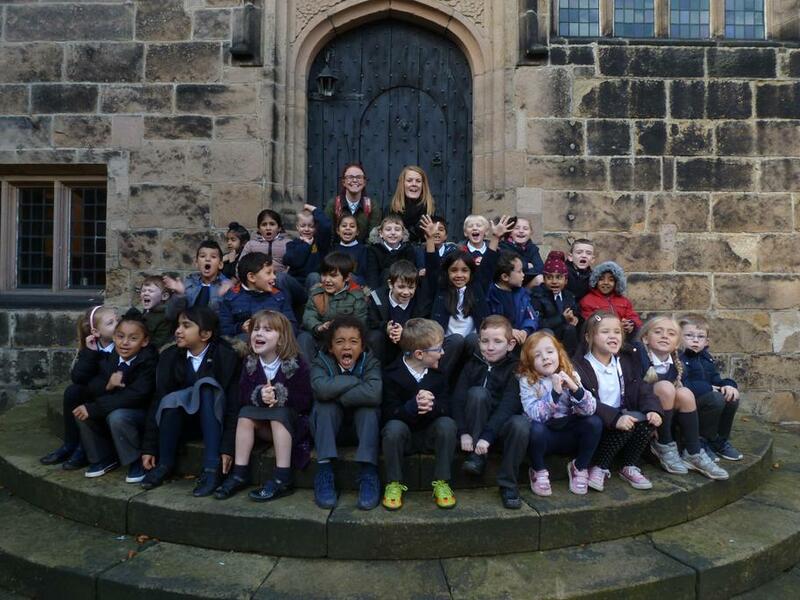 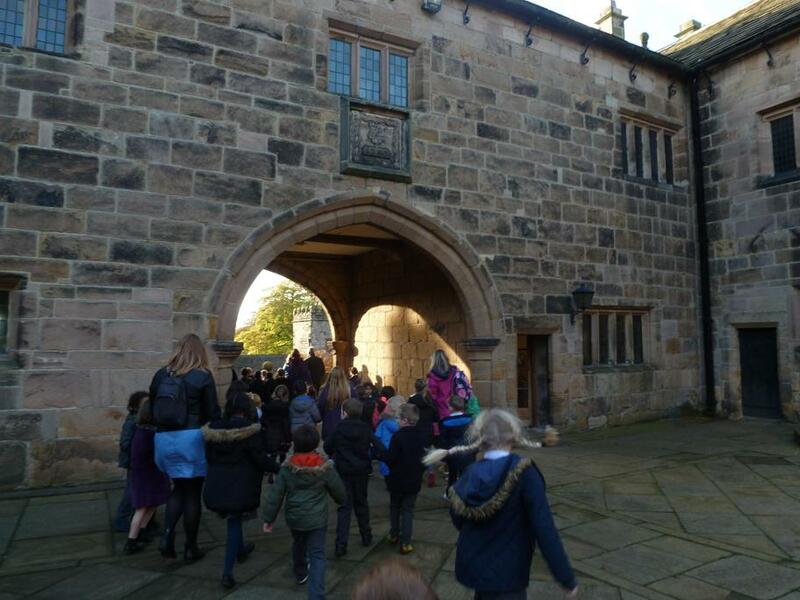 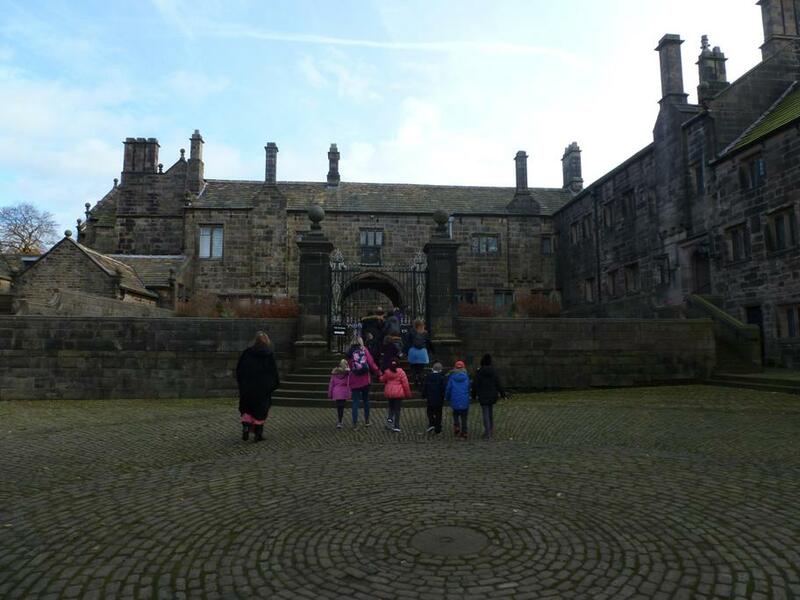 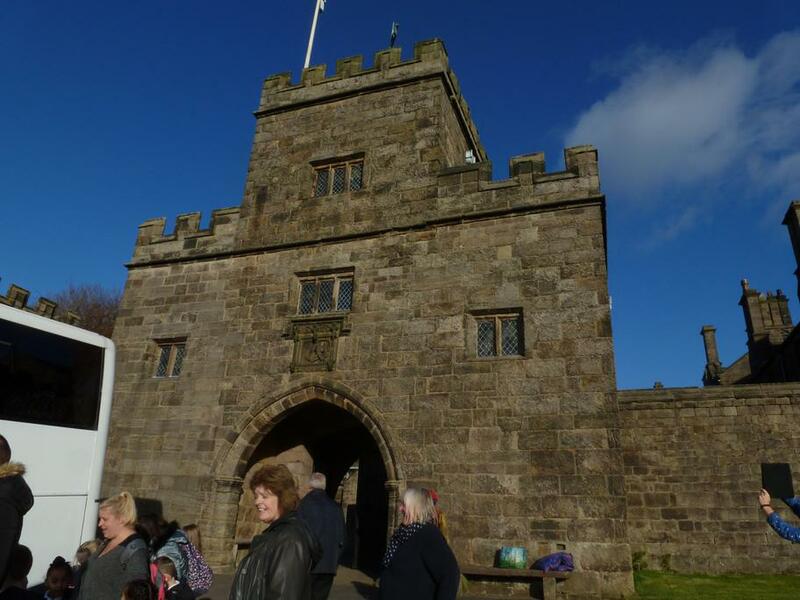 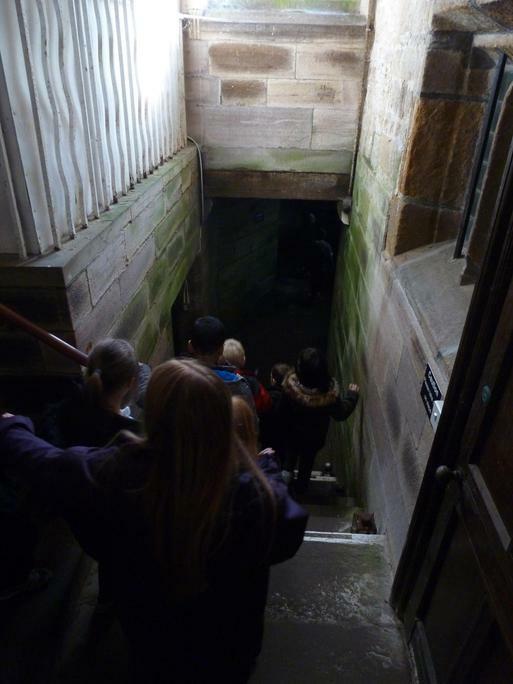 Today we went on our first school trip in Year 2 to Hoghton Tower as the opener to our brand new topic Towers, Tunnels & Turrets. 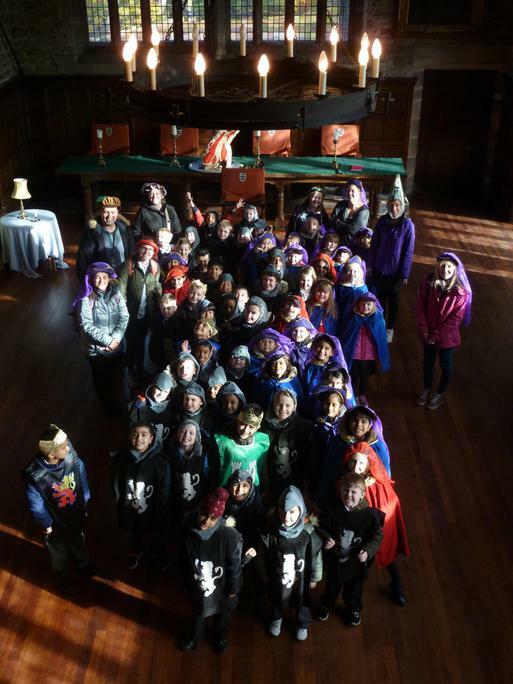 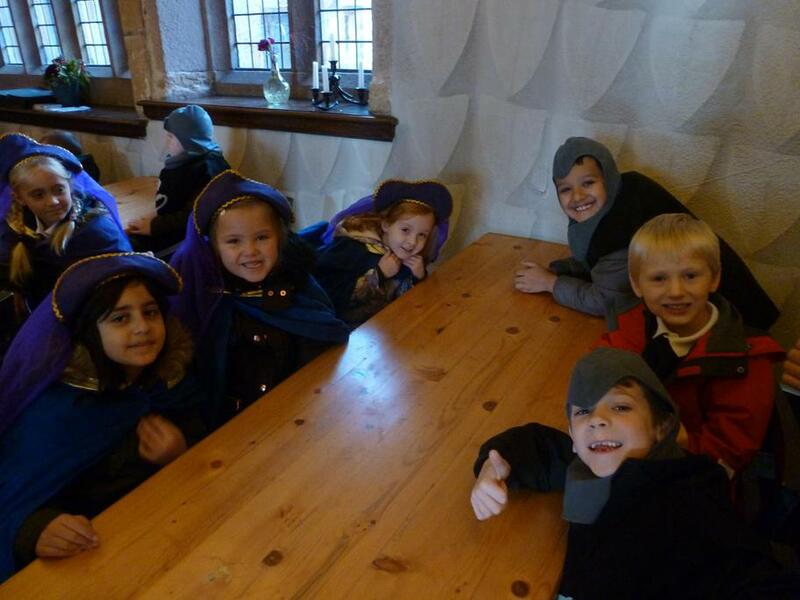 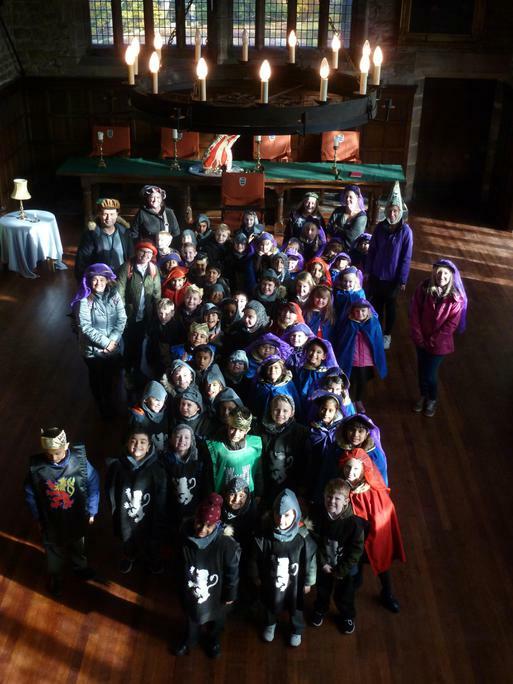 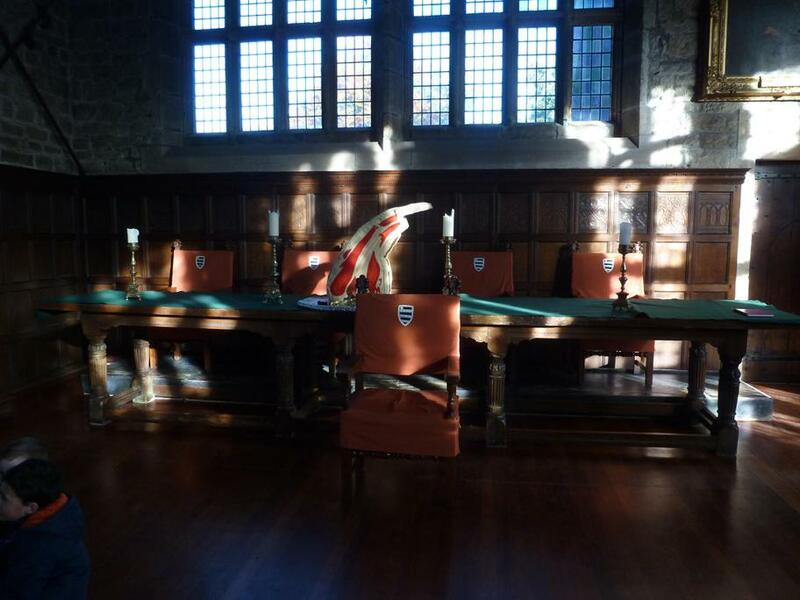 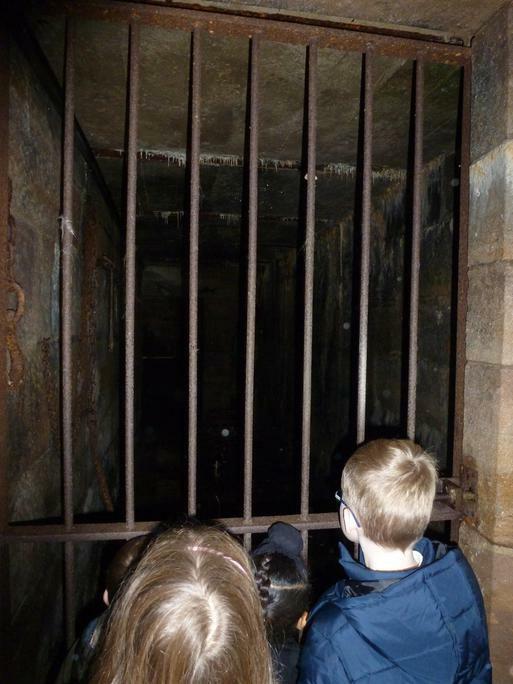 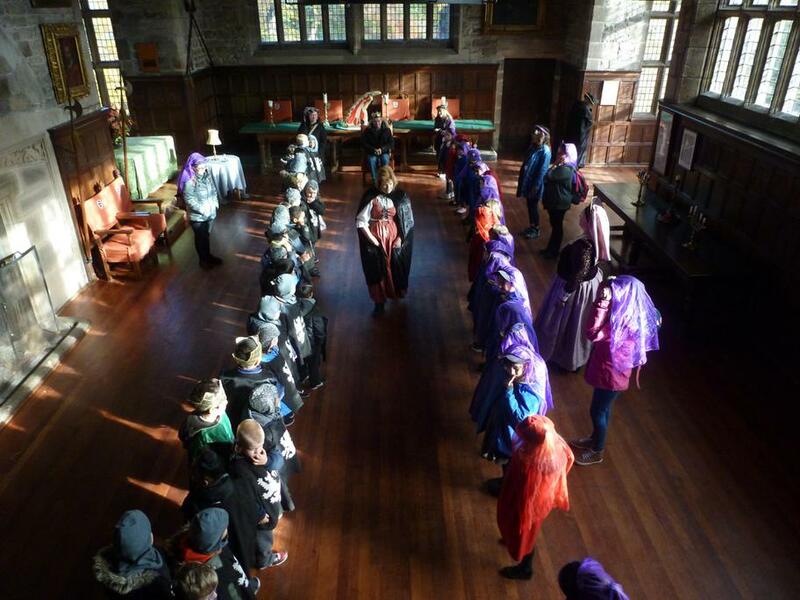 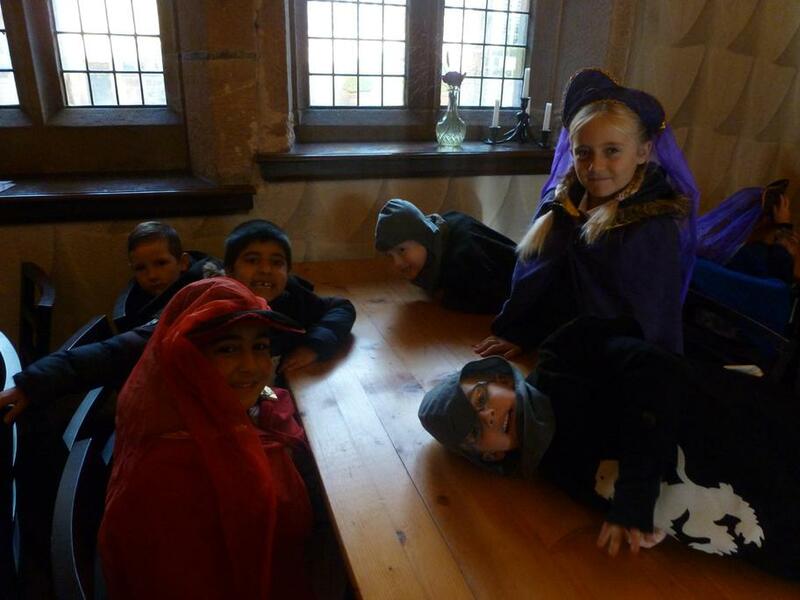 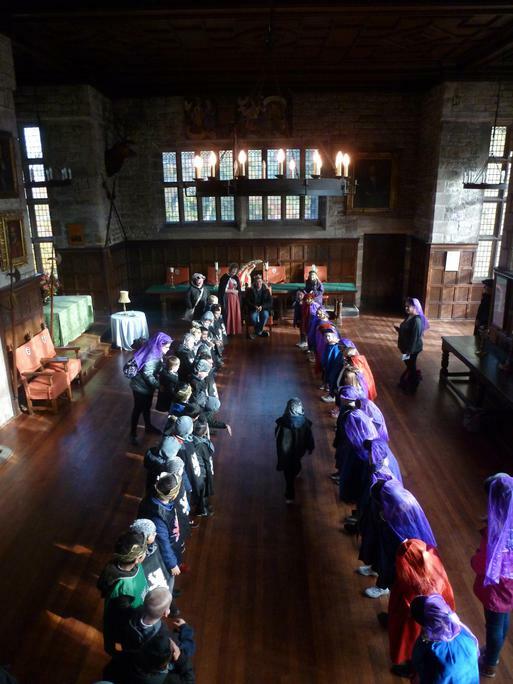 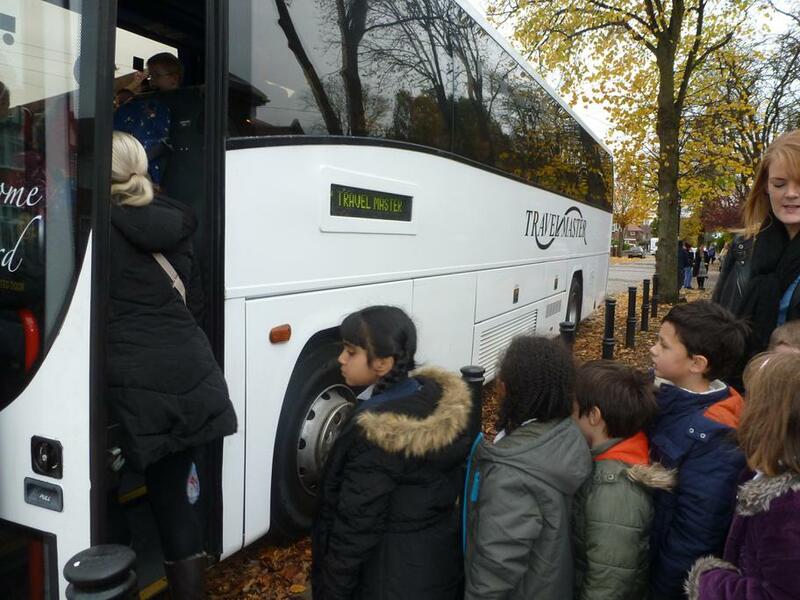 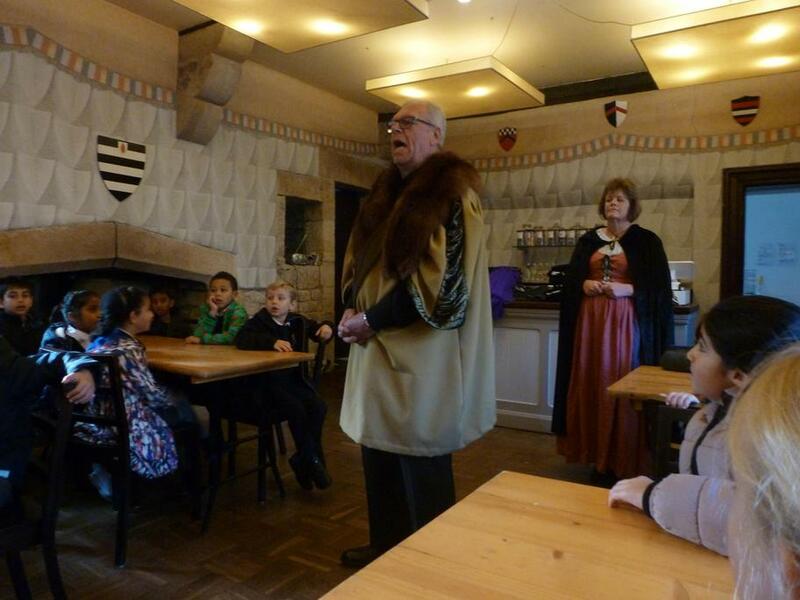 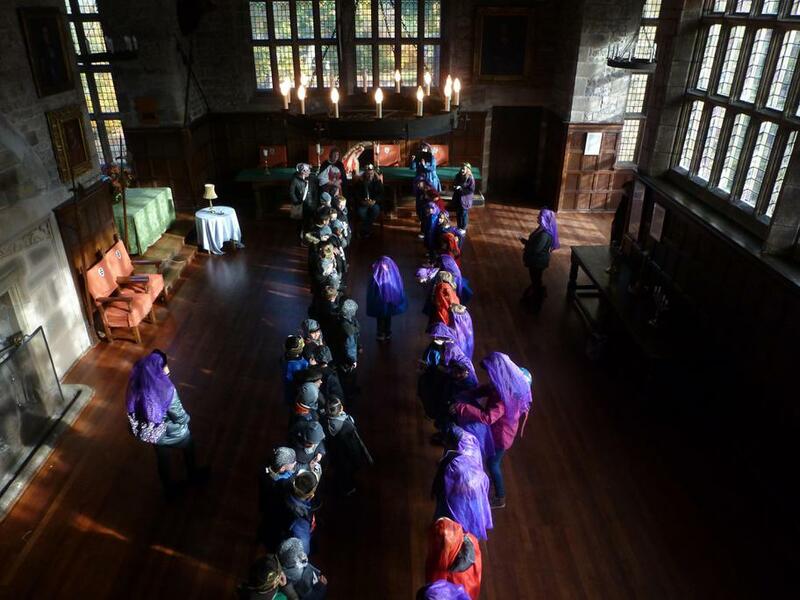 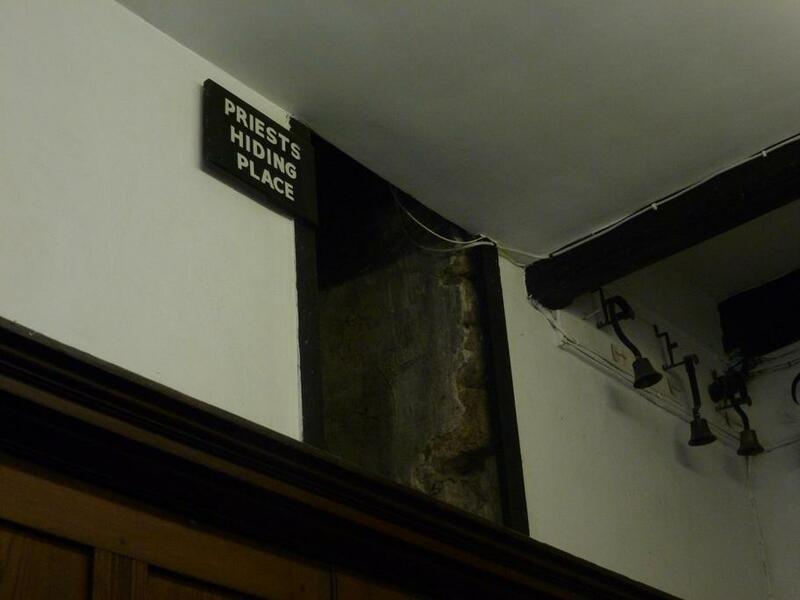 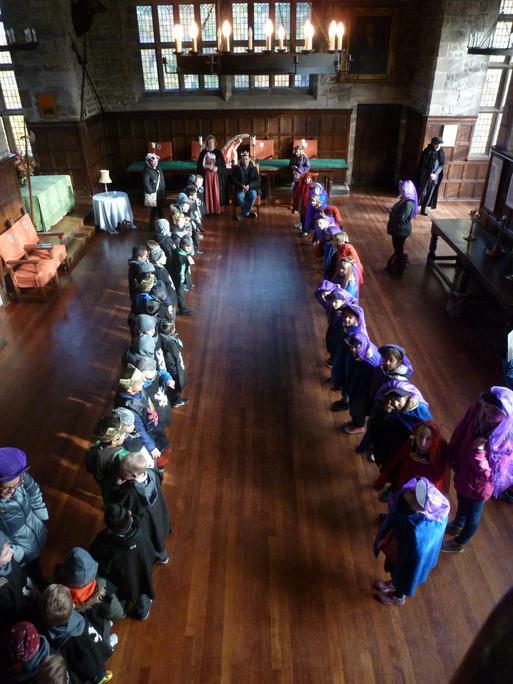 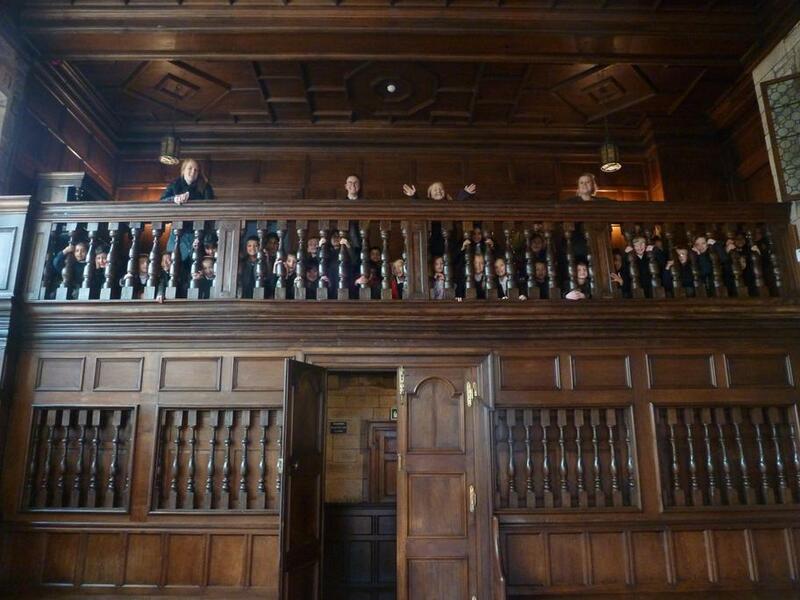 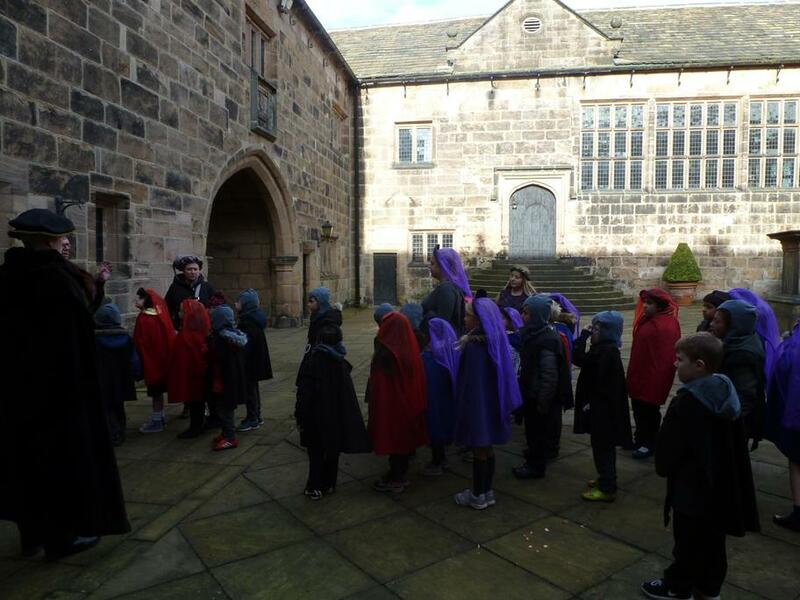 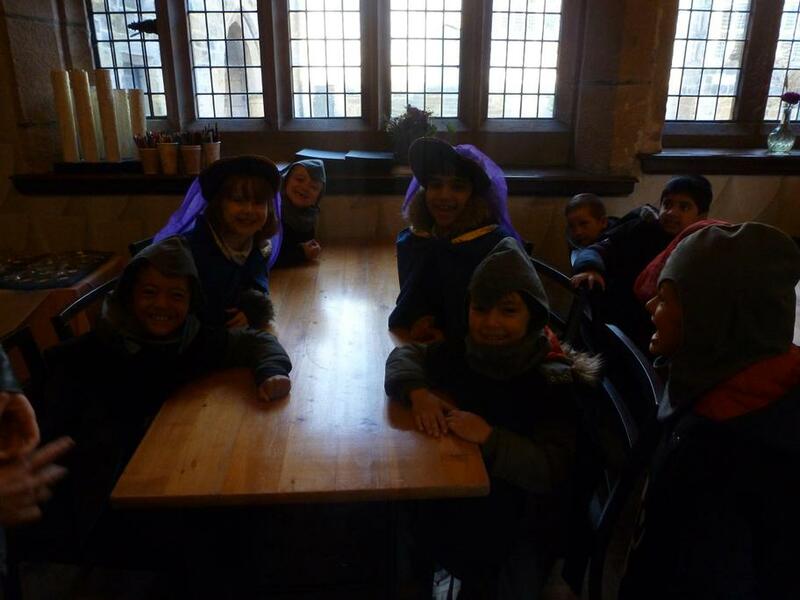 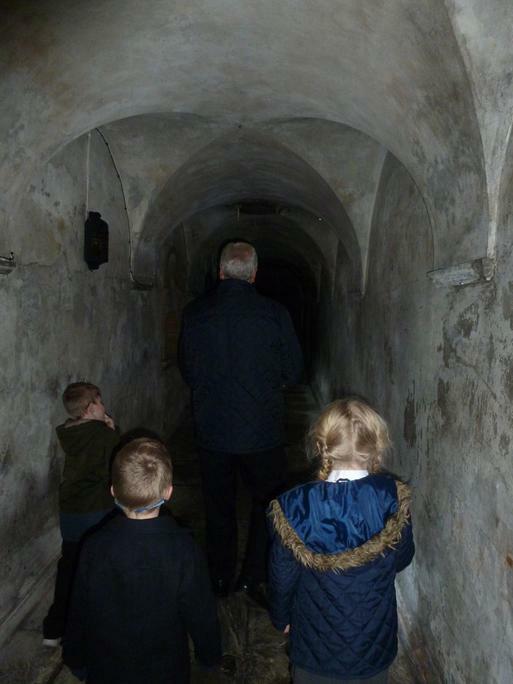 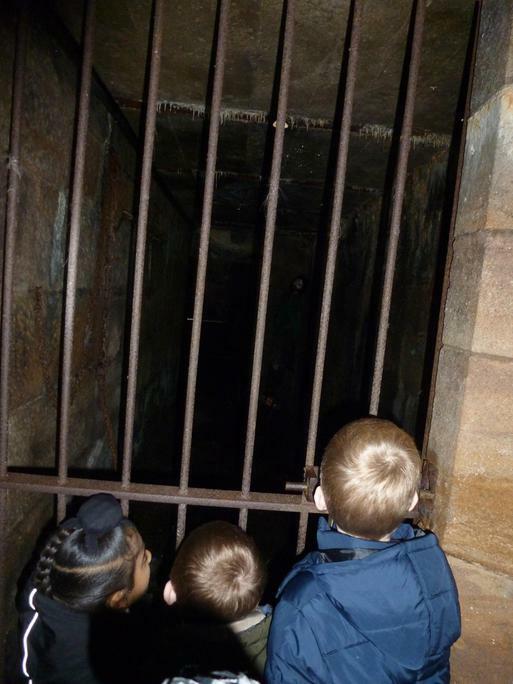 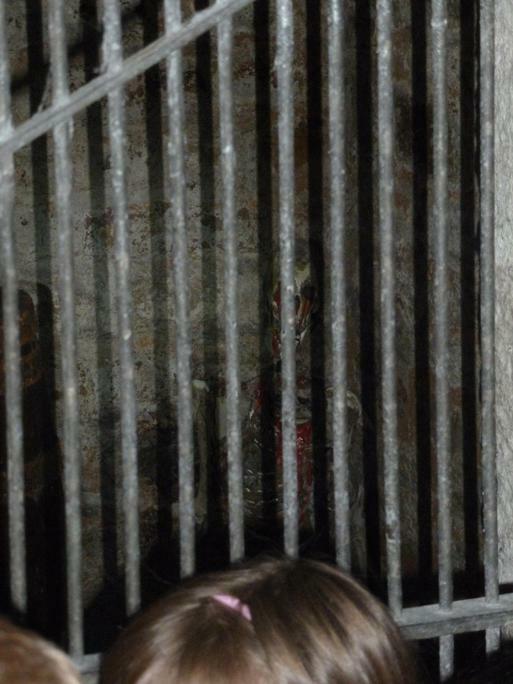 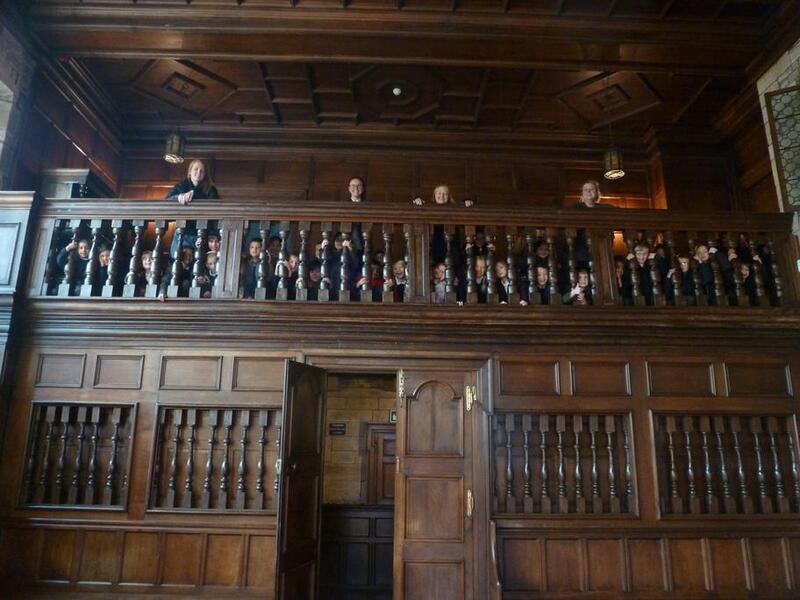 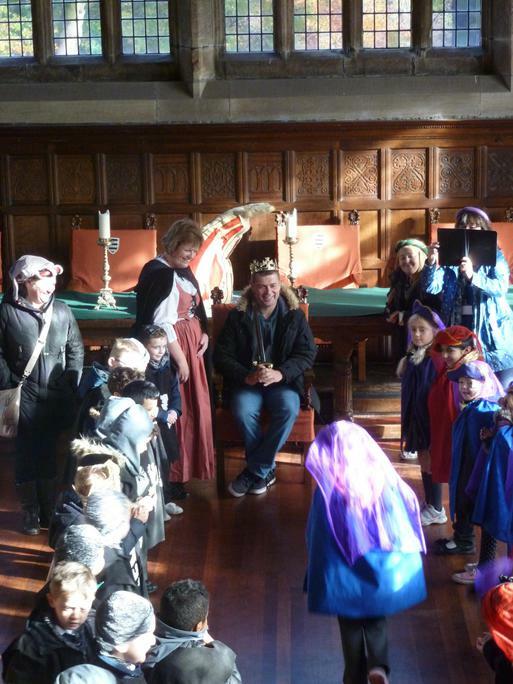 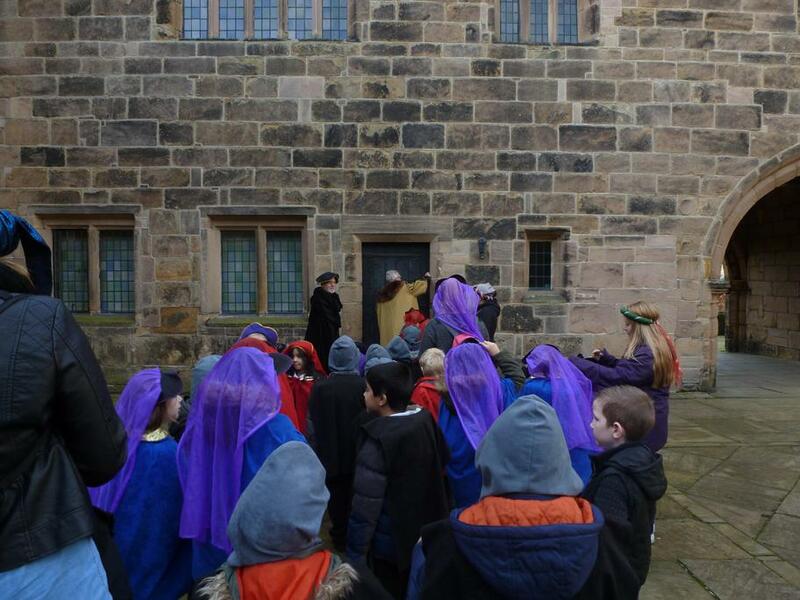 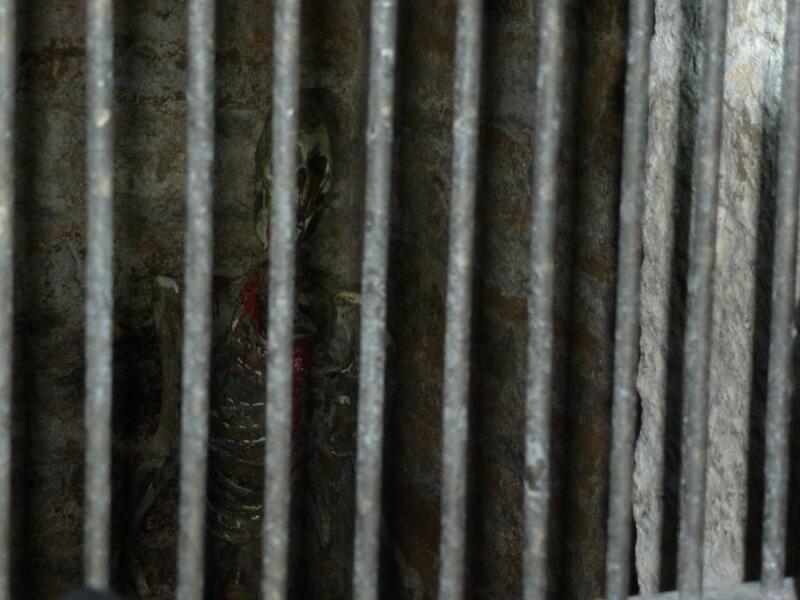 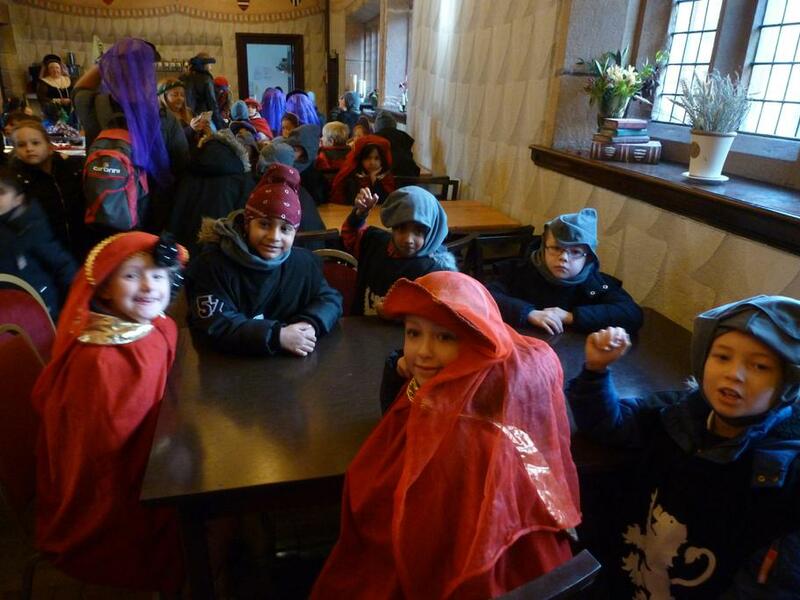 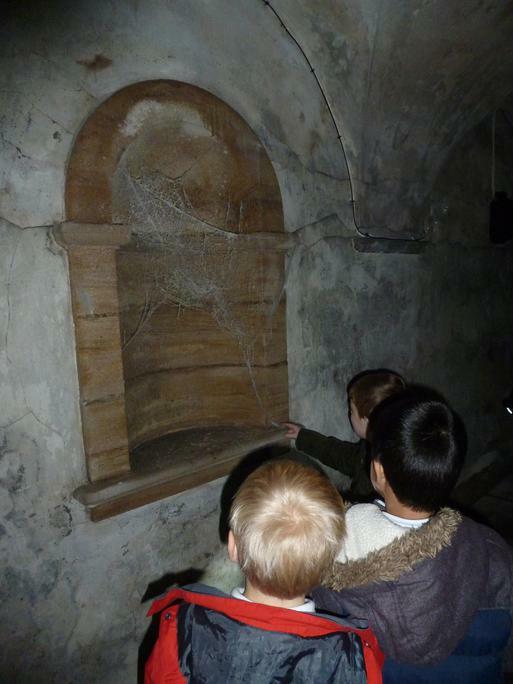 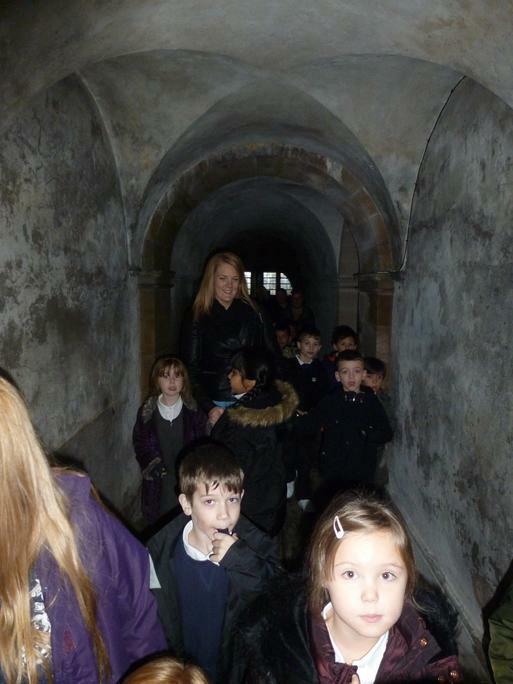 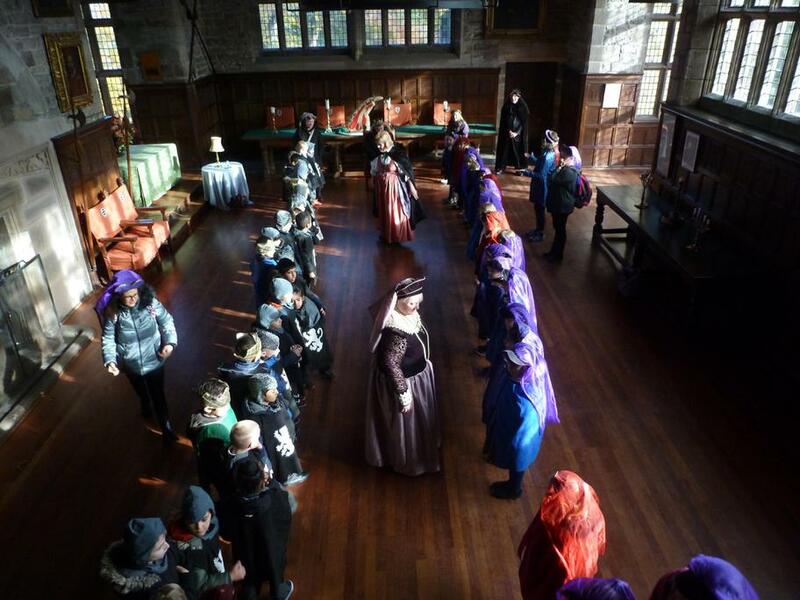 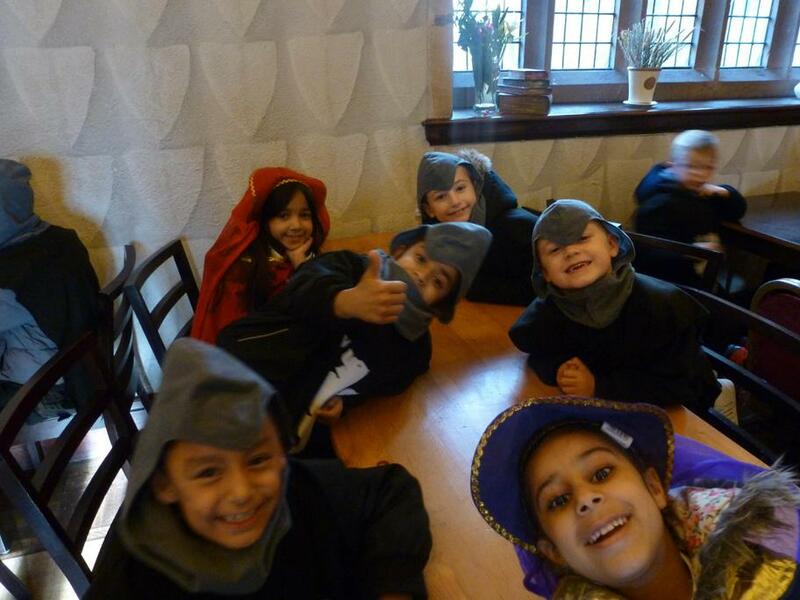 During the trip we dressed up as Knights and Princesses, had a tour of the tower where we learnt lots about it's history, went in the spooky dungeons, saw a very old wishing water well and some of us were even knighted in the banquet hall. 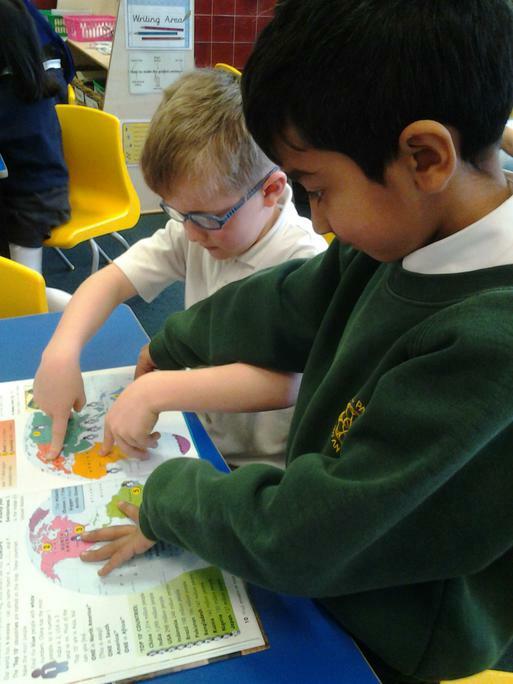 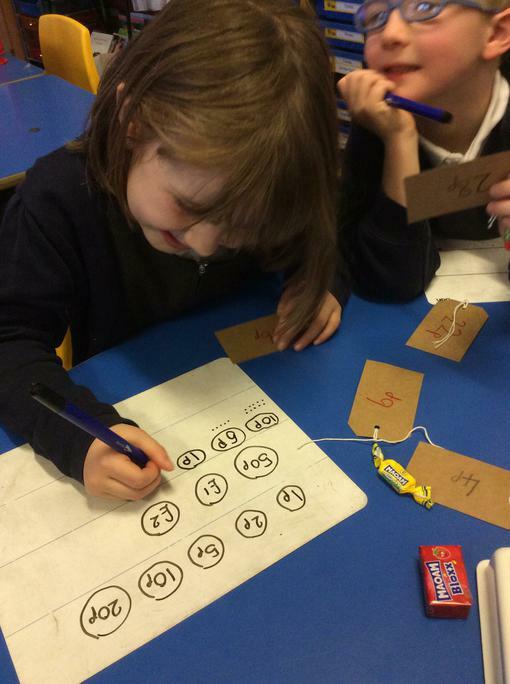 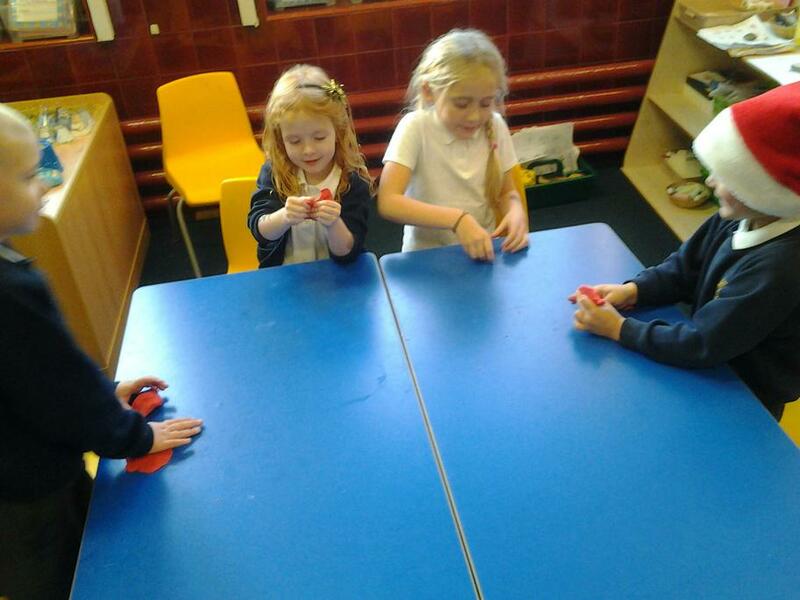 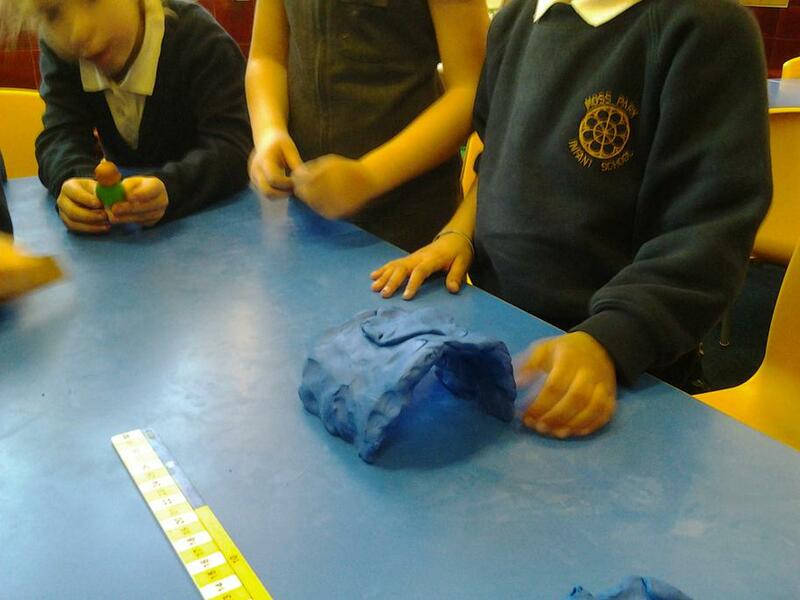 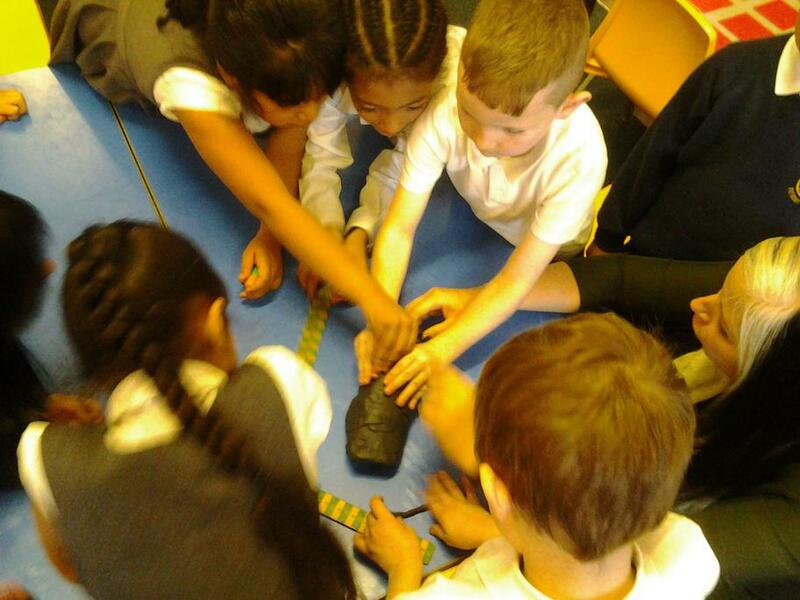 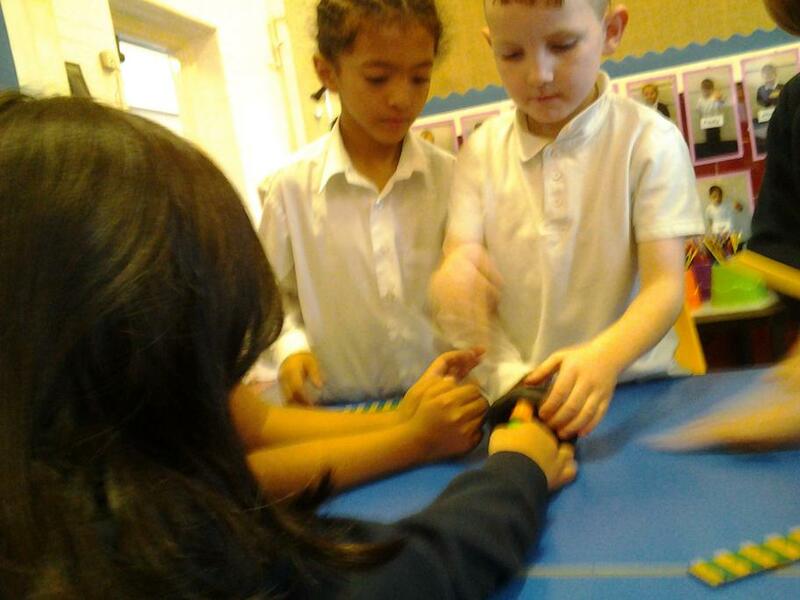 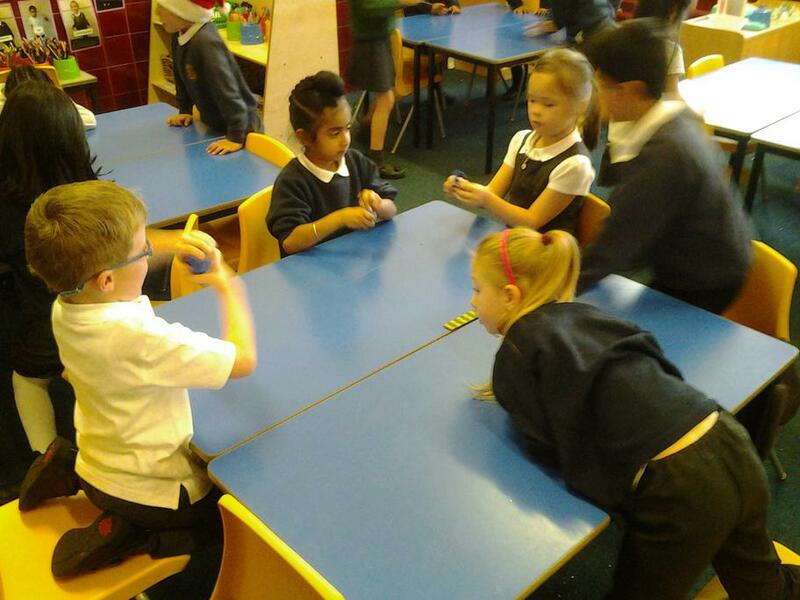 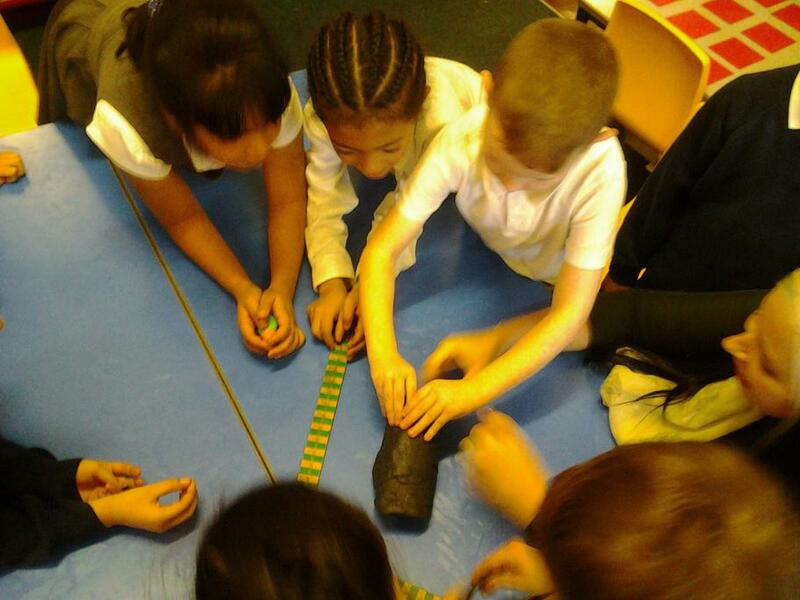 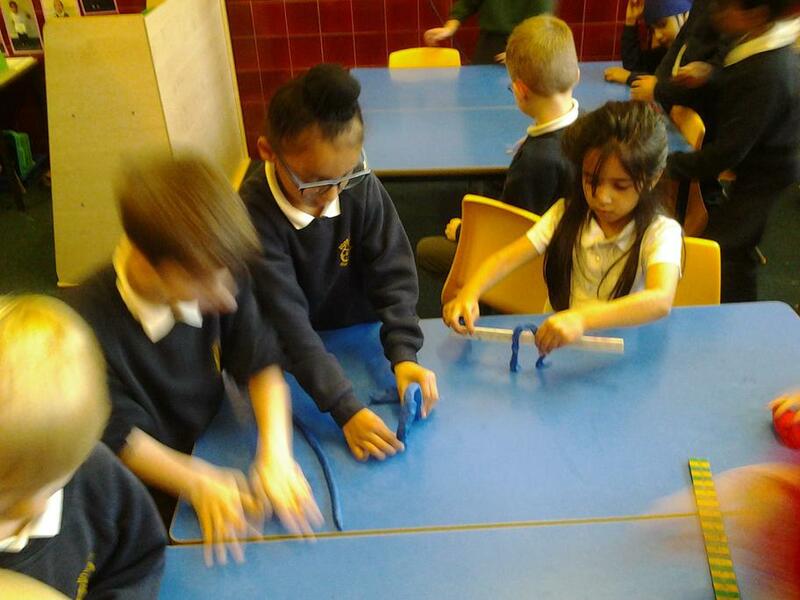 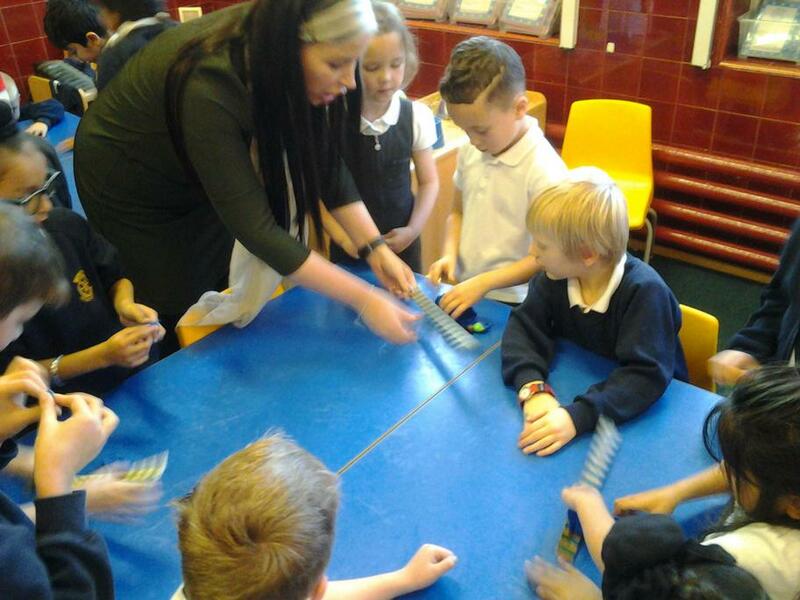 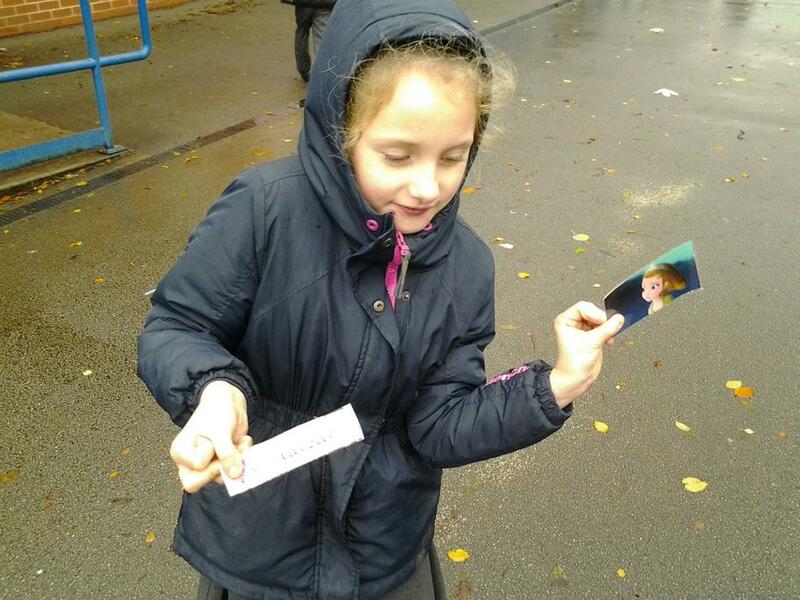 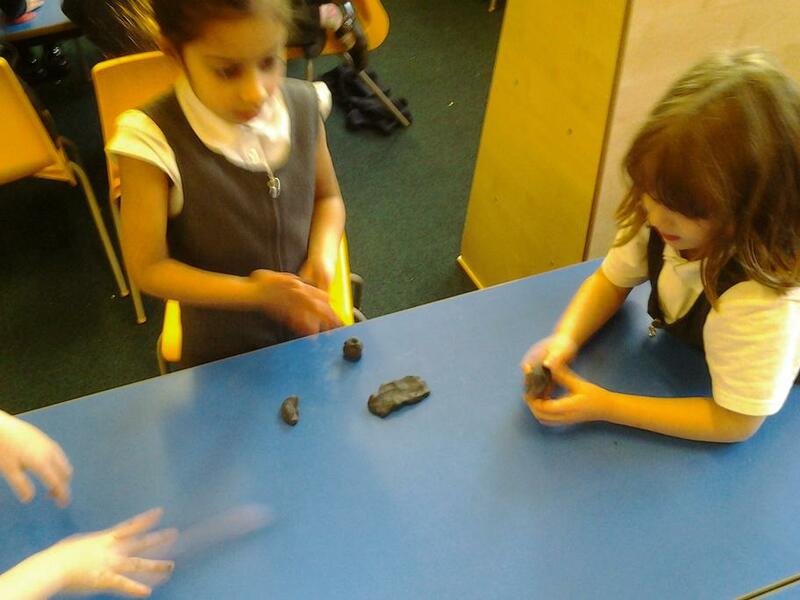 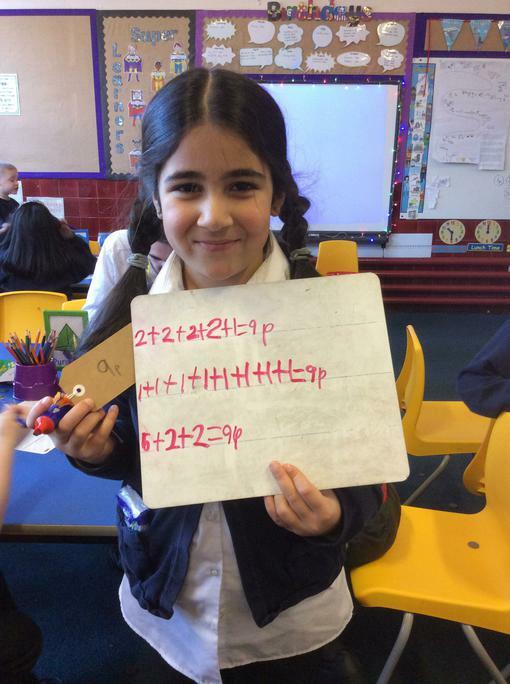 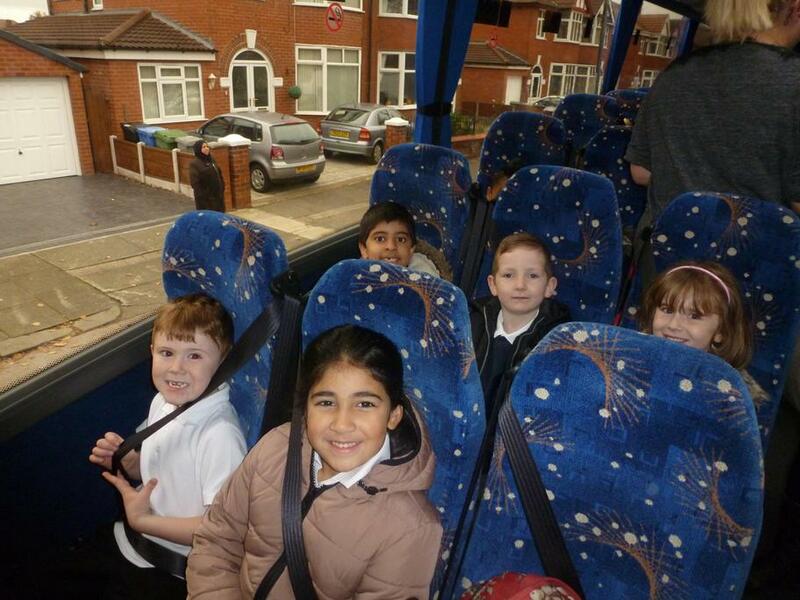 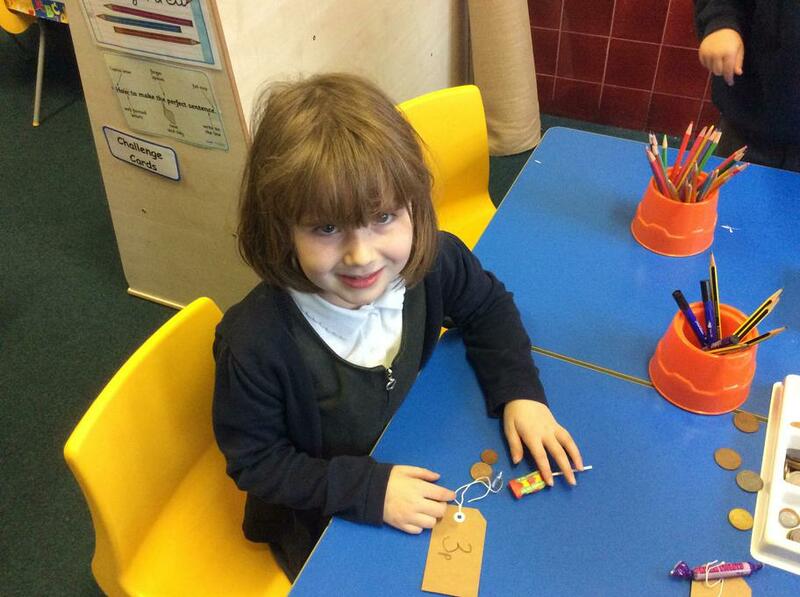 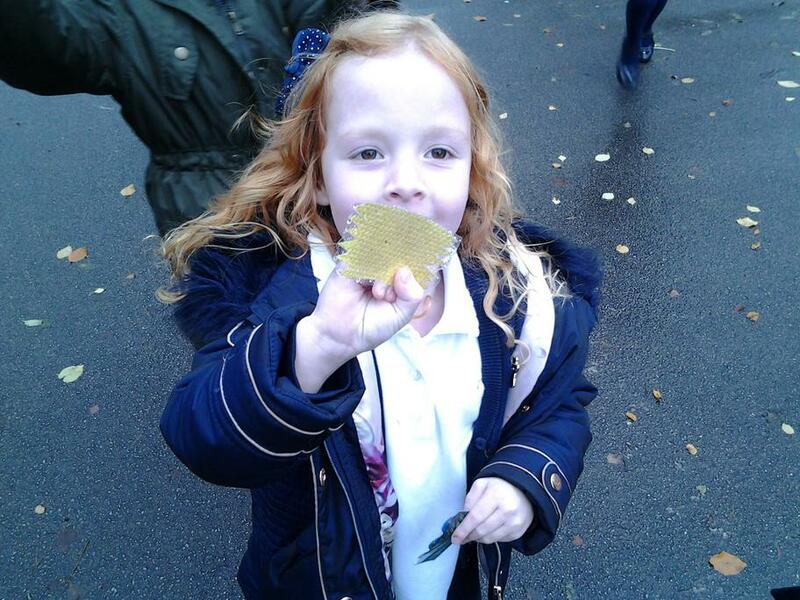 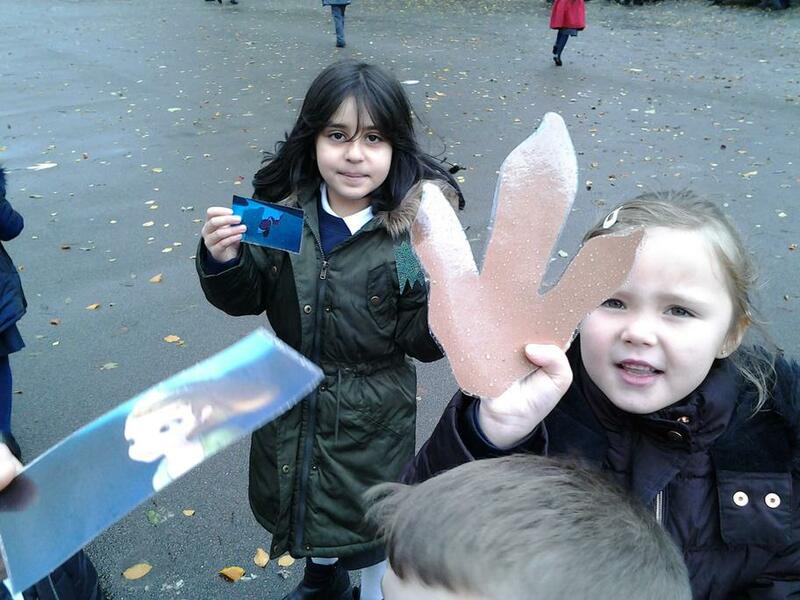 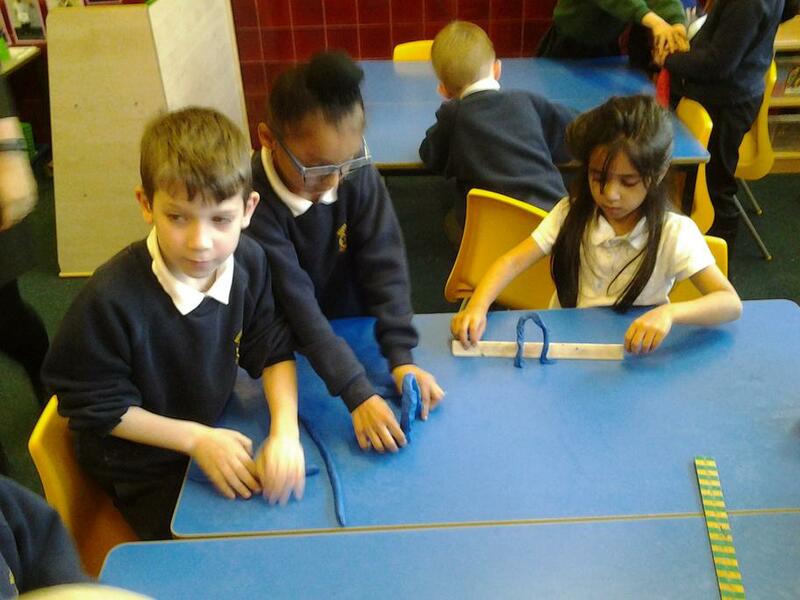 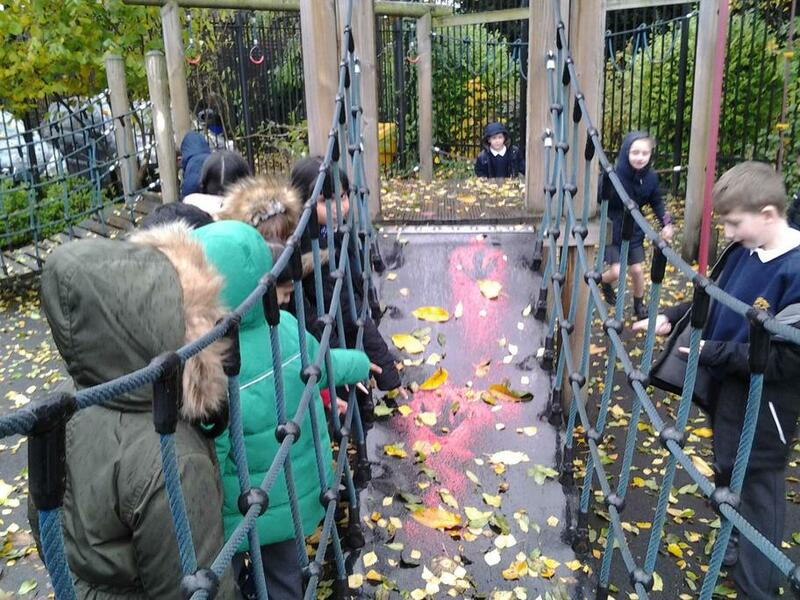 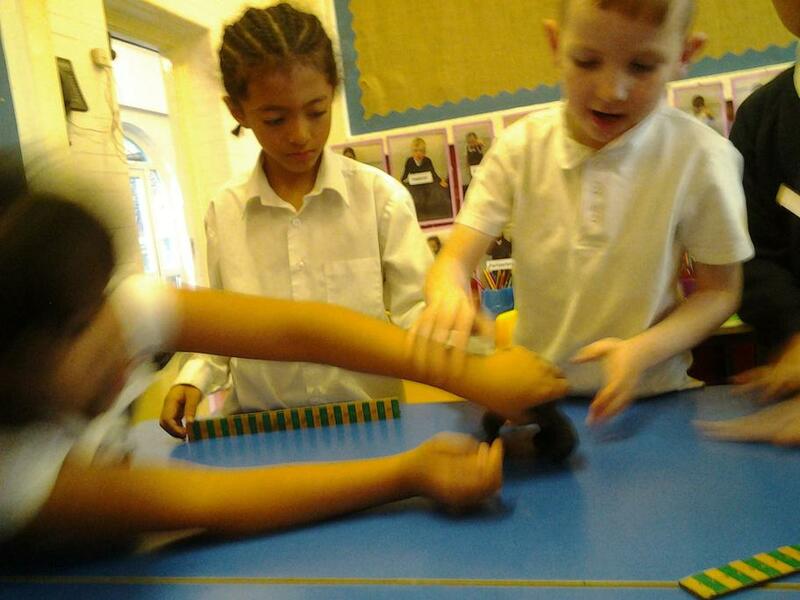 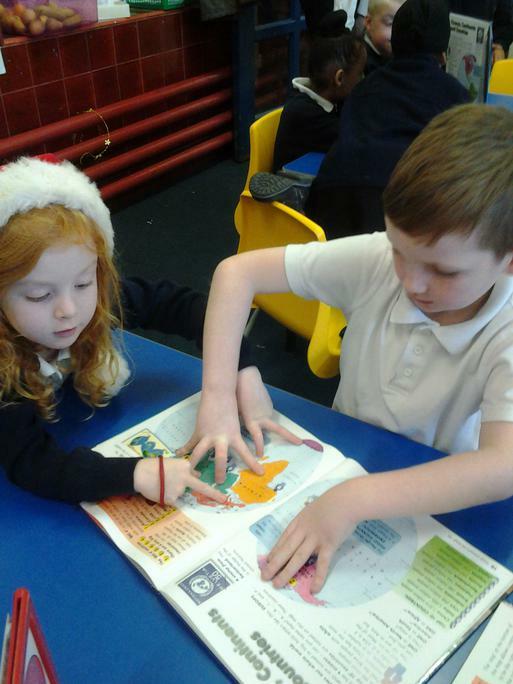 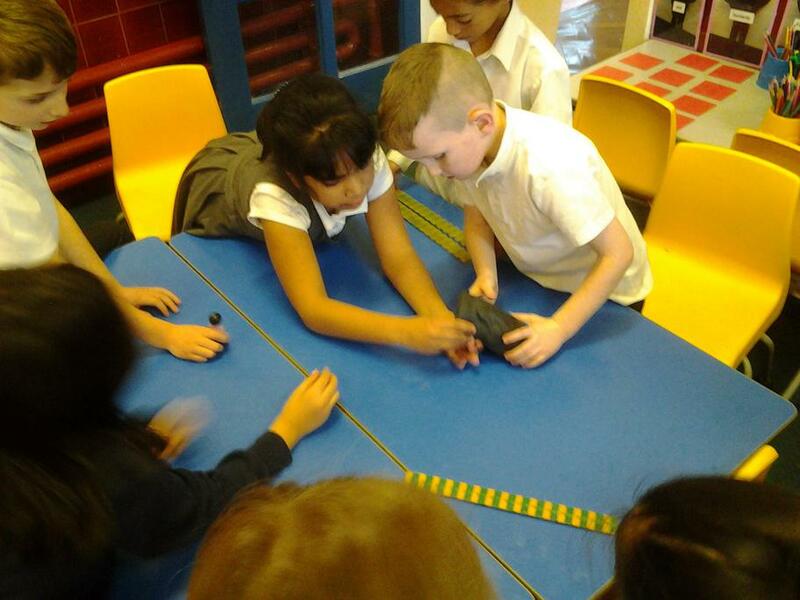 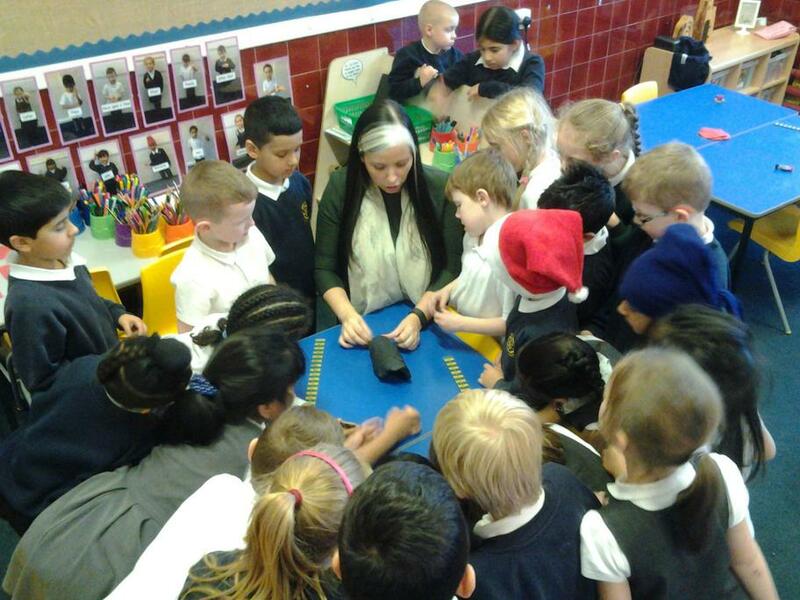 We learnt so much ready for our new topic and had so much fun! 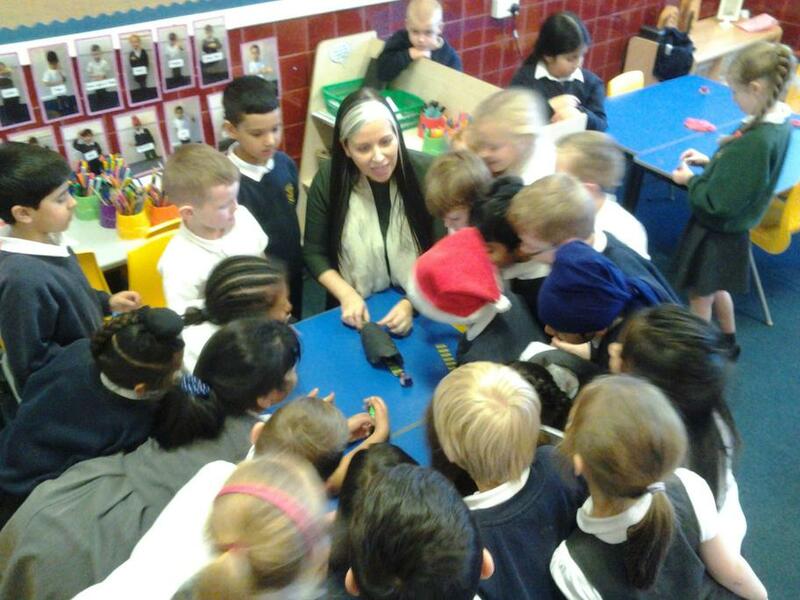 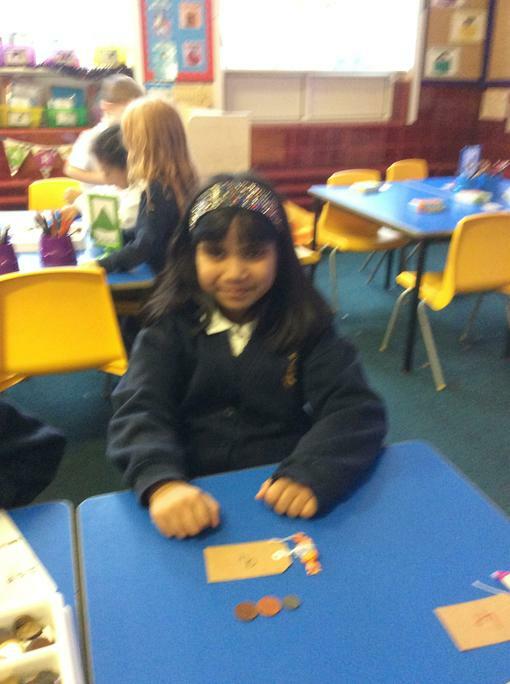 Today in school we celebrated Diwali! 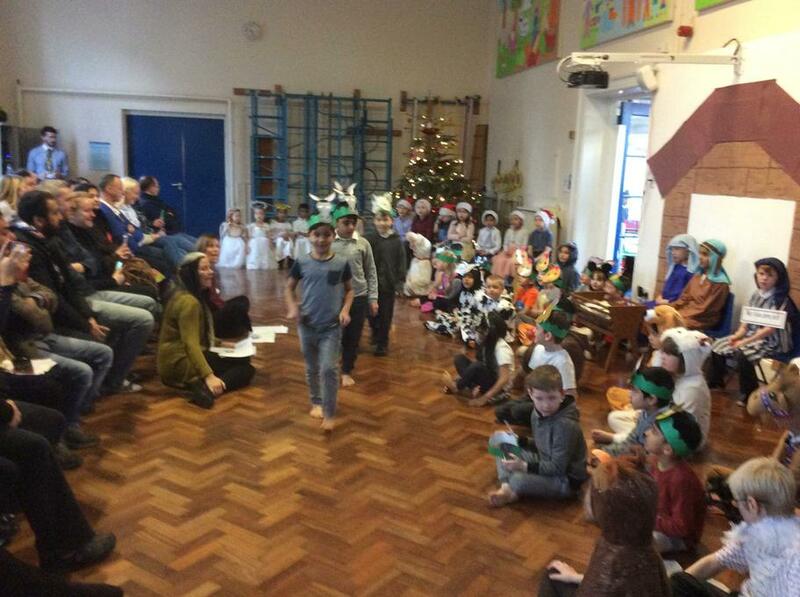 As part of our Diwali celebrations we took part in and learnt a traditional Indian dance. 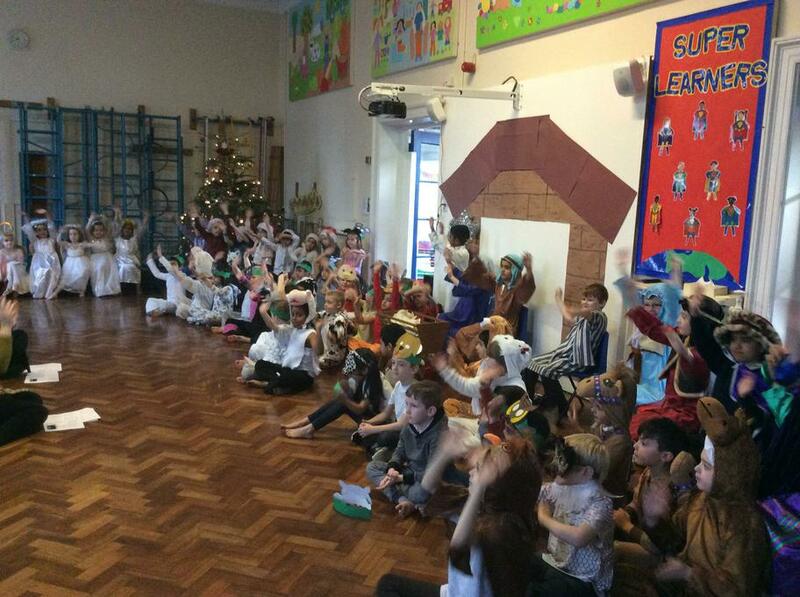 We used traditional Indian dance moves, which were intricate hand movements such as the dove, bee, fish and lion face. 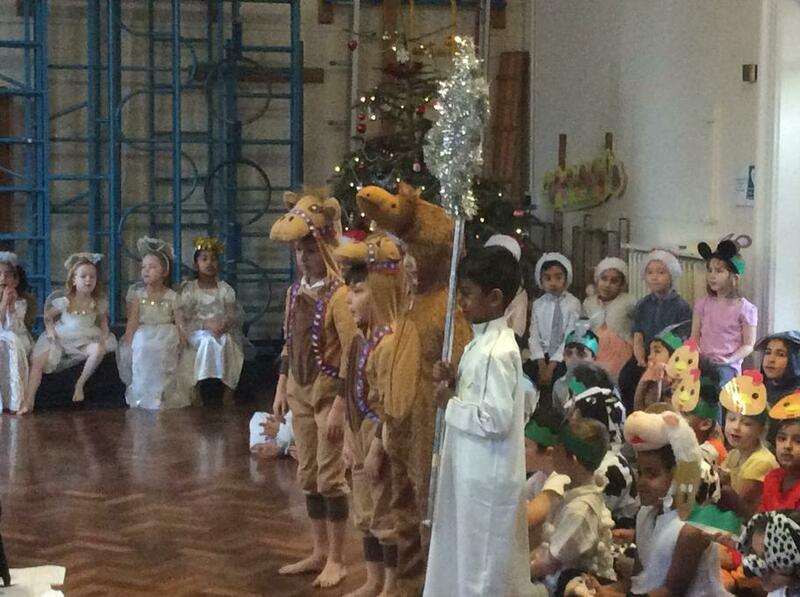 We carried out some of the dance routine on the floor as well as standing up. 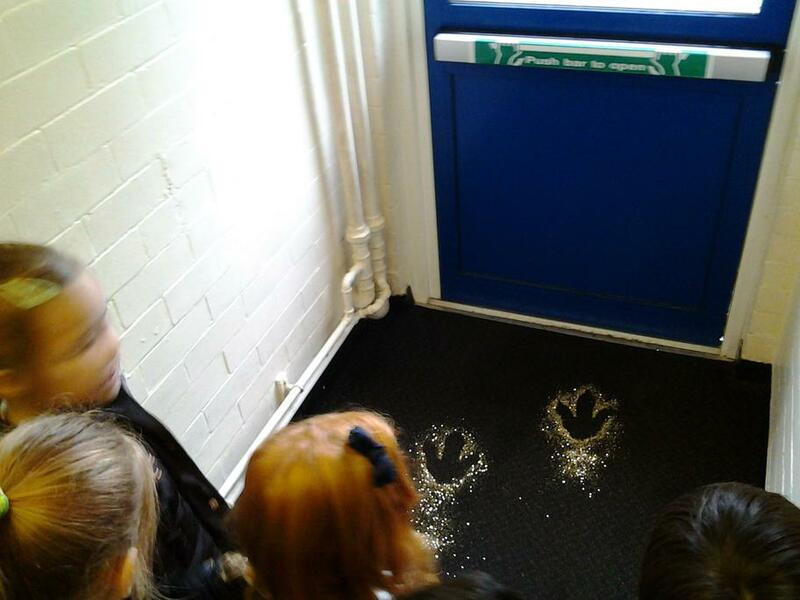 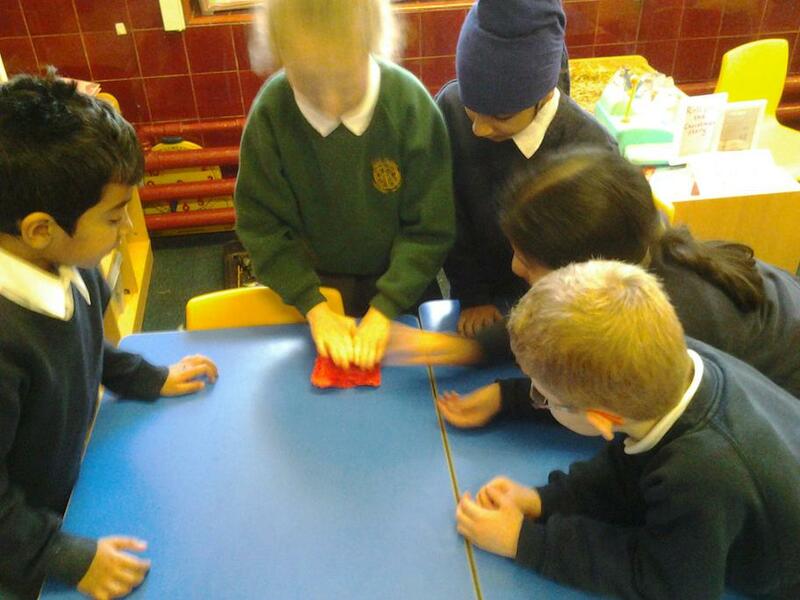 In the afternoon we learnt all about Diwali the ‘festival of lights’ and created our own Rangoli and Mendhi patterns. 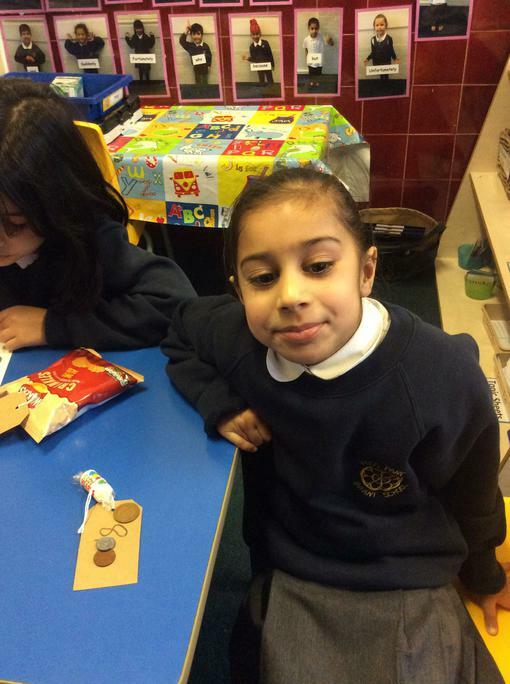 Don't forget to visit the community video page to take a look at our traditional Diwali dance! 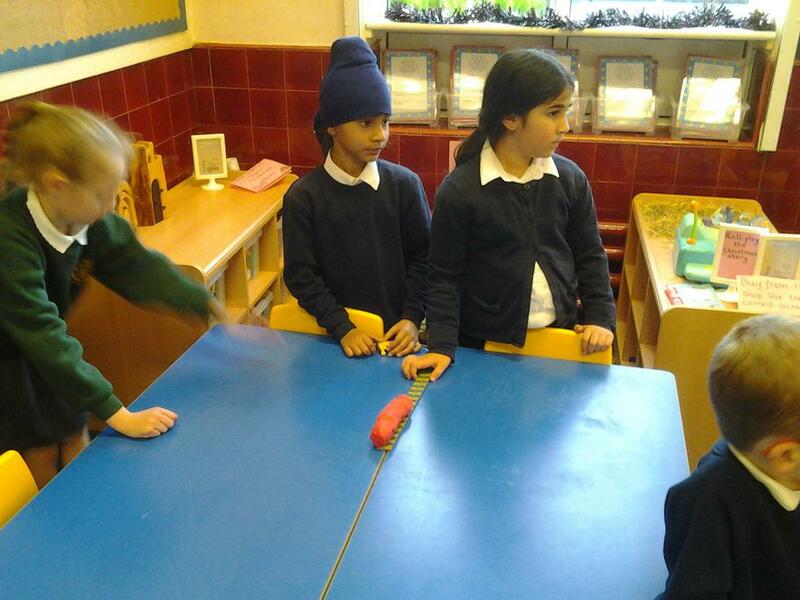 Welcome back after our first half term break, wishing all our Sikh and Hindu friends a very Happy Diwali. 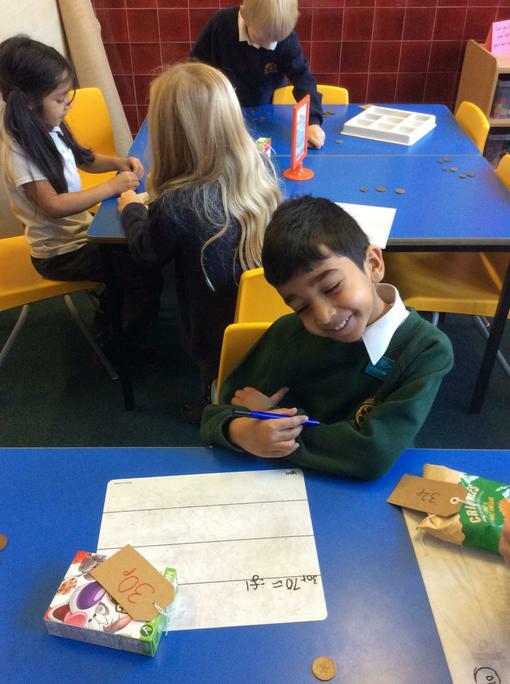 Please come to school tomorrow in your new Diwali clothes and tell us all about your special weekend. 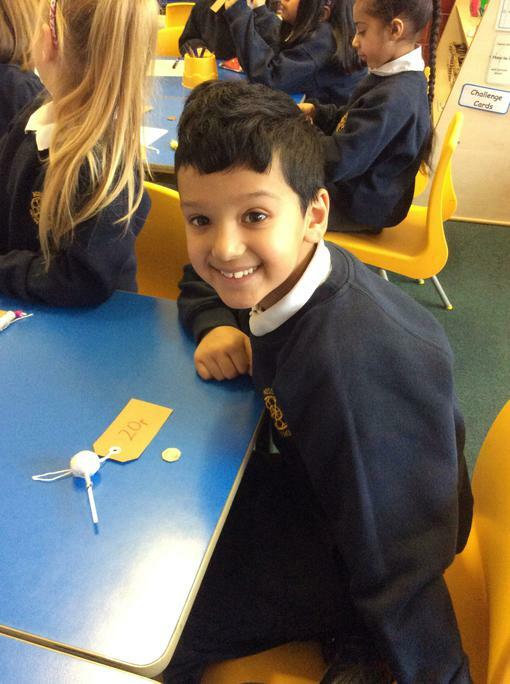 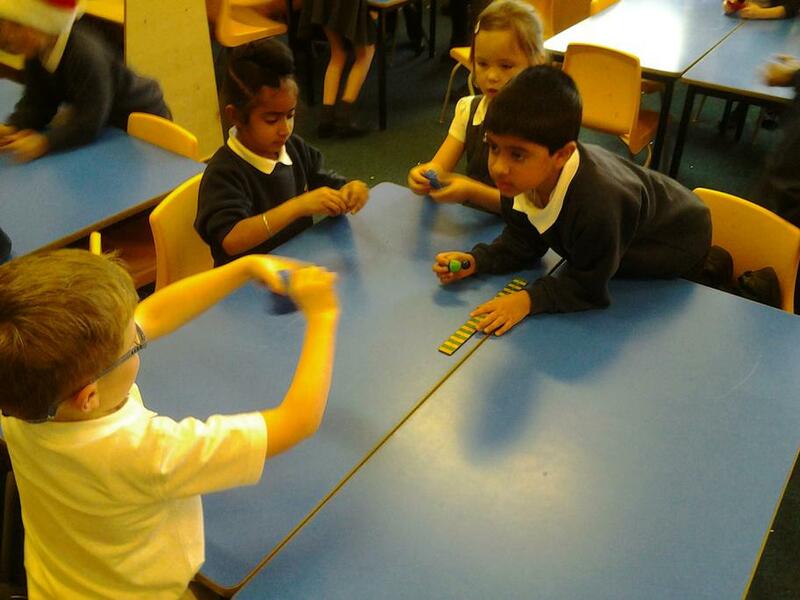 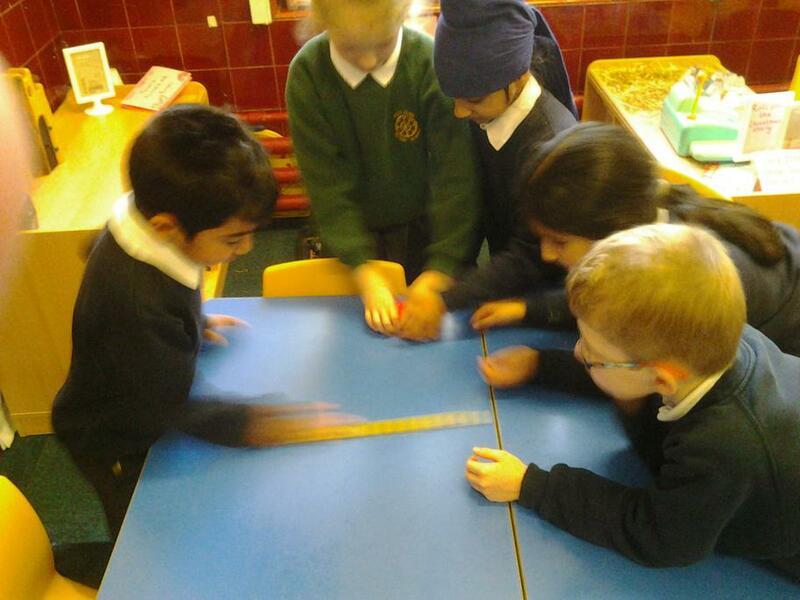 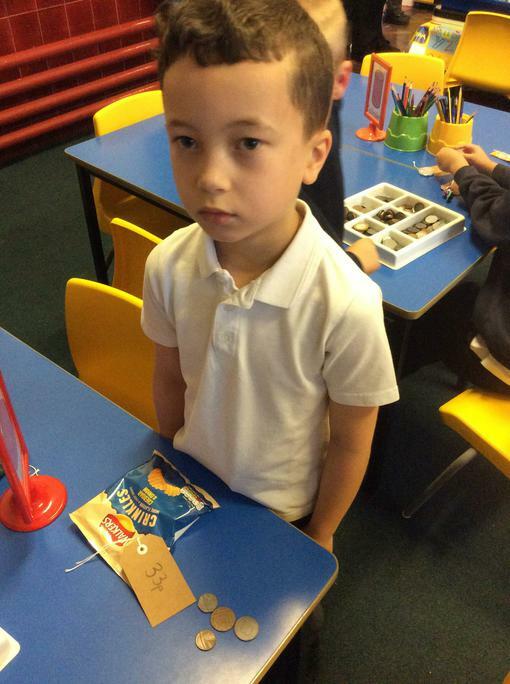 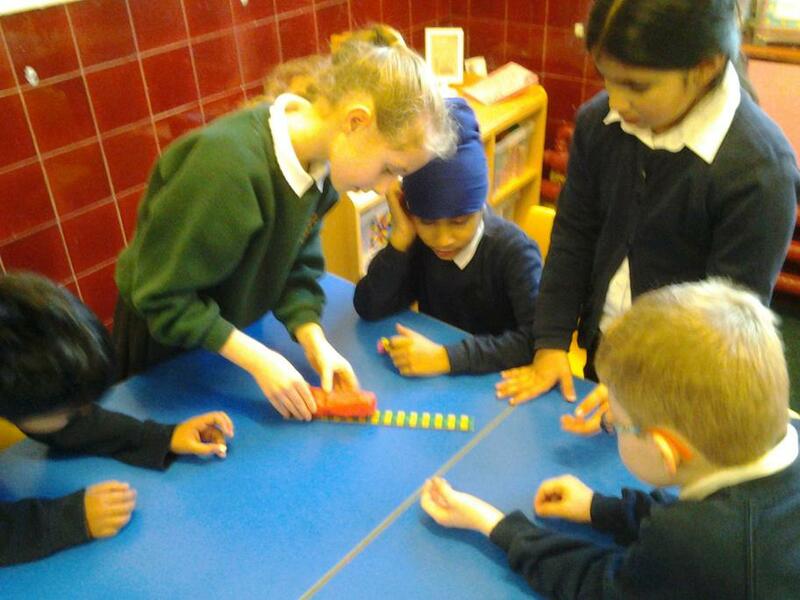 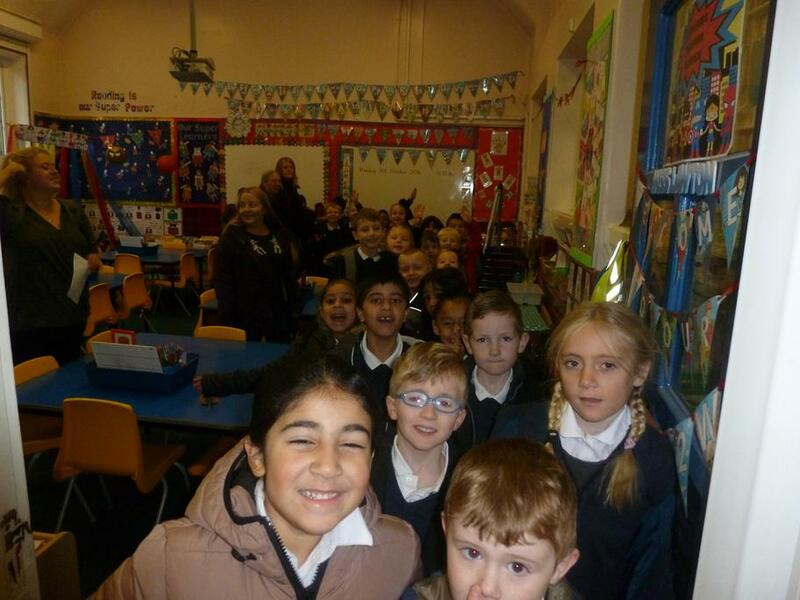 We are all celebrating Diwali in school with you on Monday. 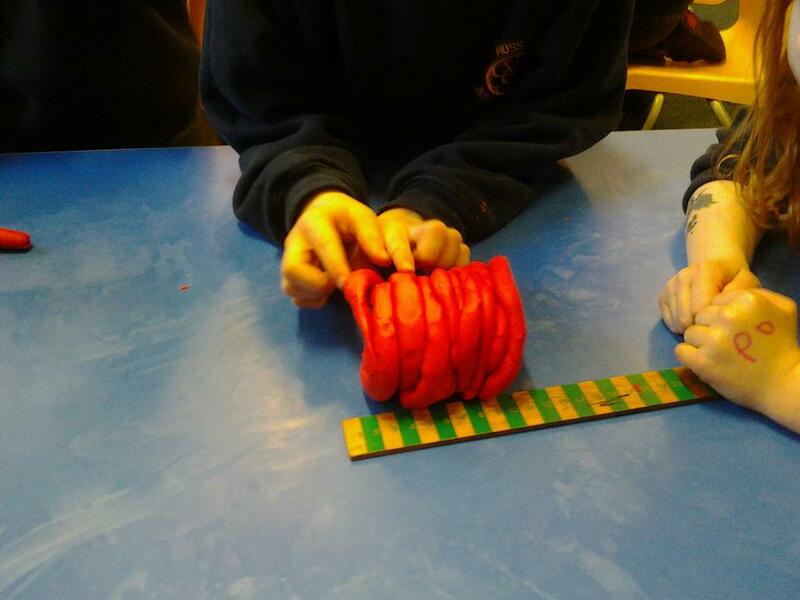 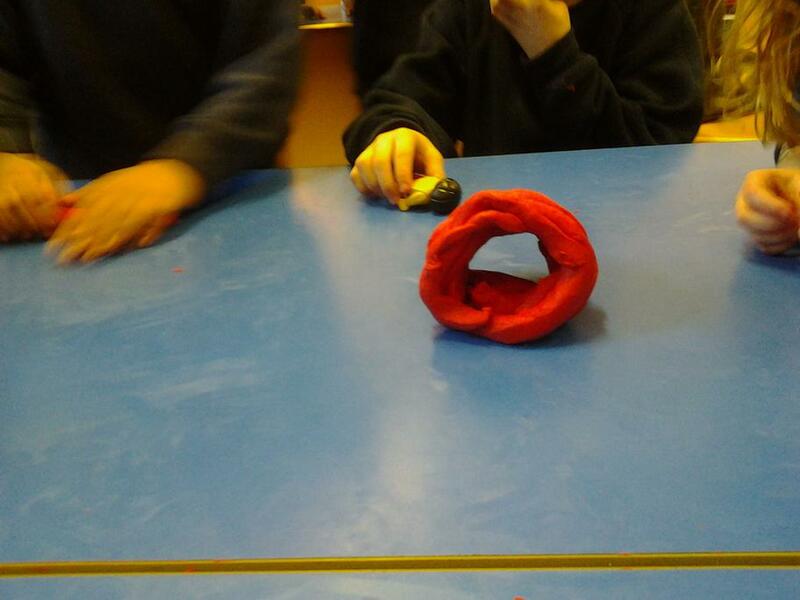 Our topic this half term is all about Towers, Turrets and Tunnels. 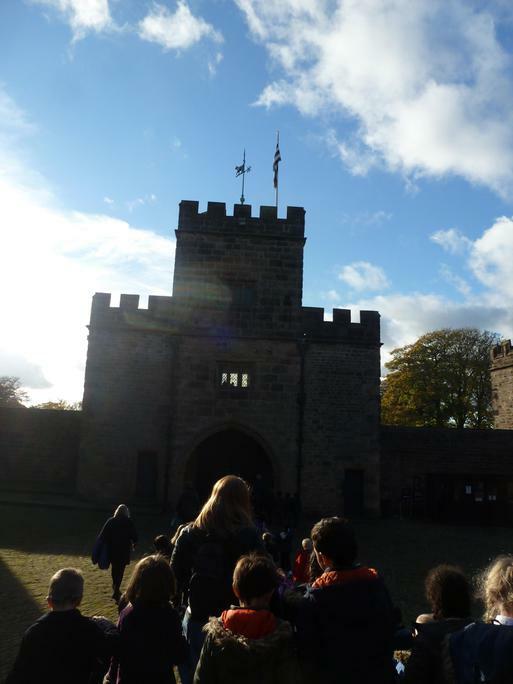 Do you know how many famous Towers we have in England or in the UK? 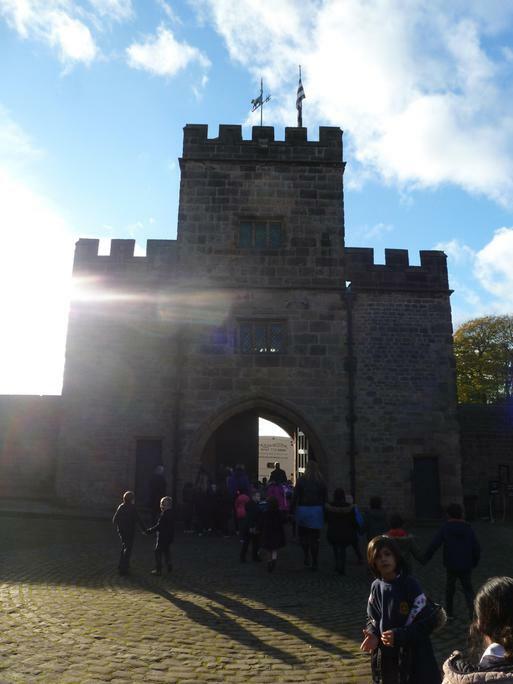 Do you know why people in the past built Turrets? 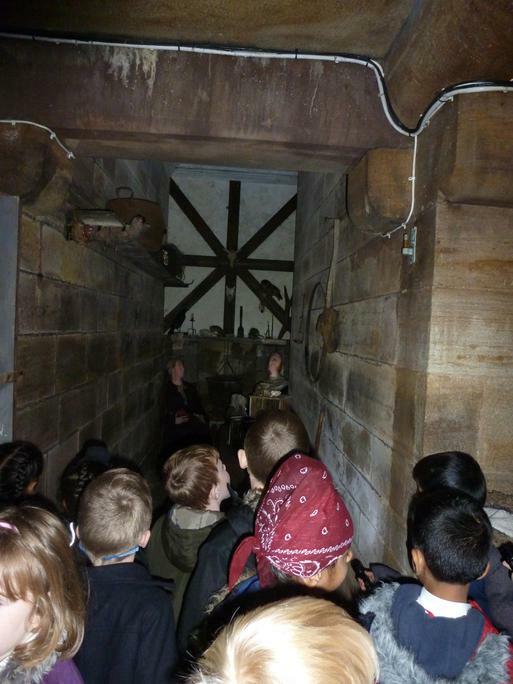 What does a Turret look like?